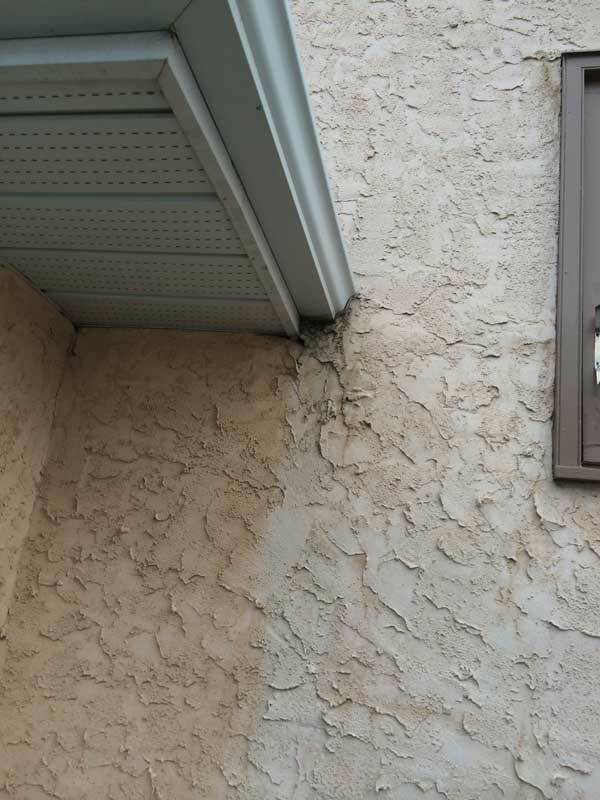 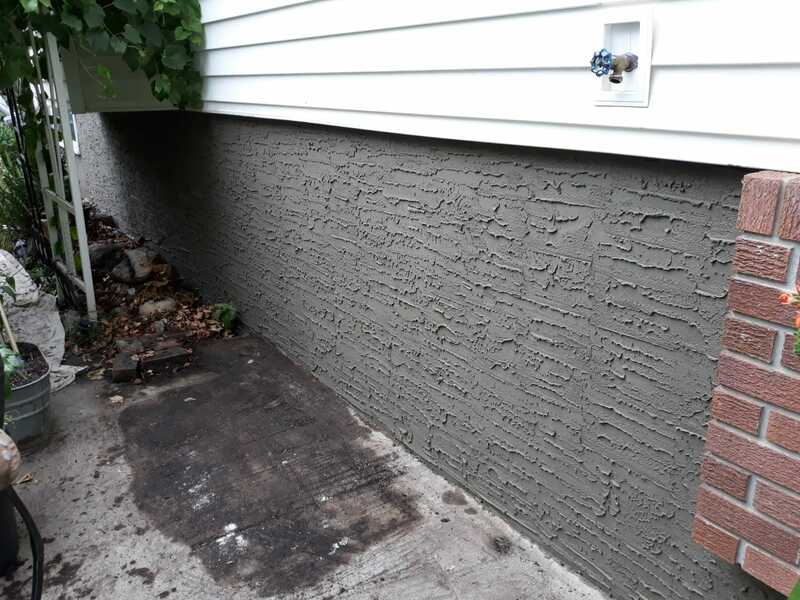 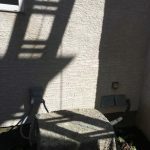 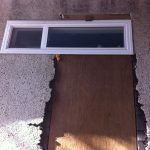 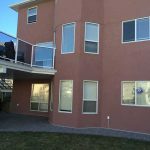 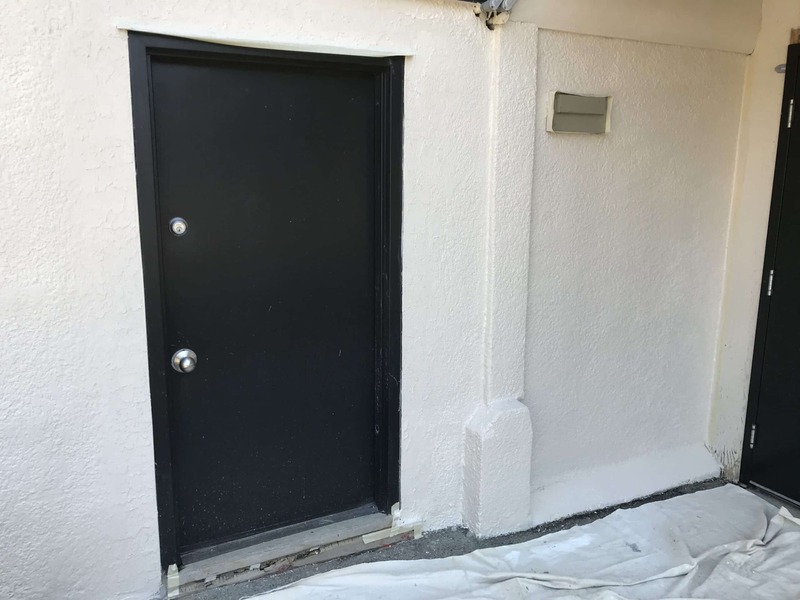 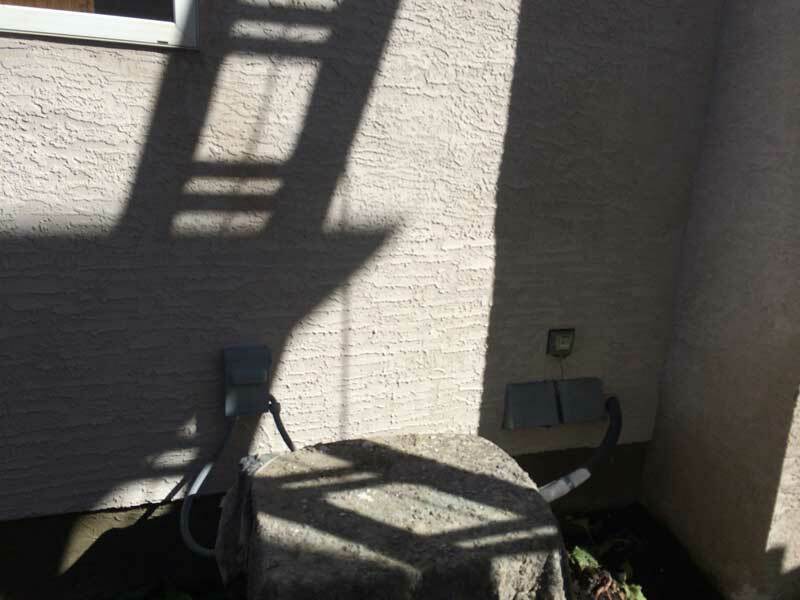 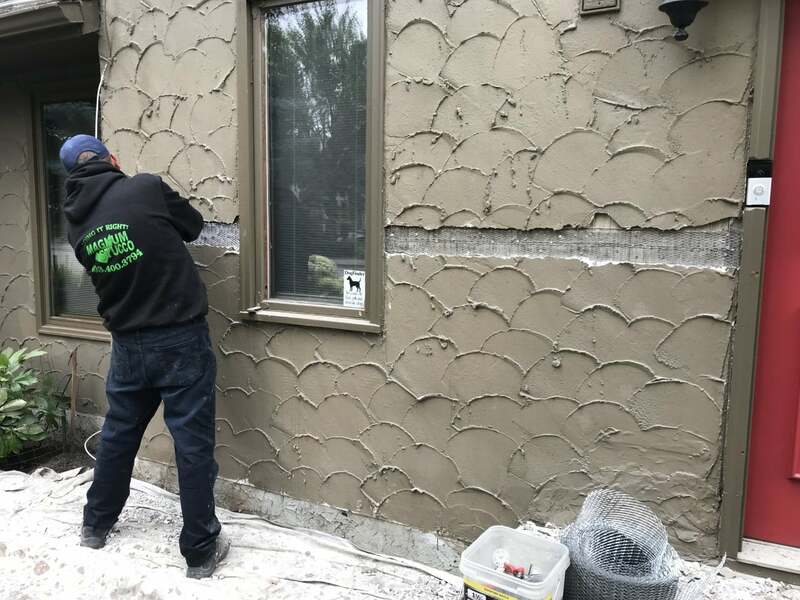 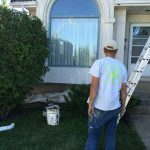 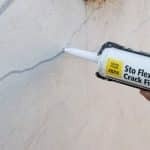 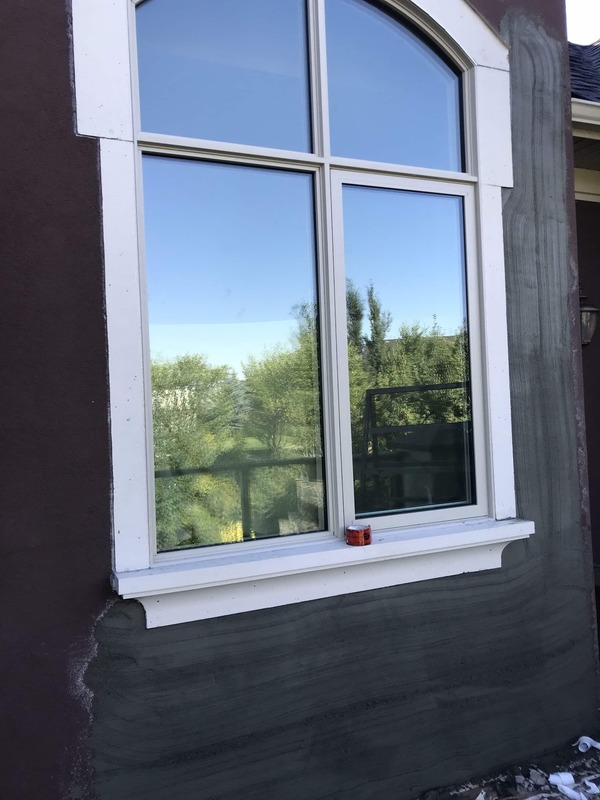 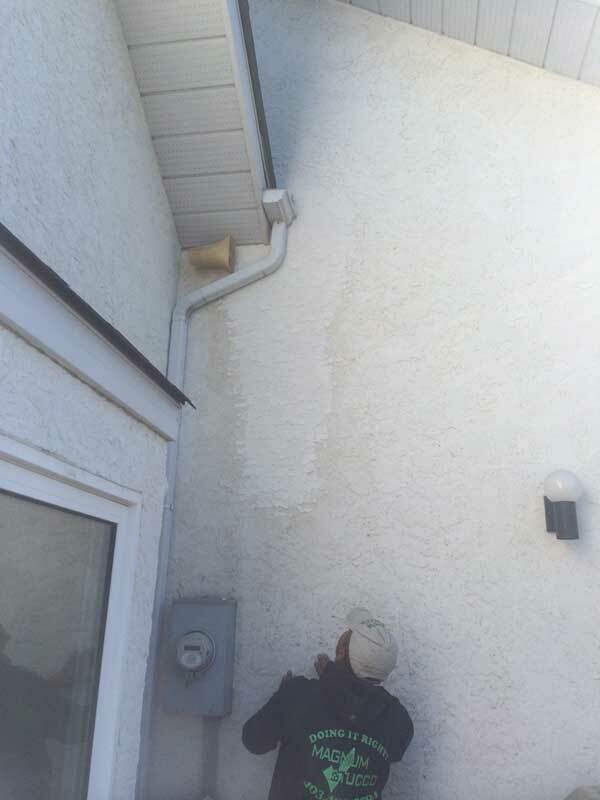 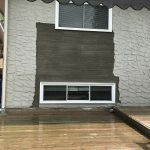 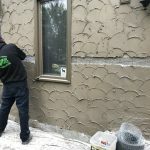 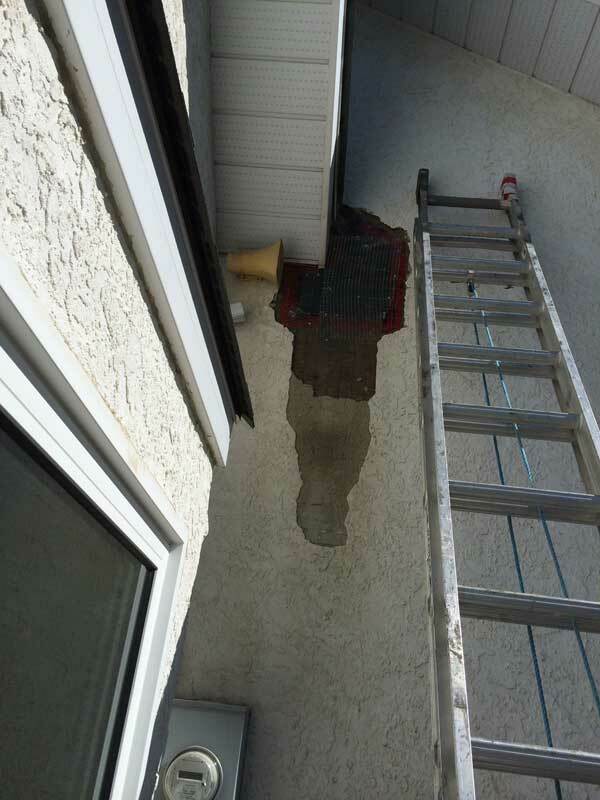 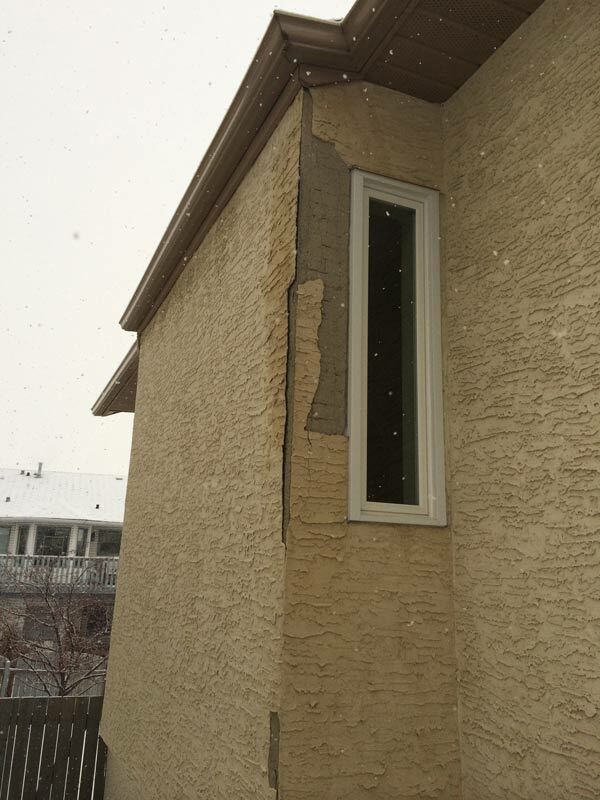 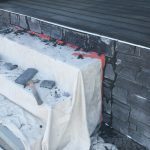 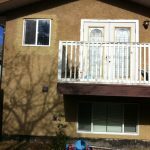 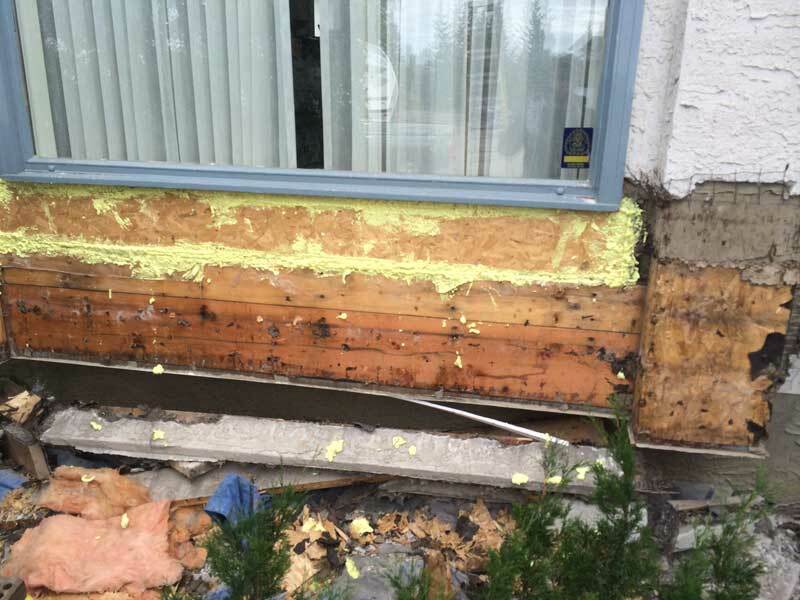 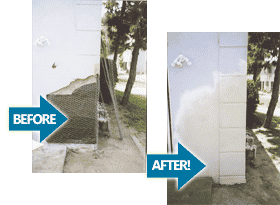 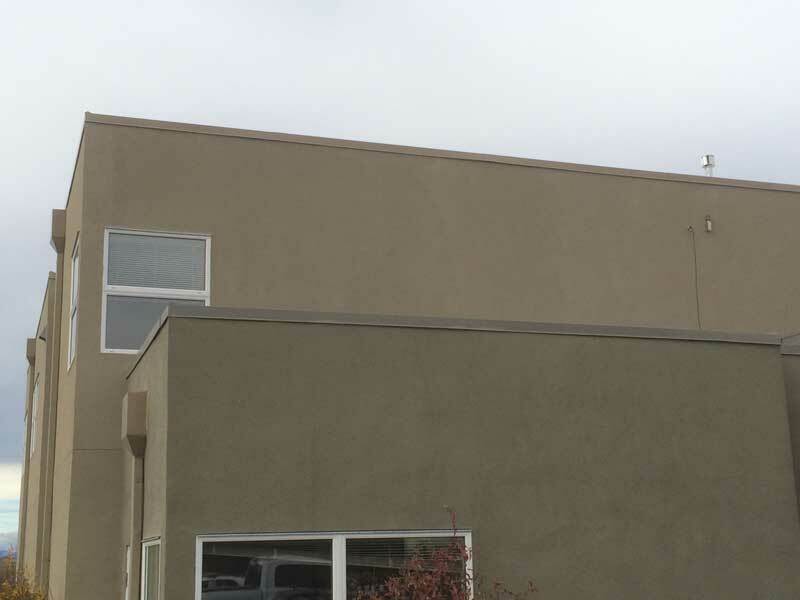 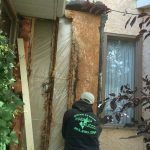 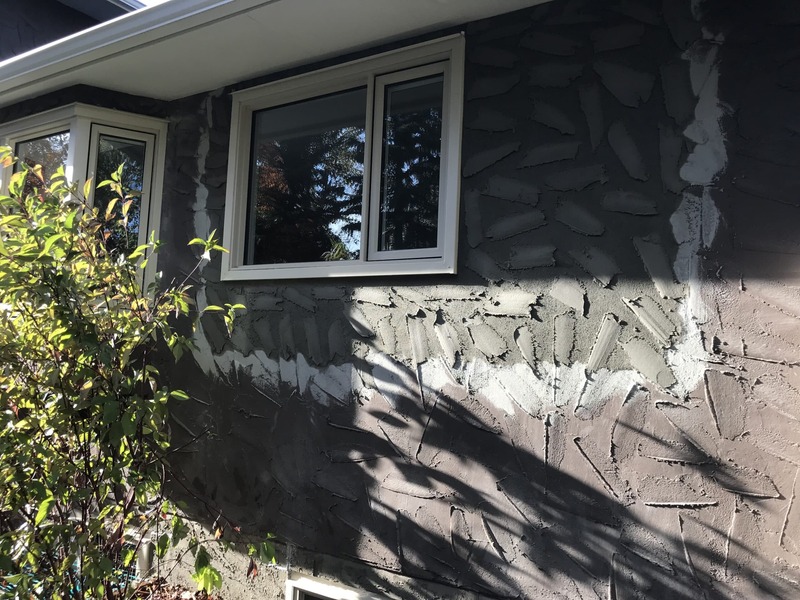 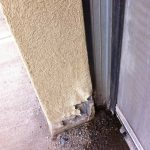 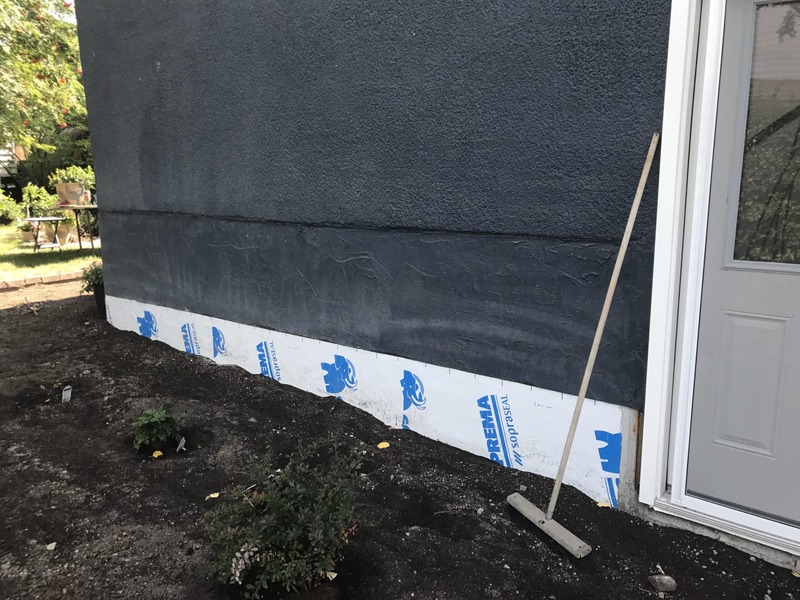 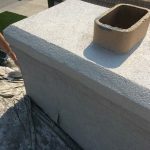 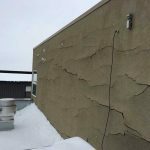 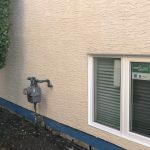 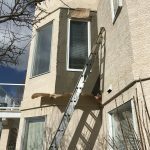 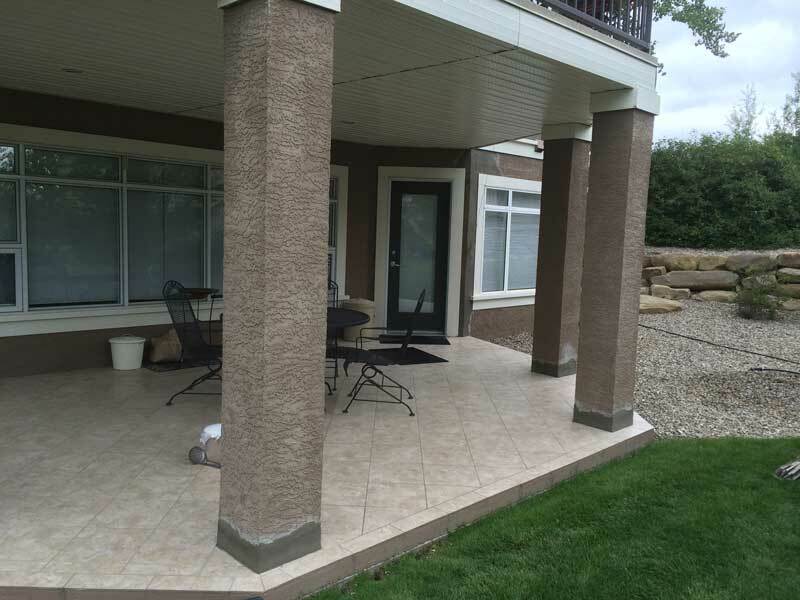 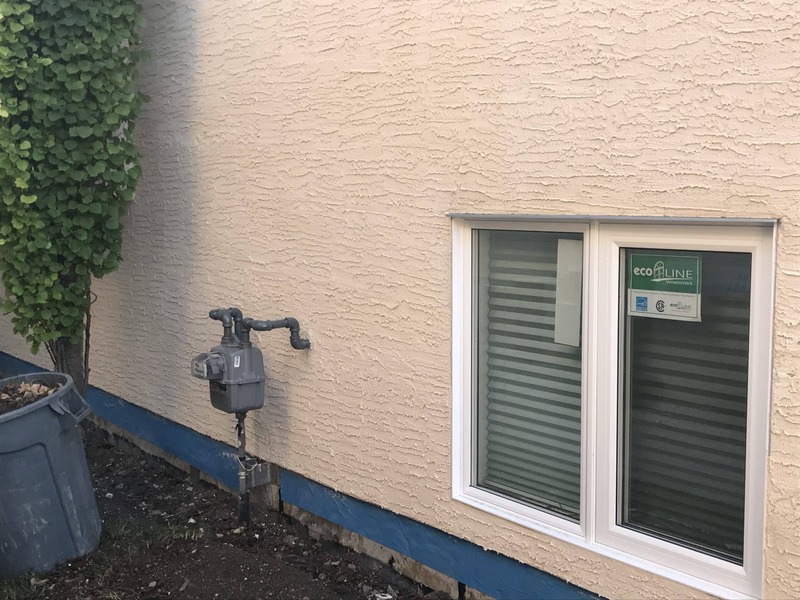 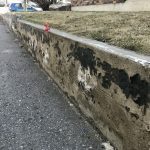 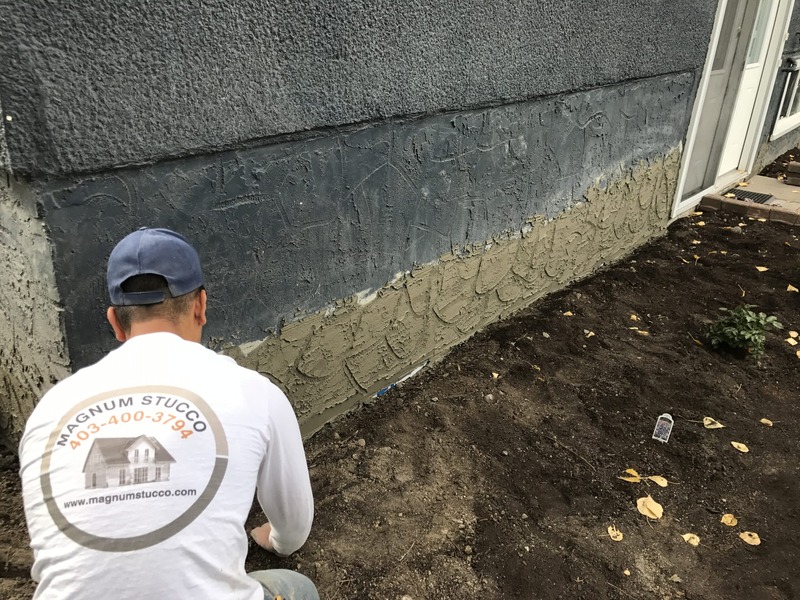 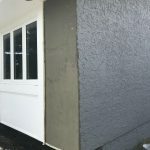 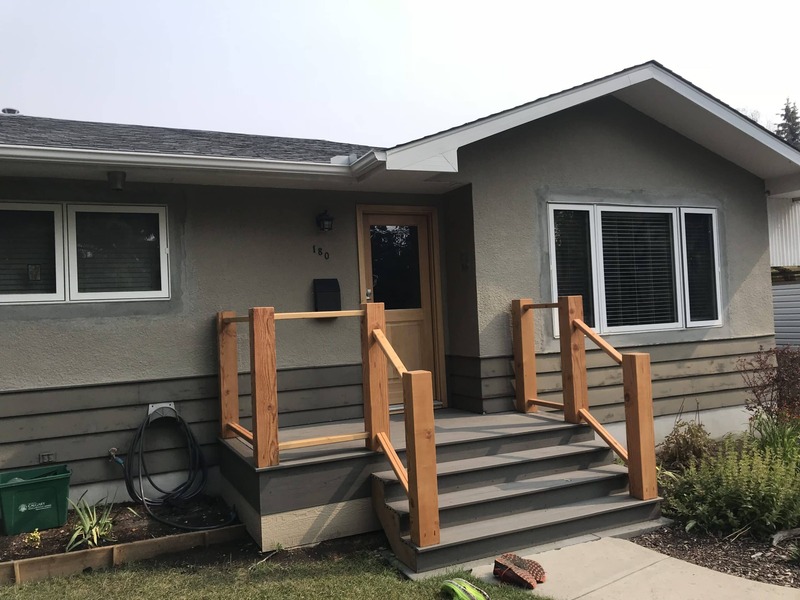 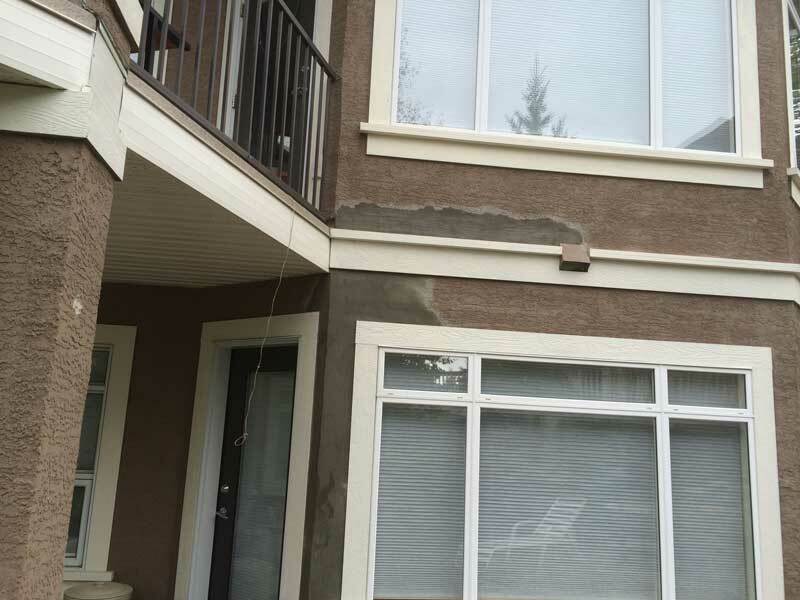 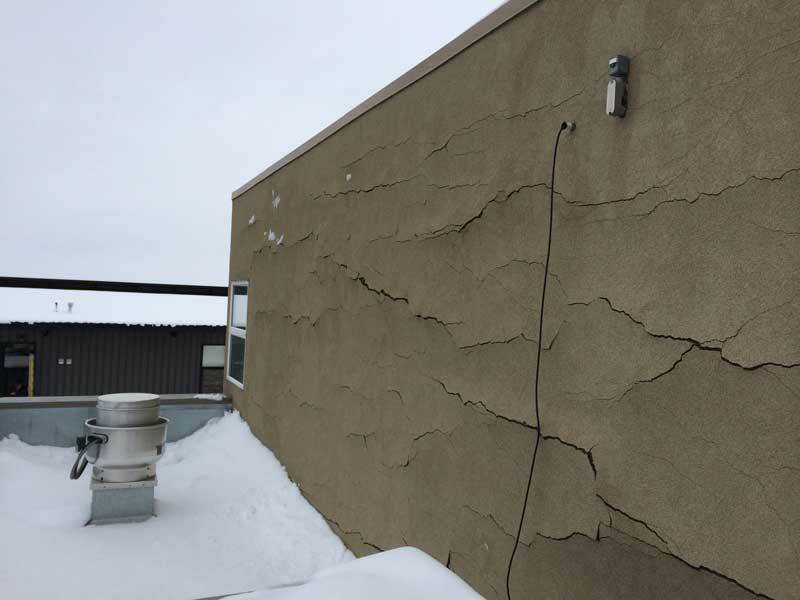 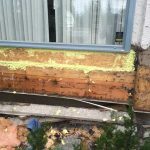 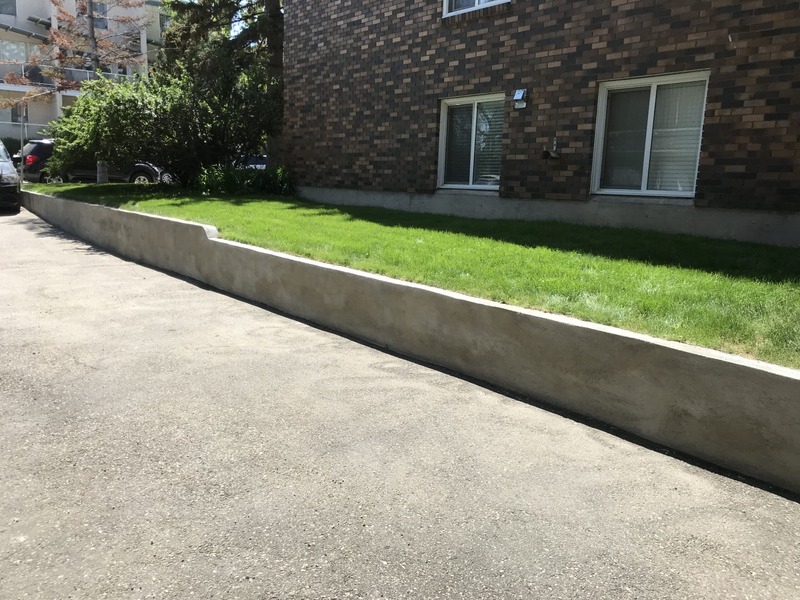 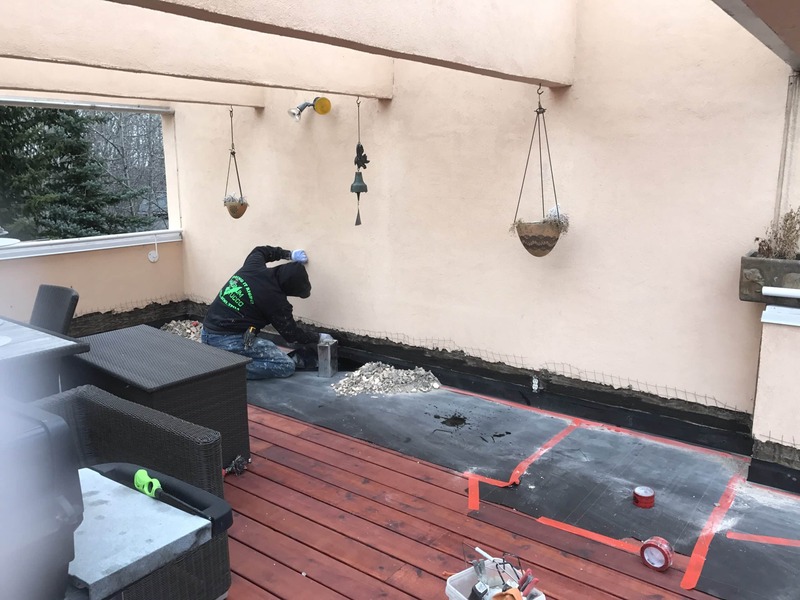 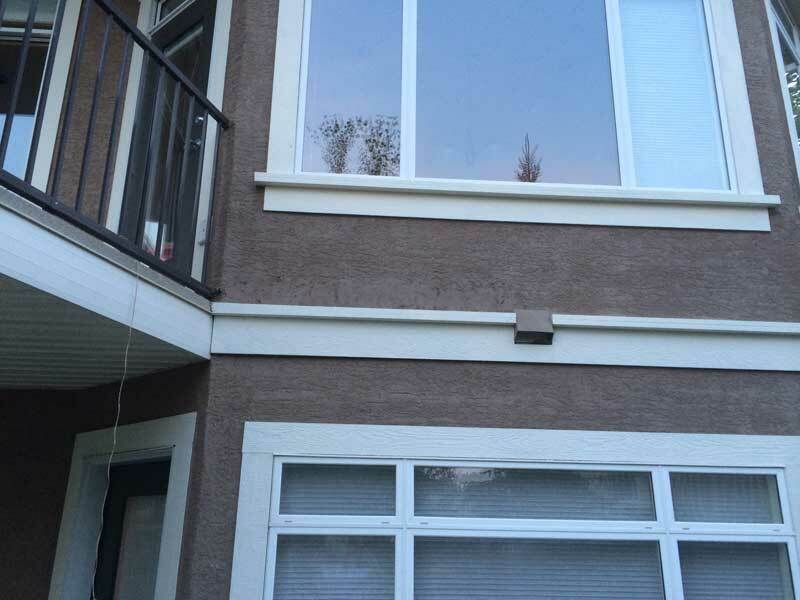 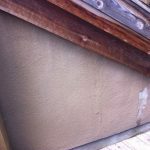 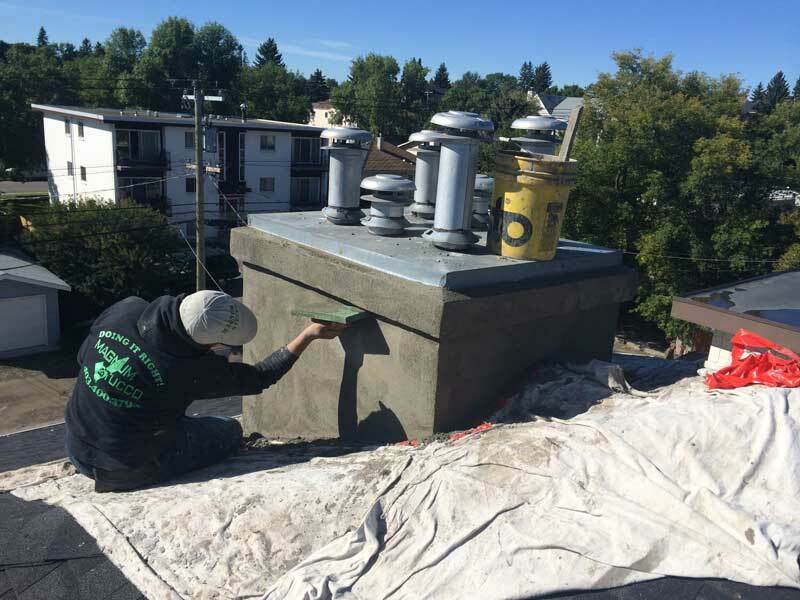 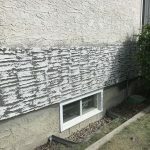 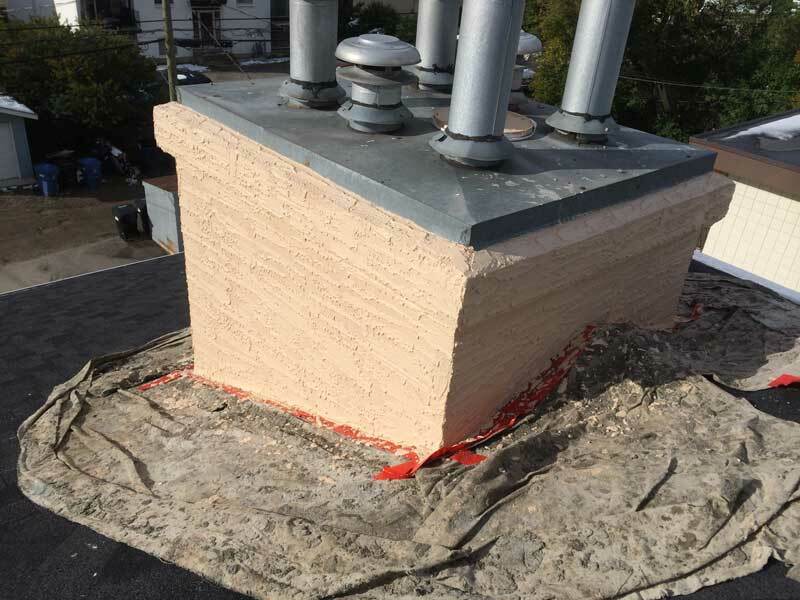 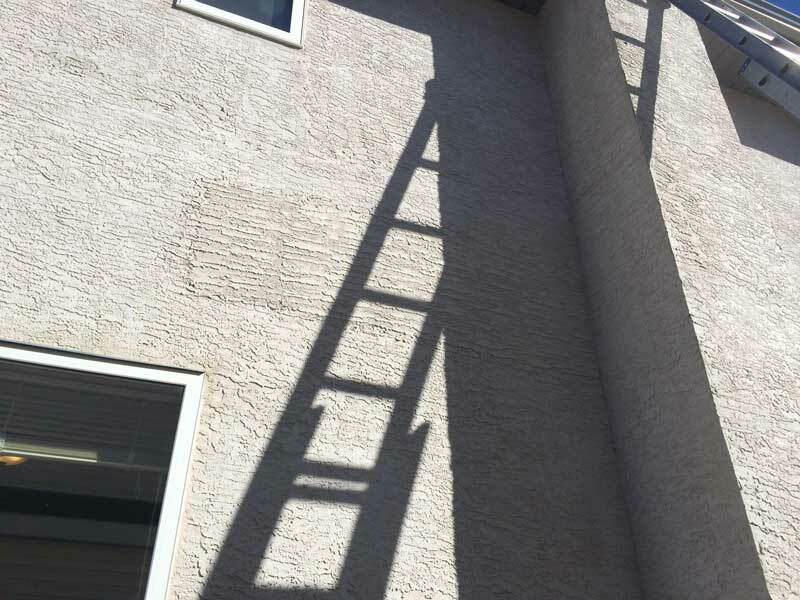 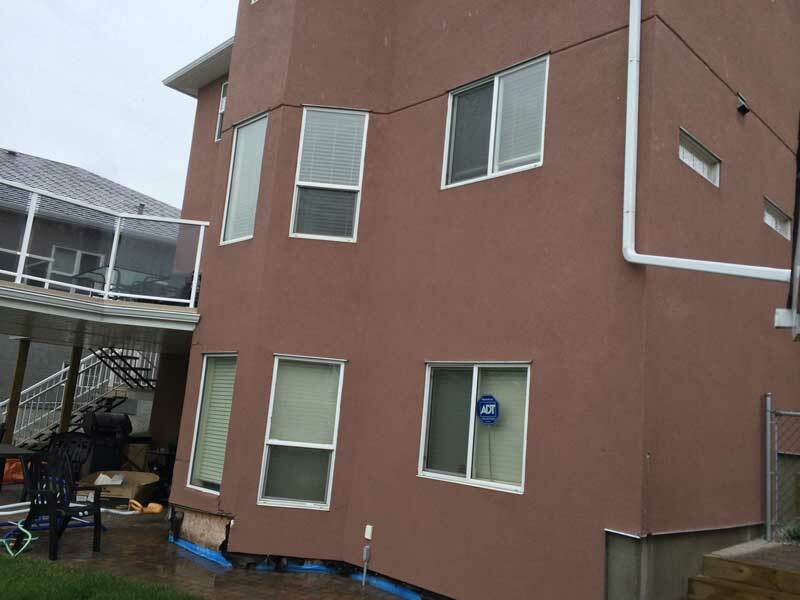 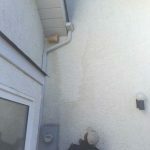 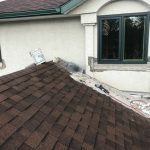 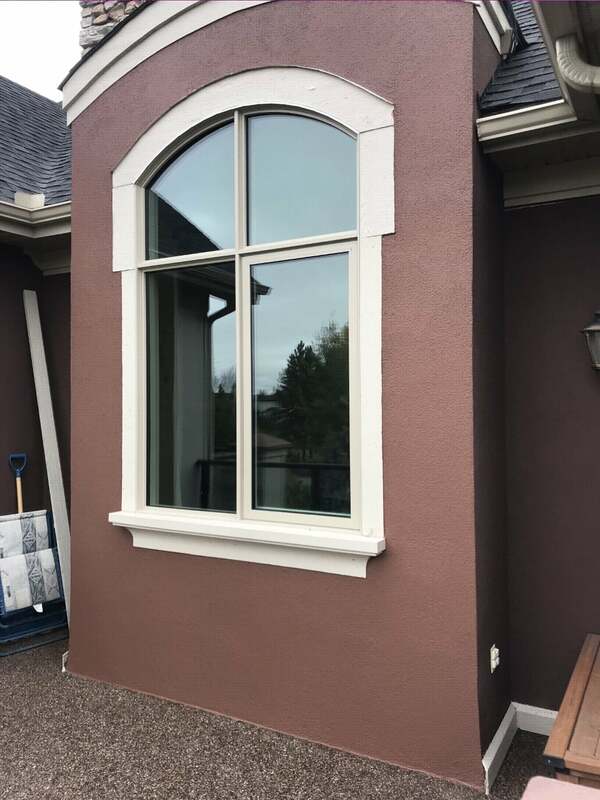 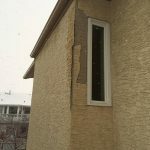 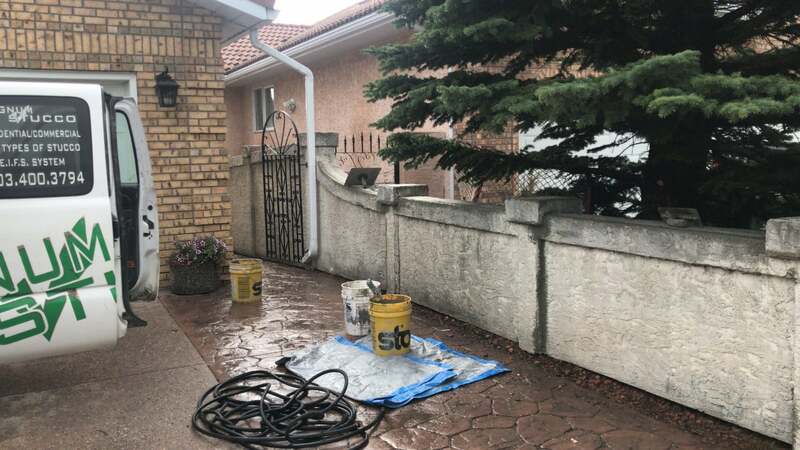 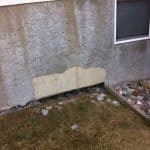 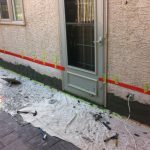 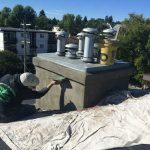 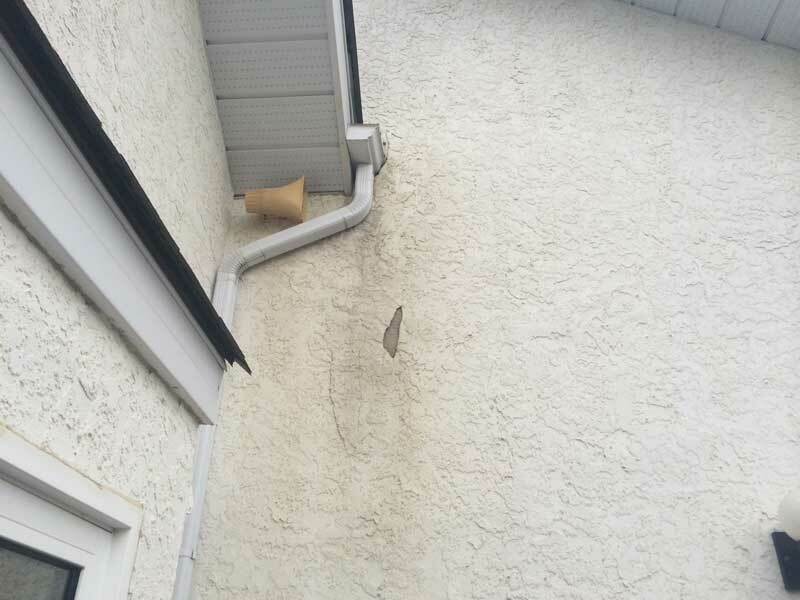 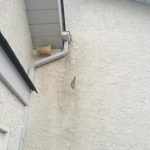 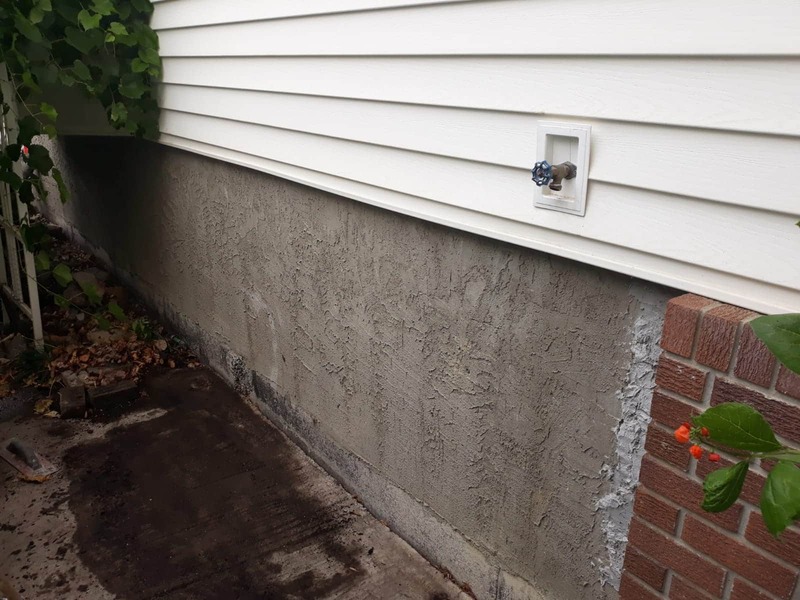 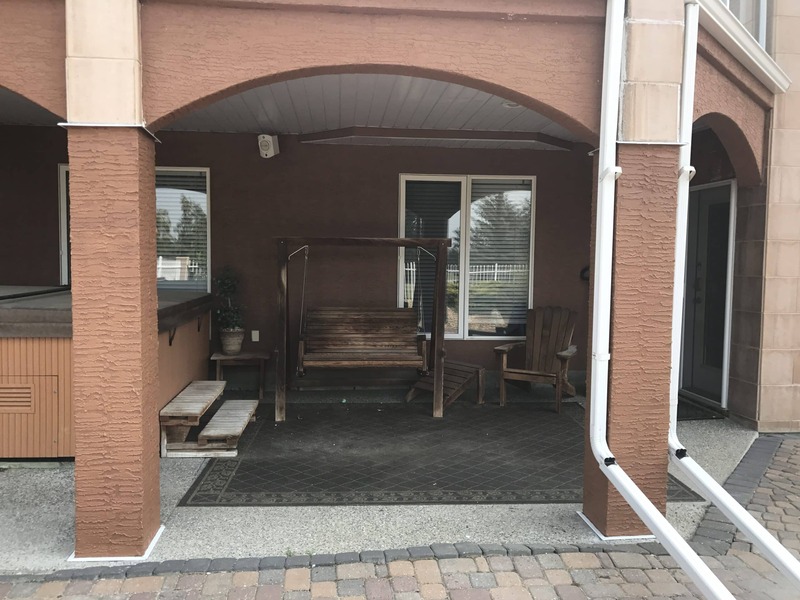 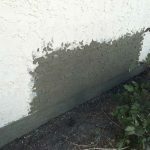 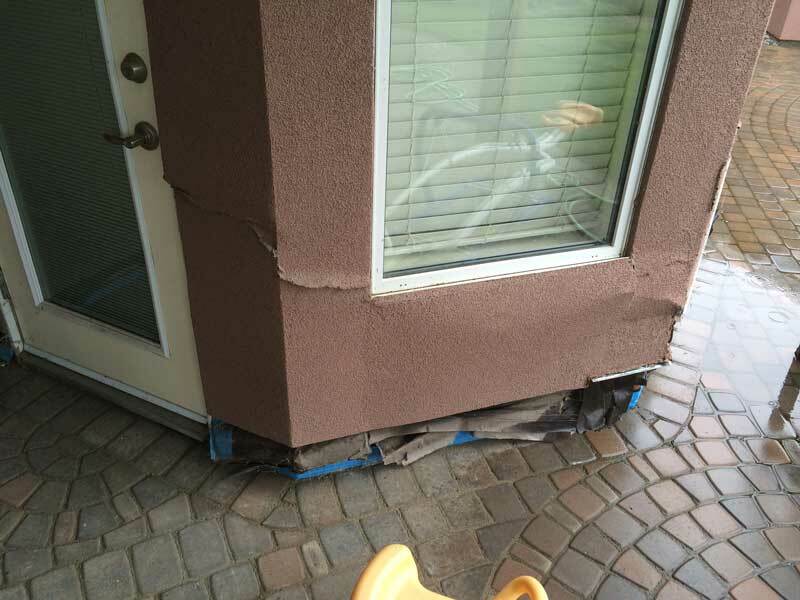 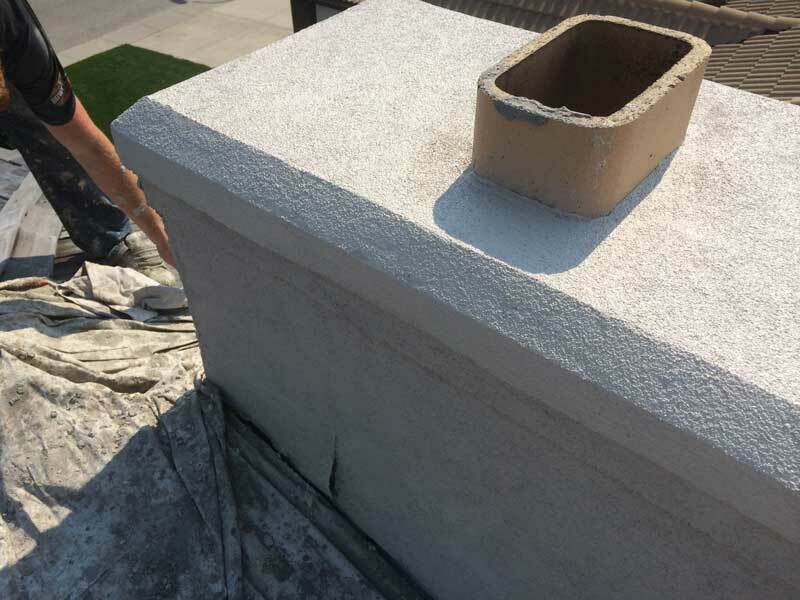 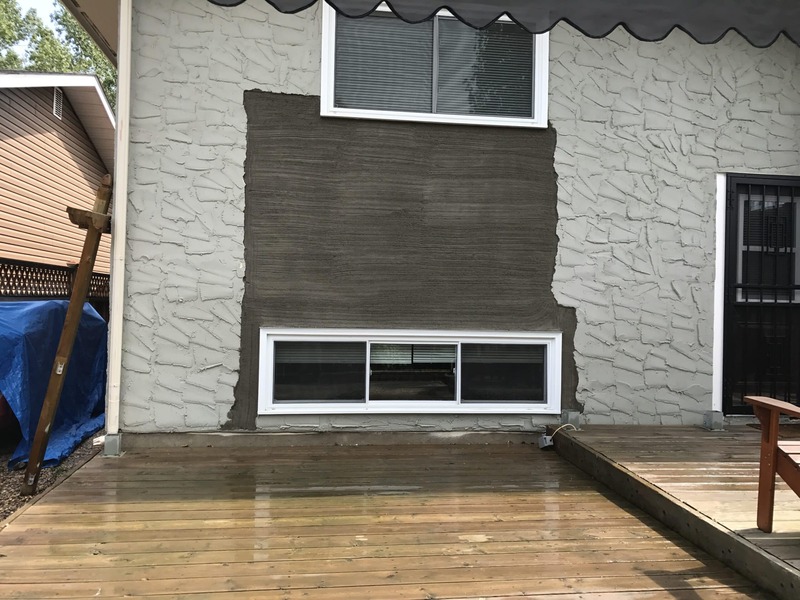 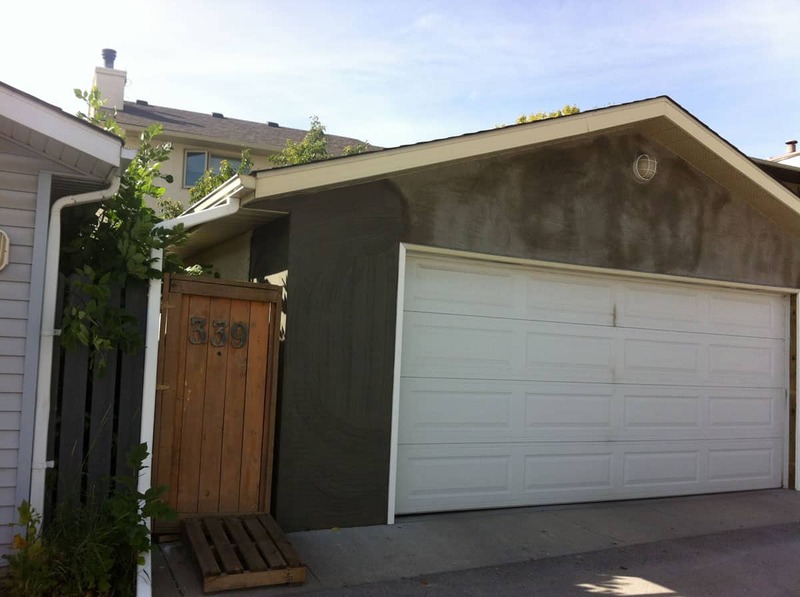 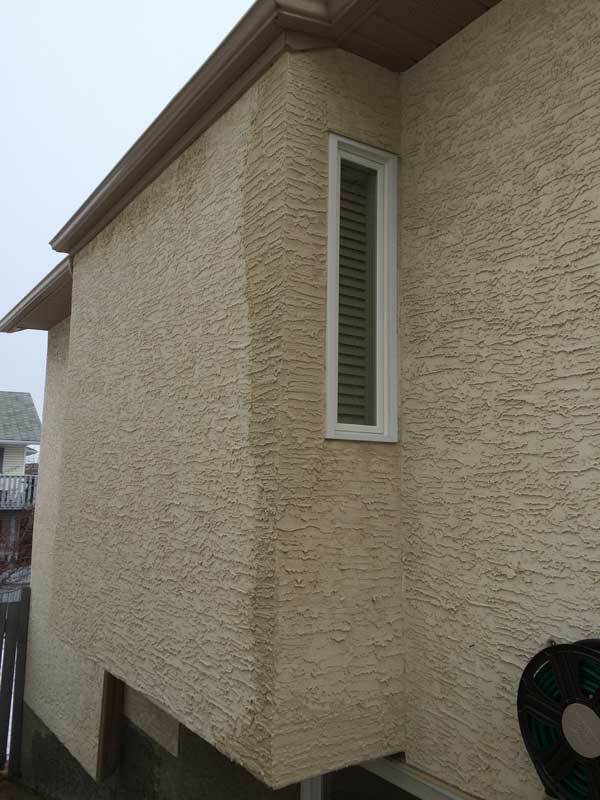 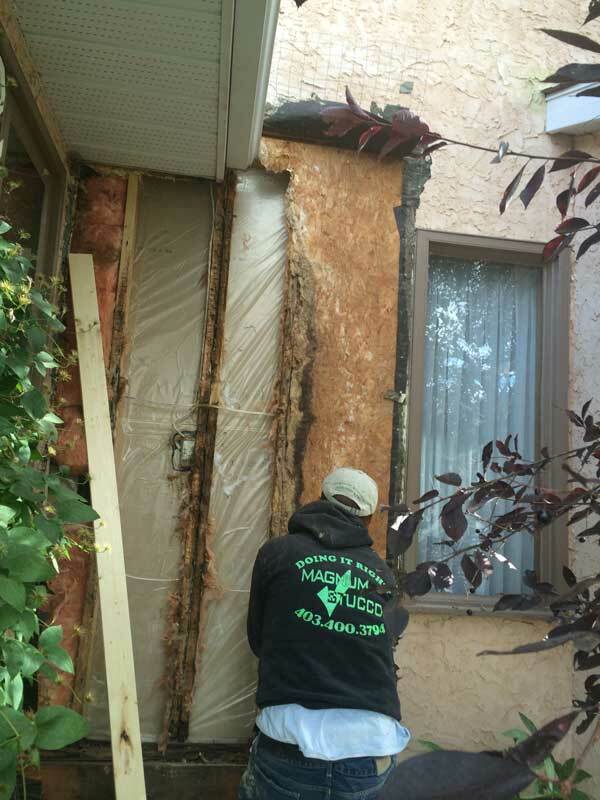 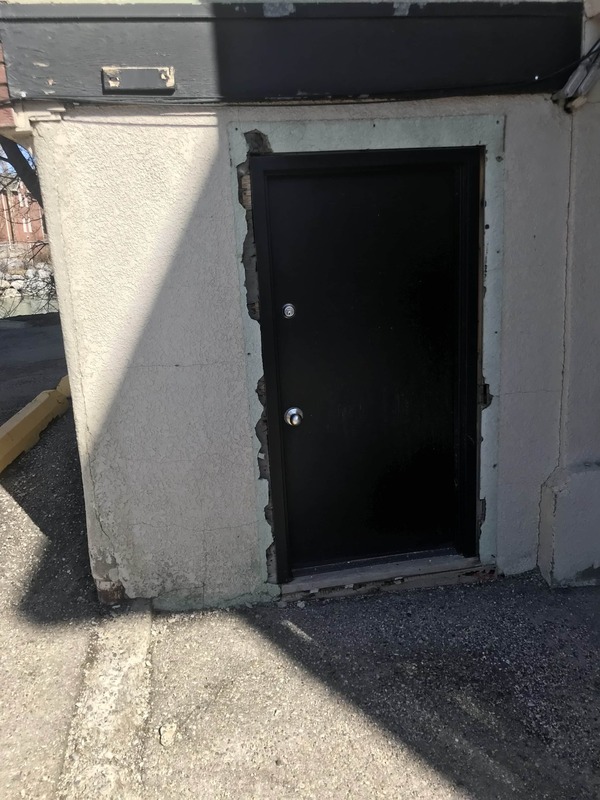 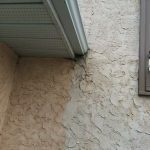 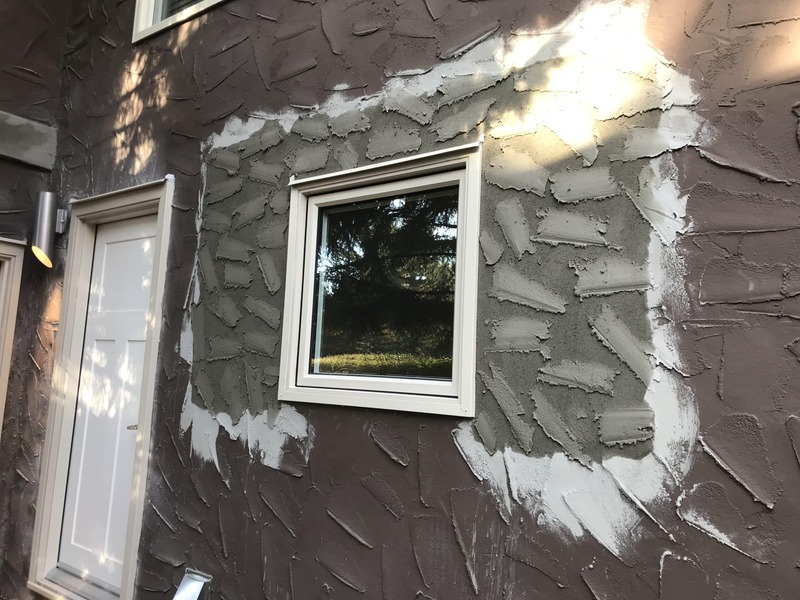 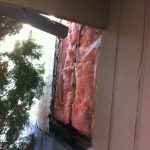 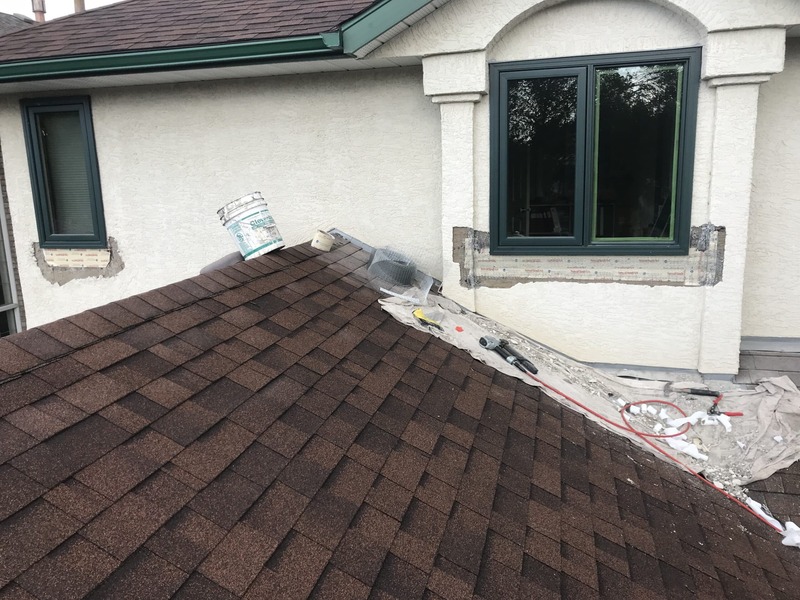 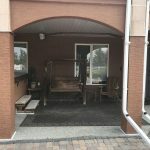 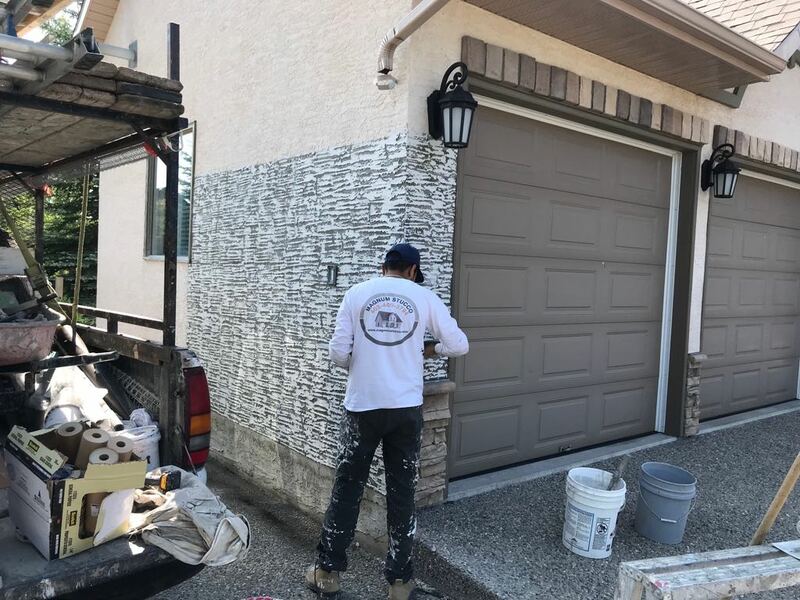 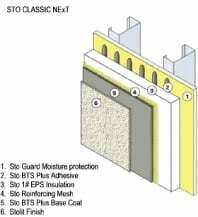 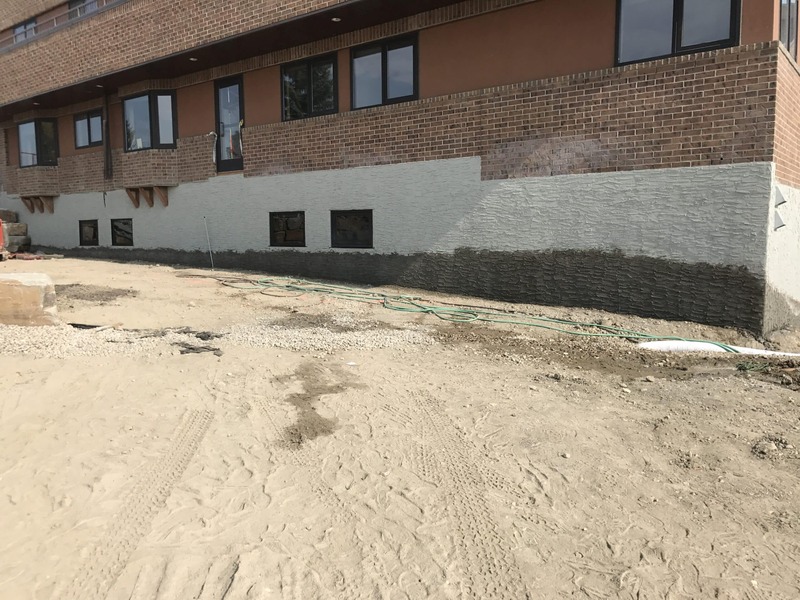 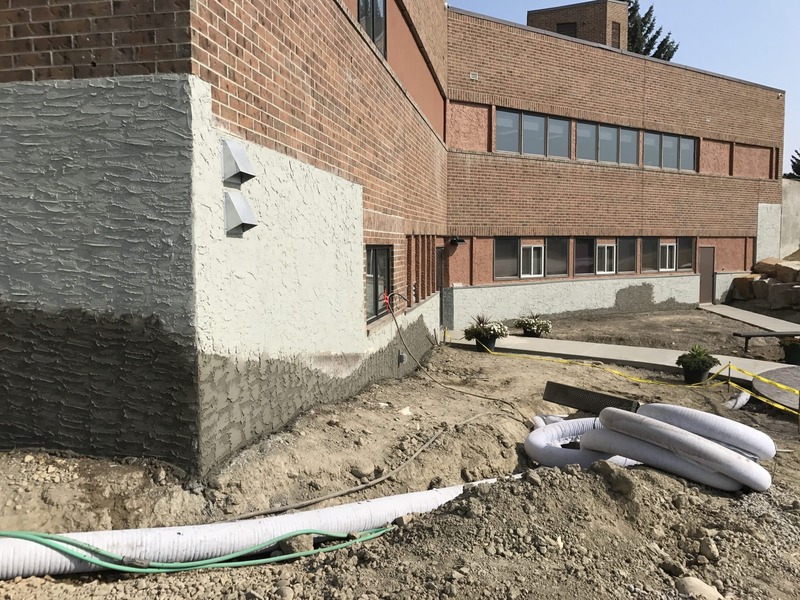 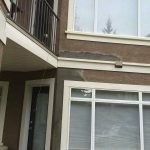 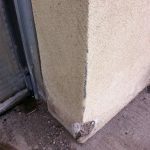 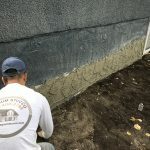 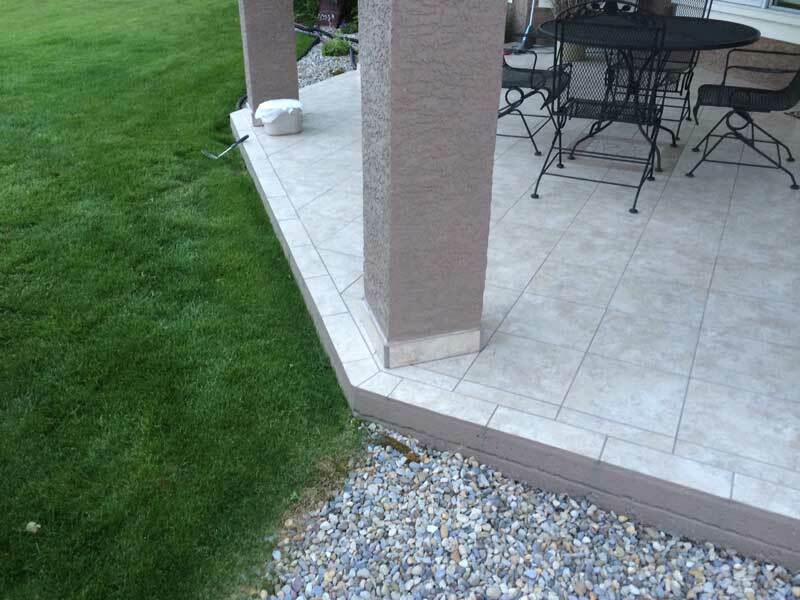 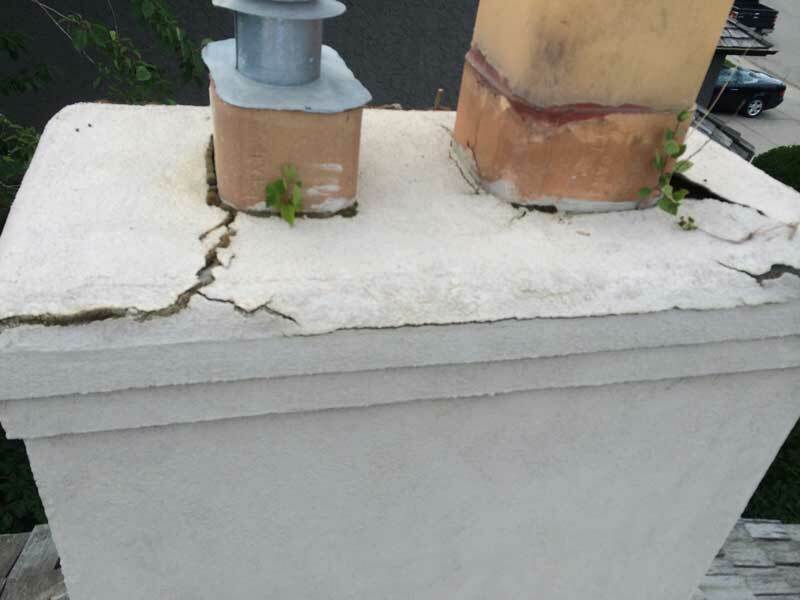 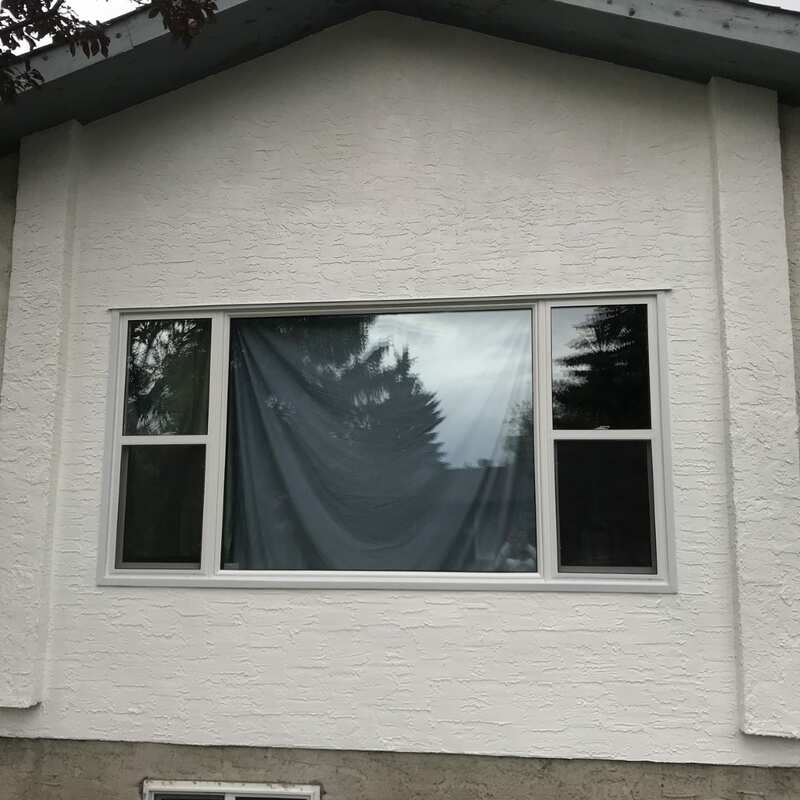 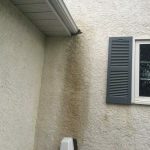 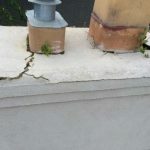 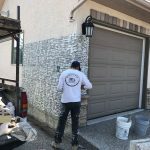 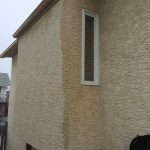 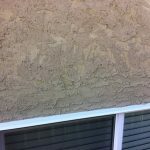 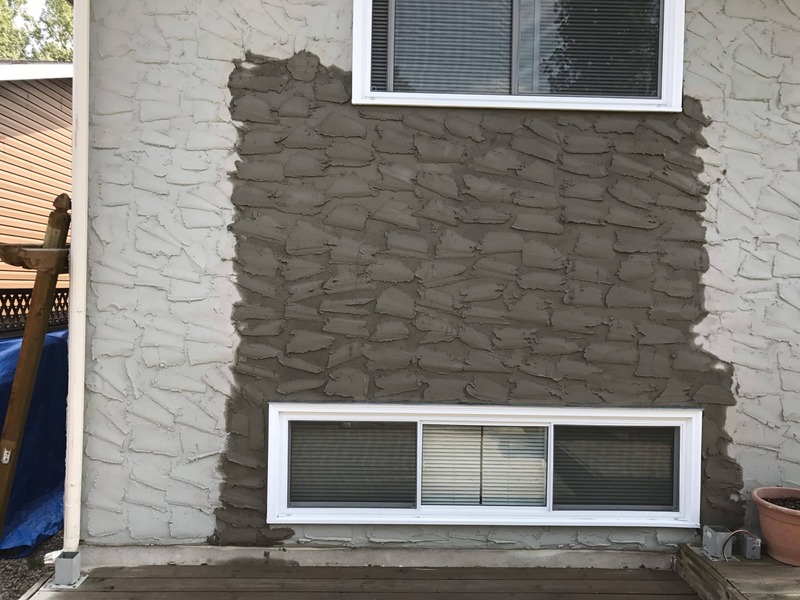 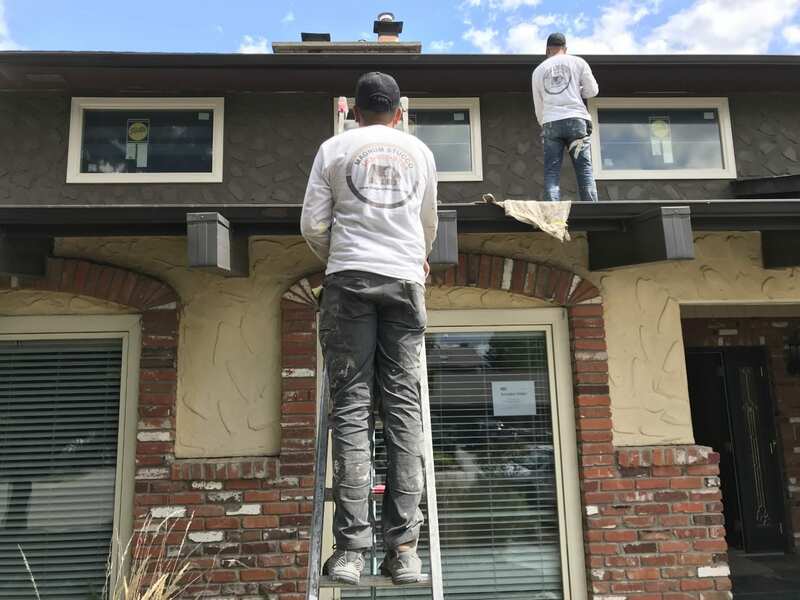 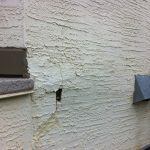 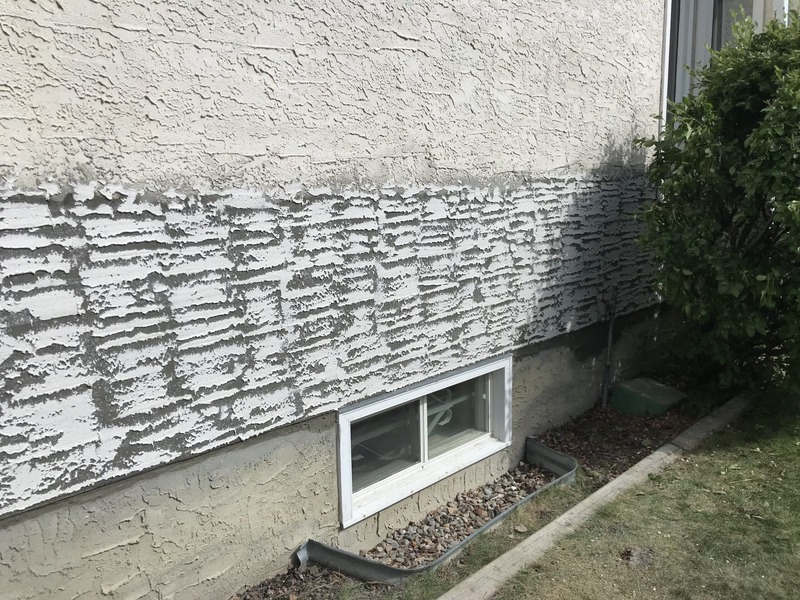 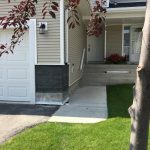 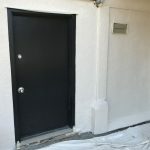 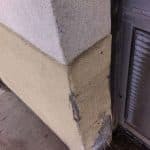 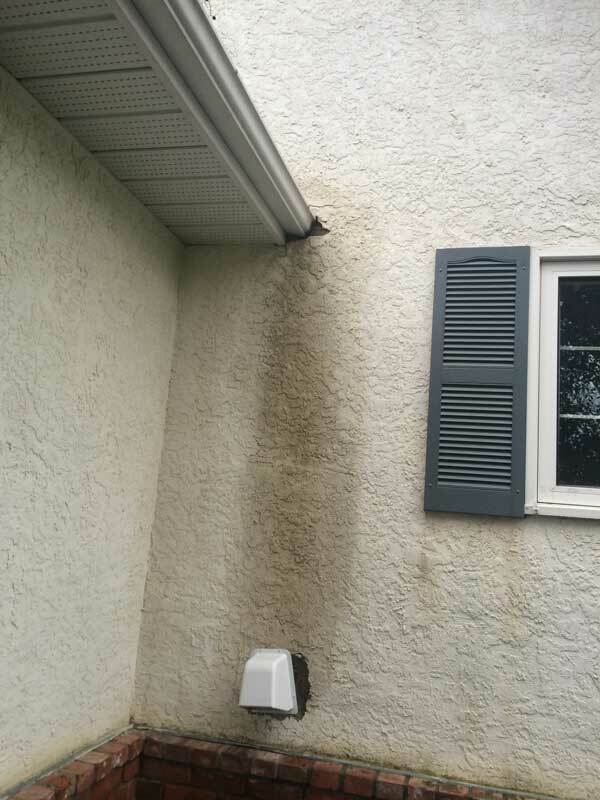 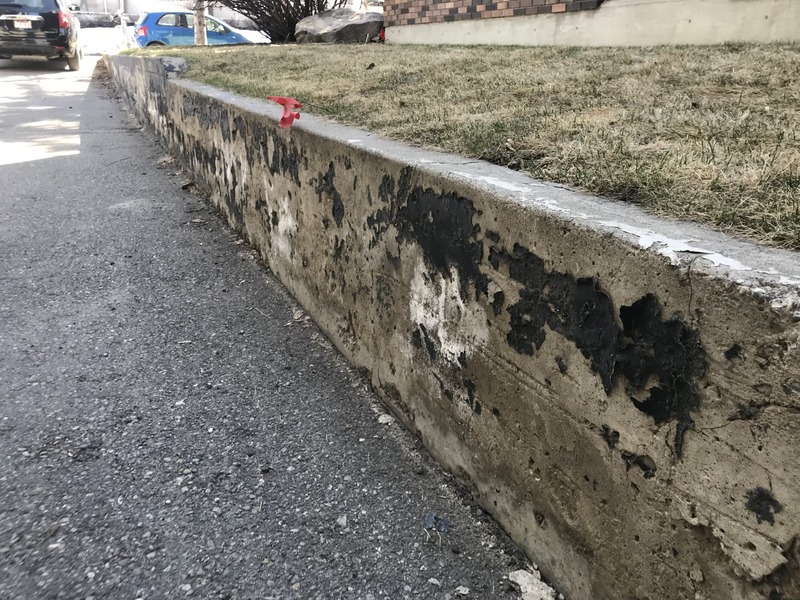 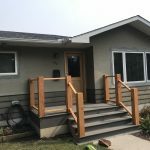 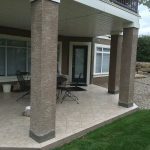 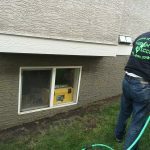 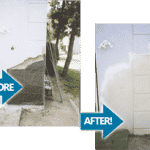 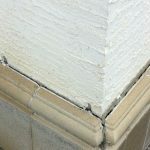 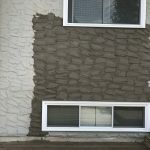 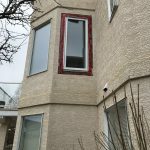 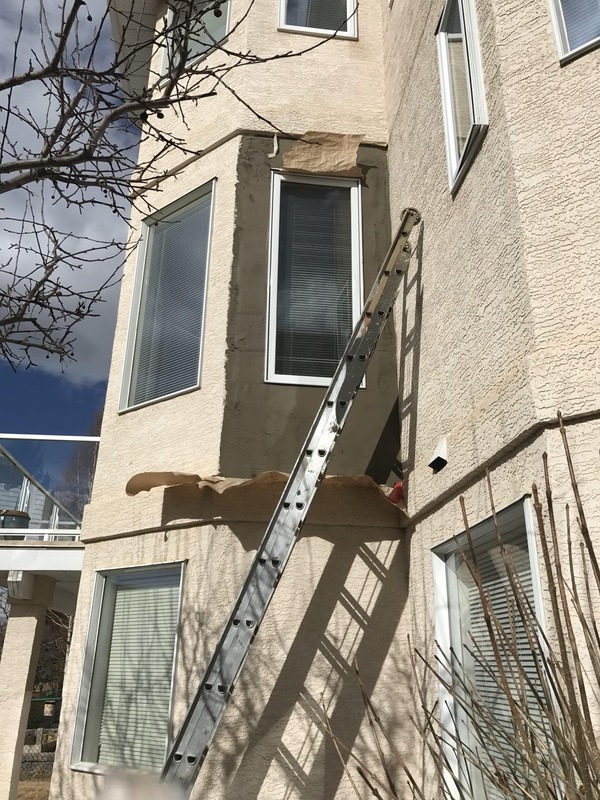 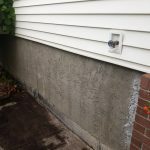 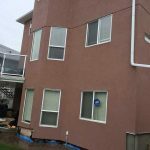 Most common stucco deterioration is caused from water infiltration from the building structure, the water damage could have came from the roof, windows and door openings, chimneys, or excessive ground water. 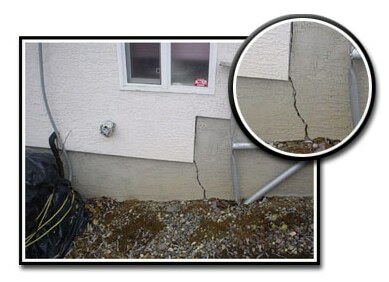 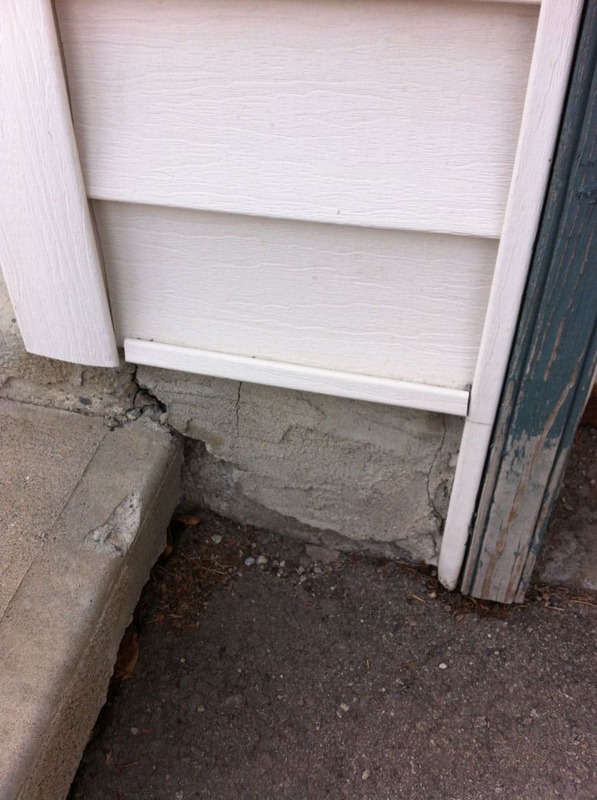 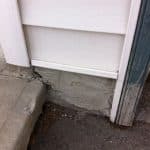 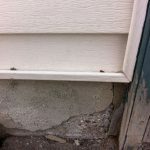 When we examine in the house we will check most obvious spots such as cracks or water spots. 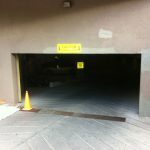 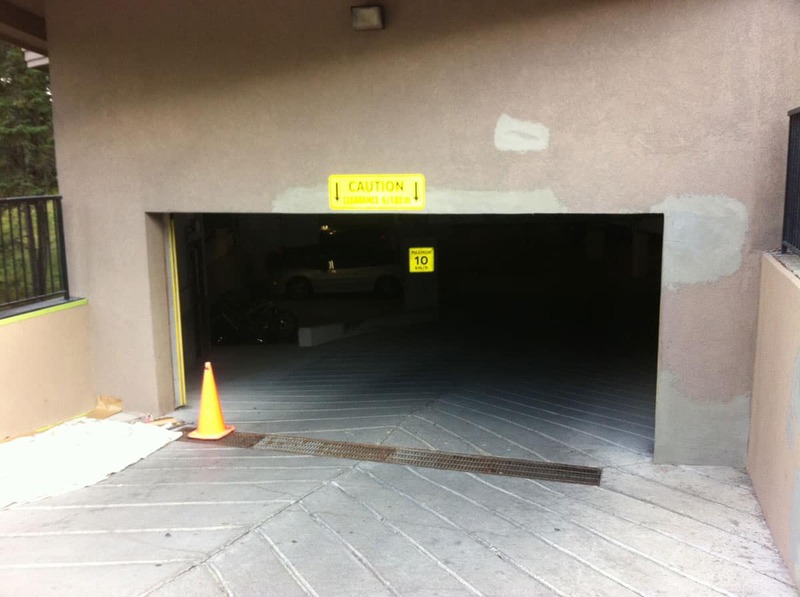 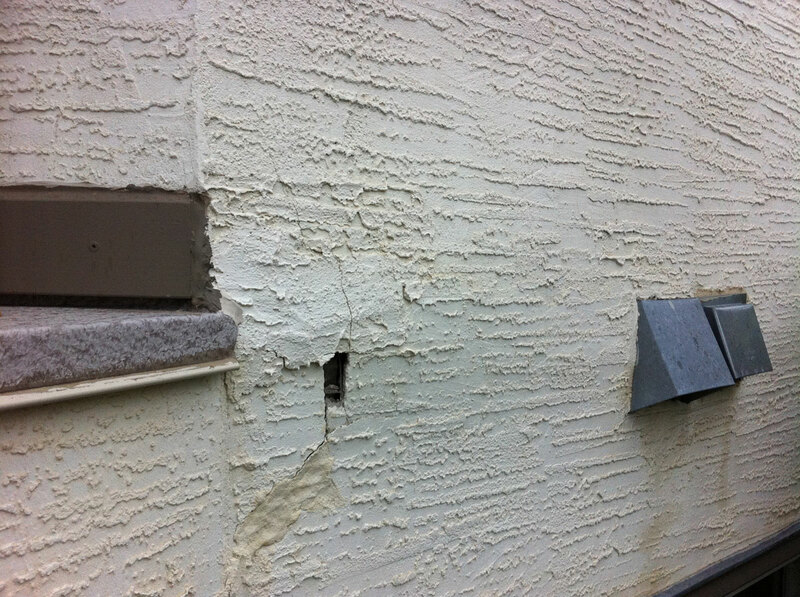 Once the damaged areas are identified we begin repairs. 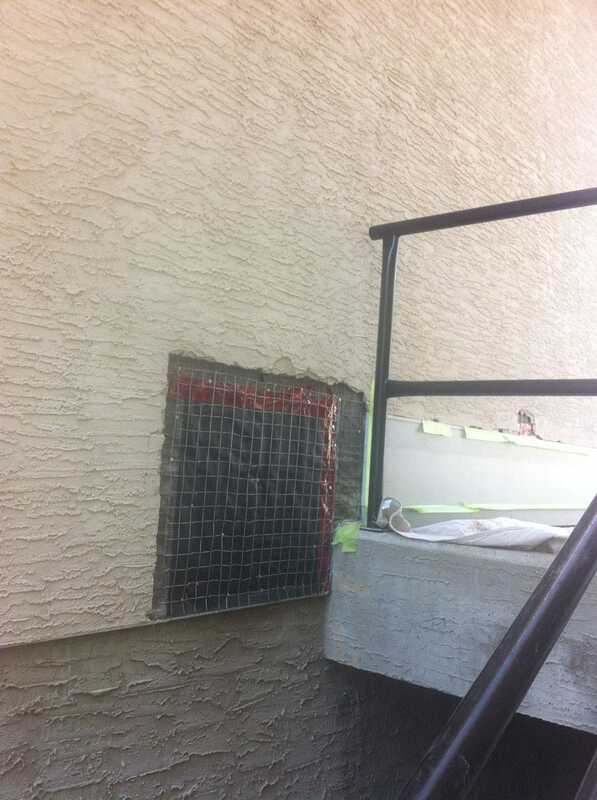 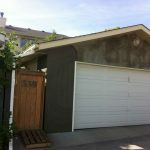 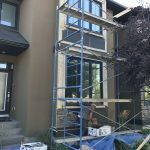 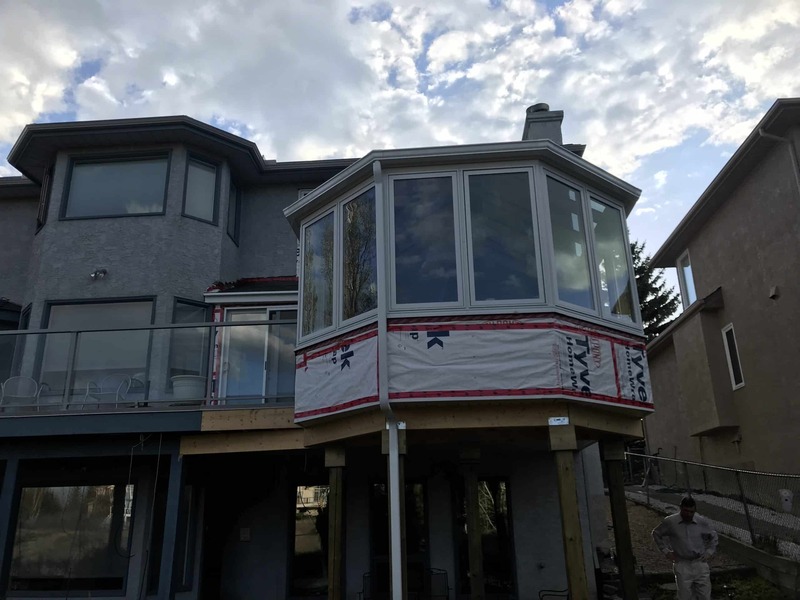 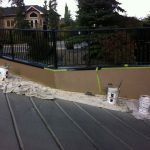 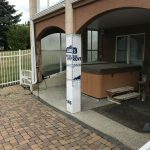 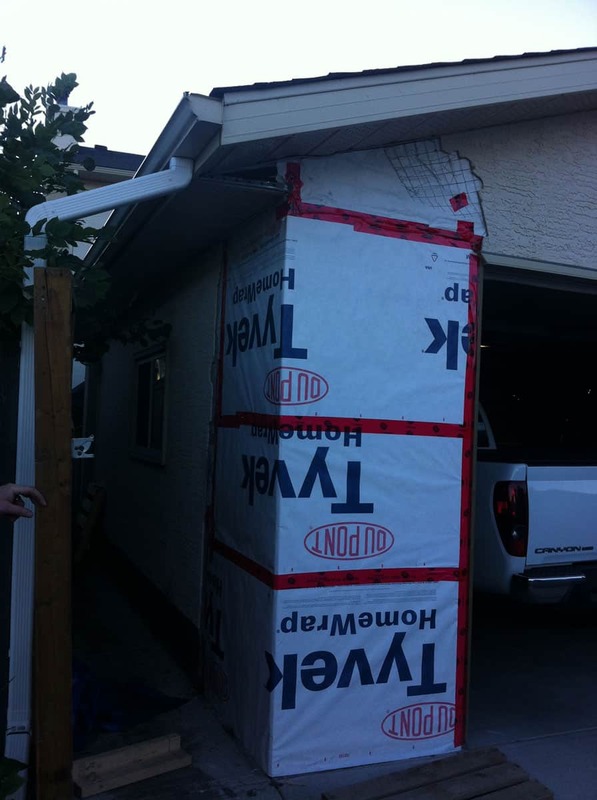 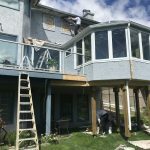 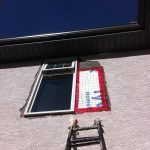 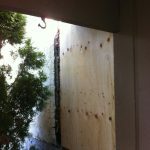 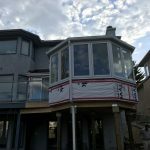 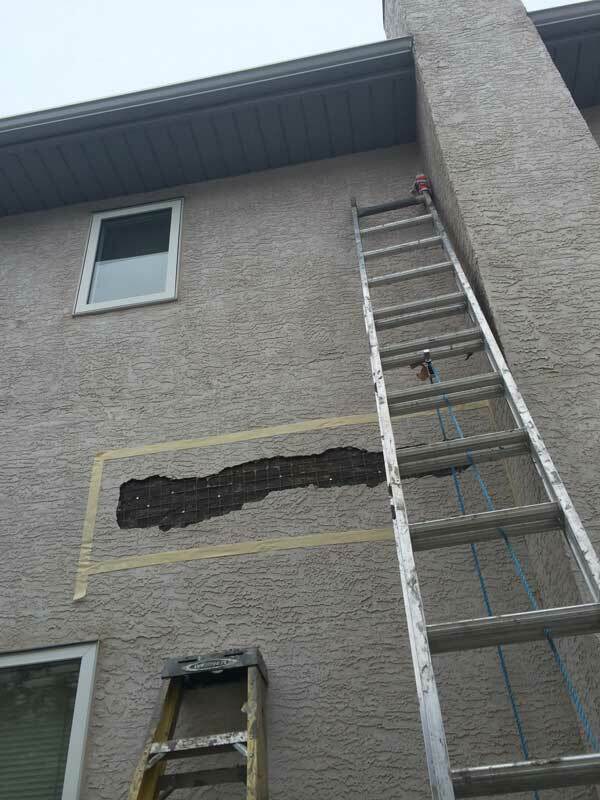 With water damage on stucco there it will most likely need modifications. 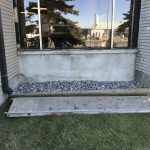 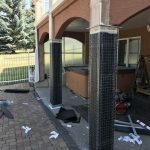 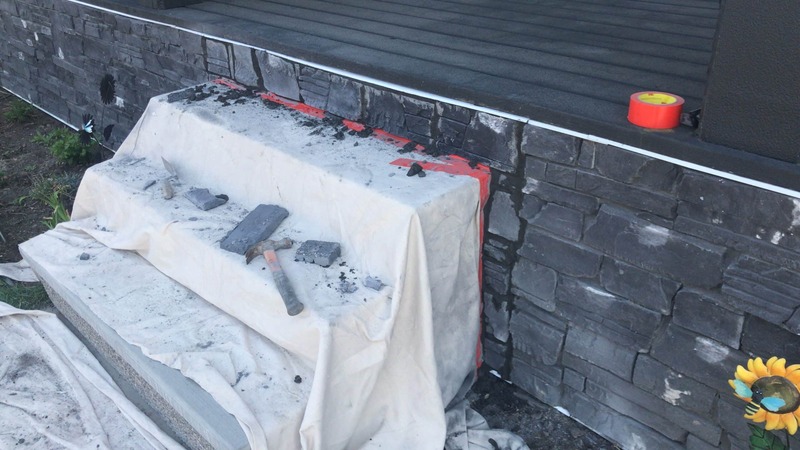 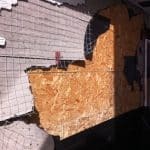 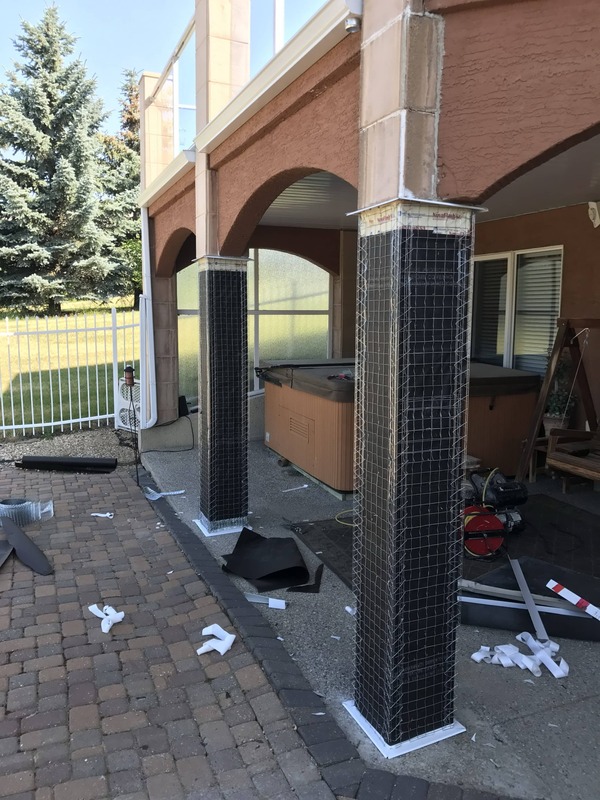 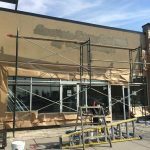 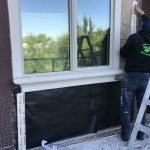 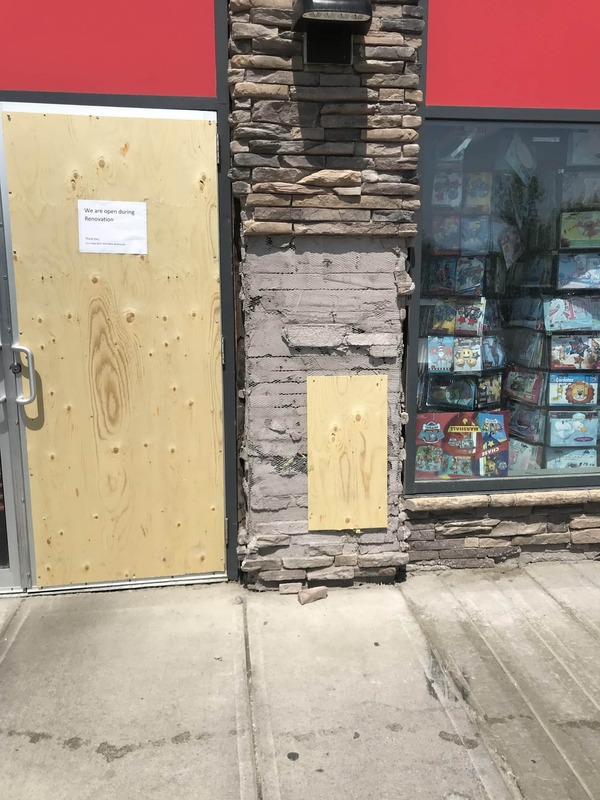 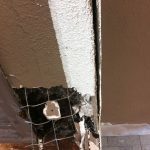 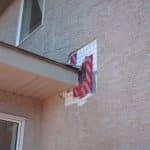 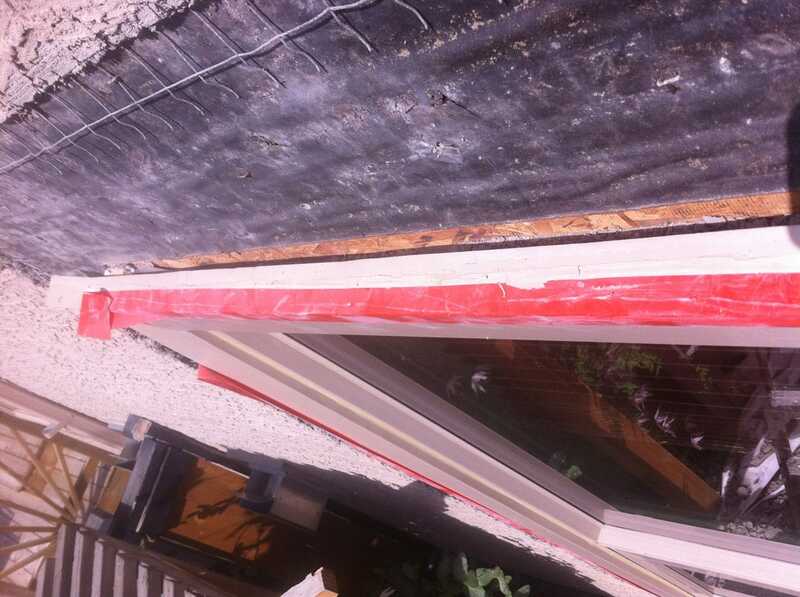 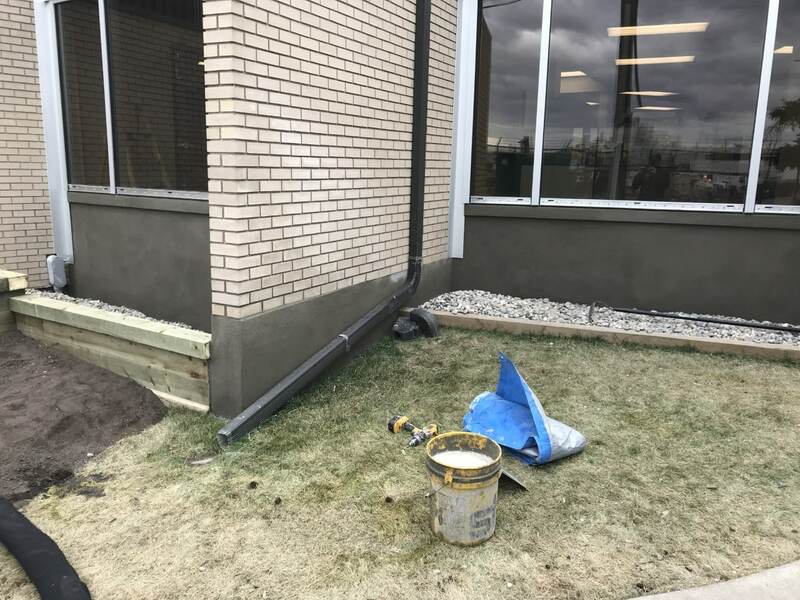 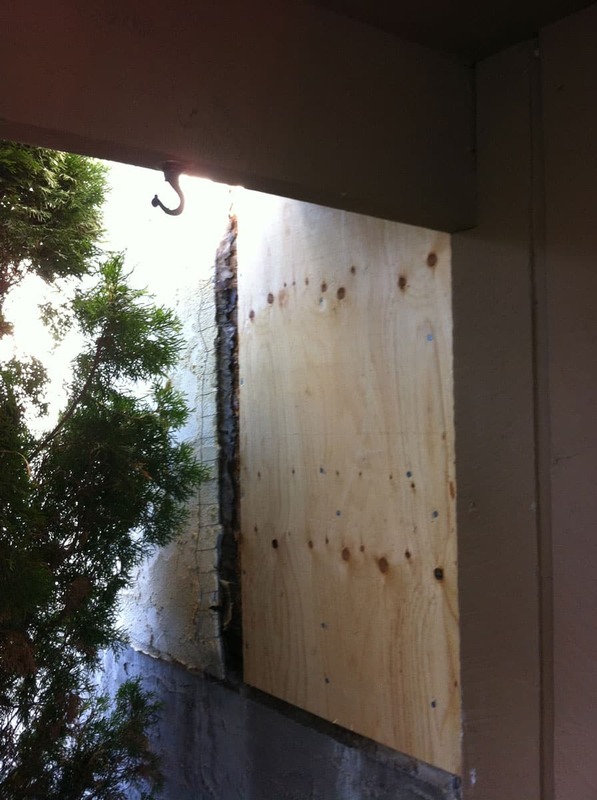 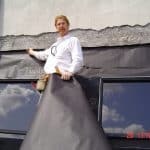 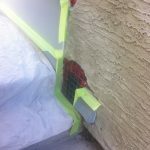 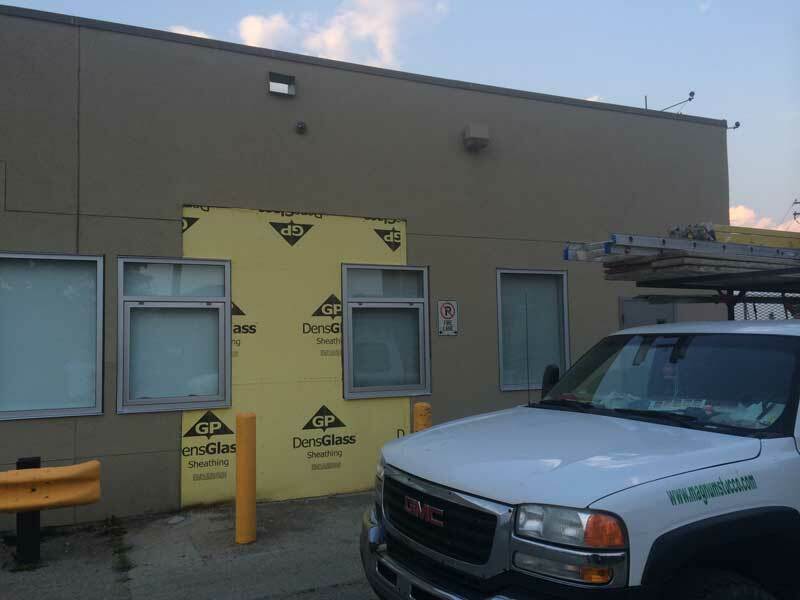 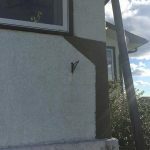 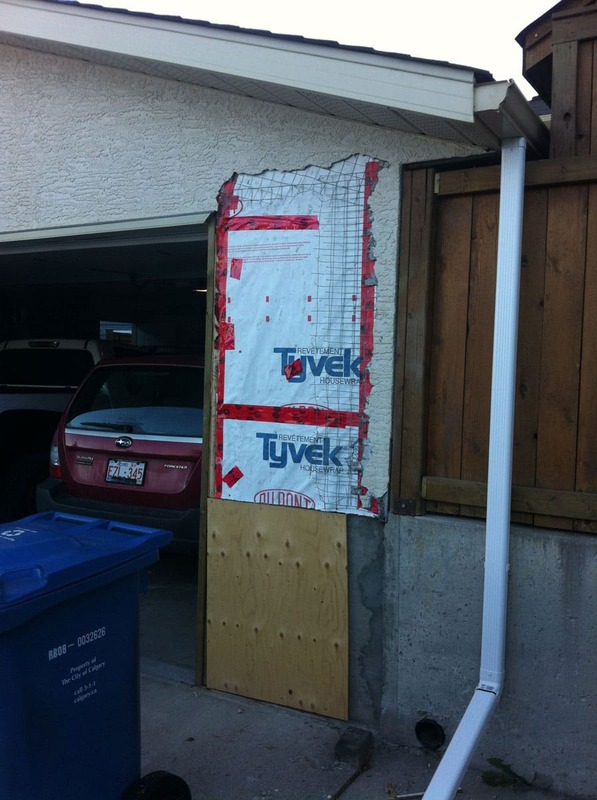 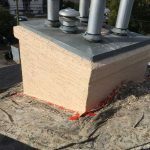 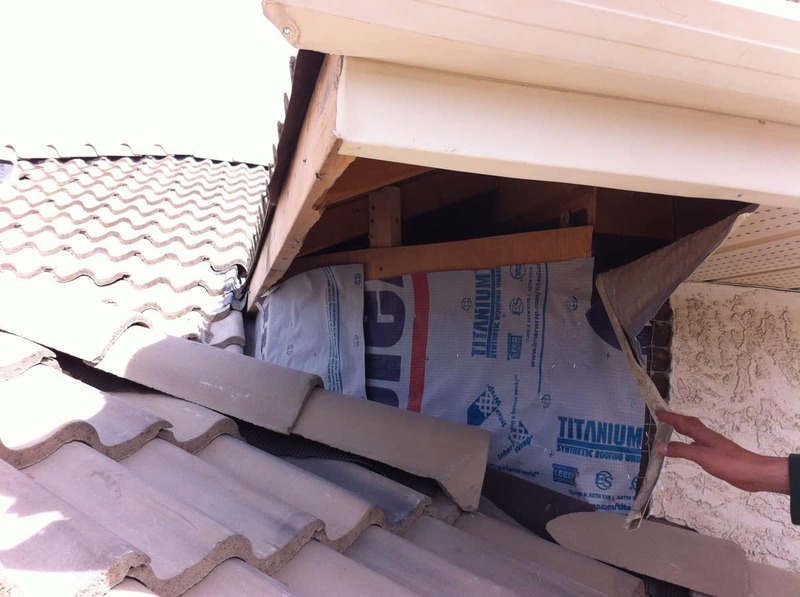 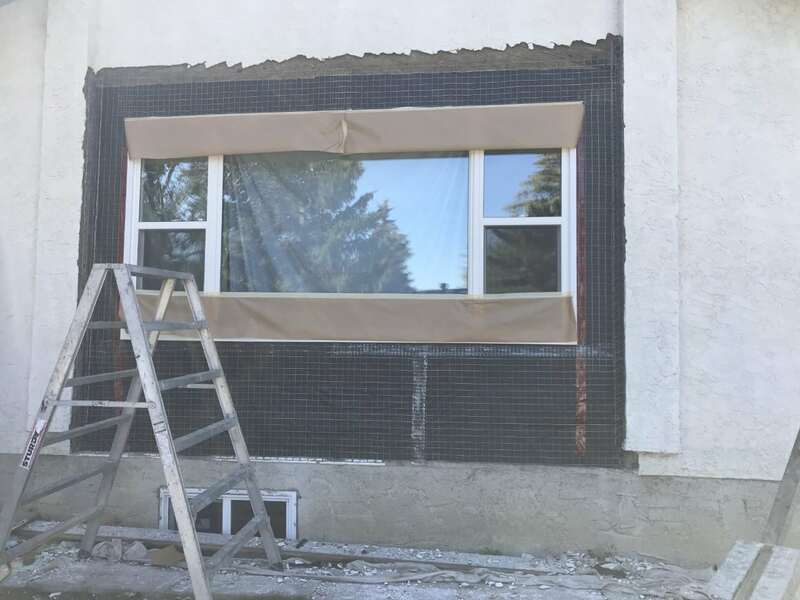 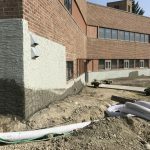 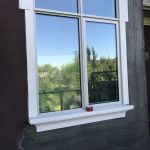 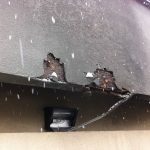 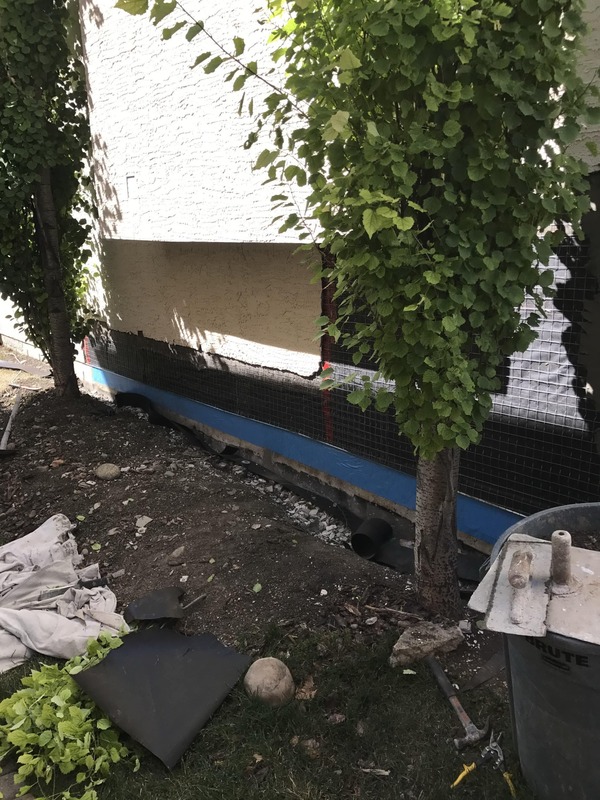 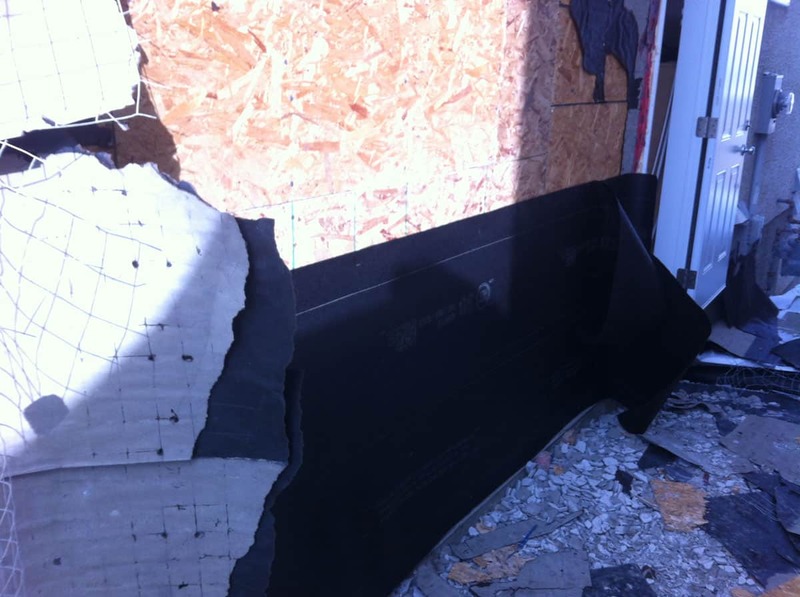 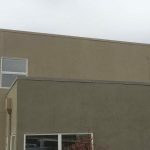 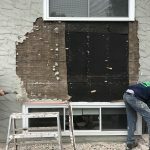 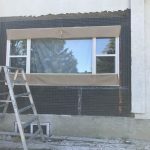 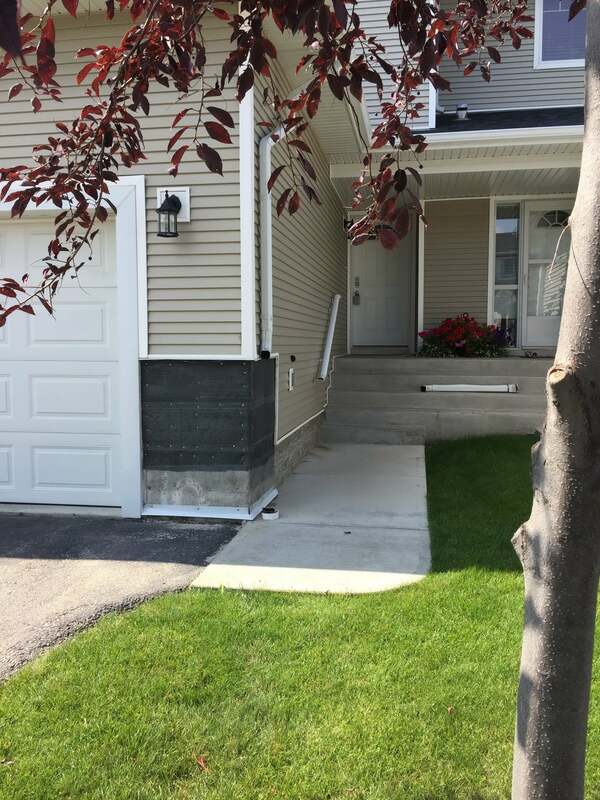 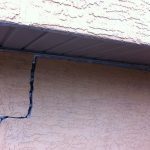 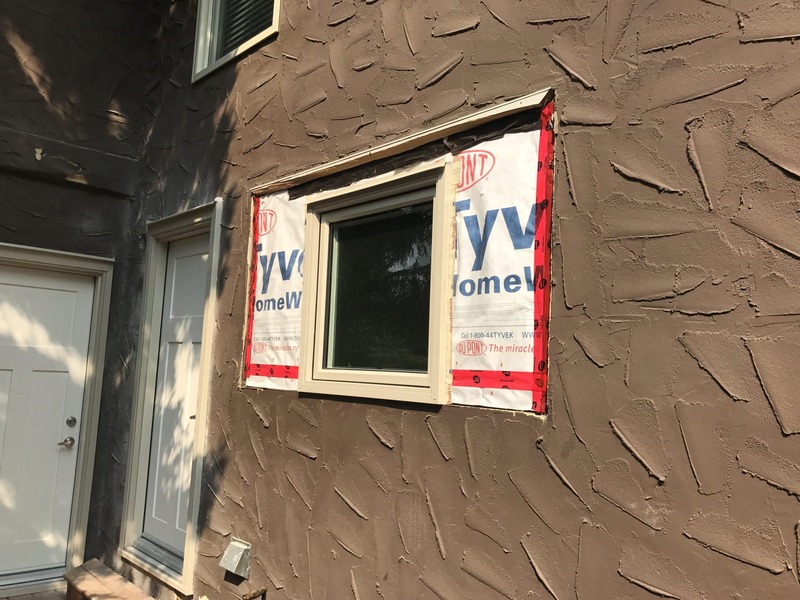 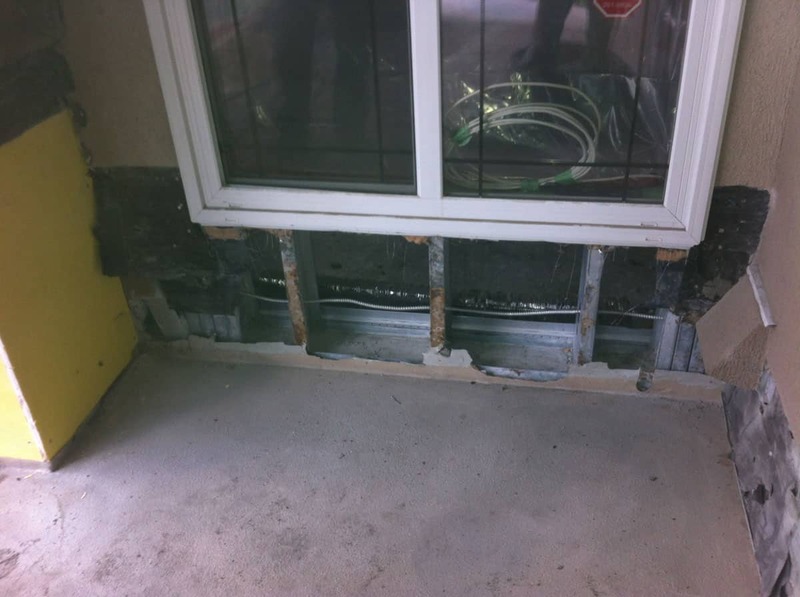 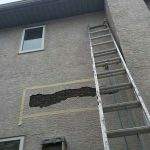 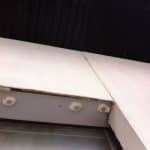 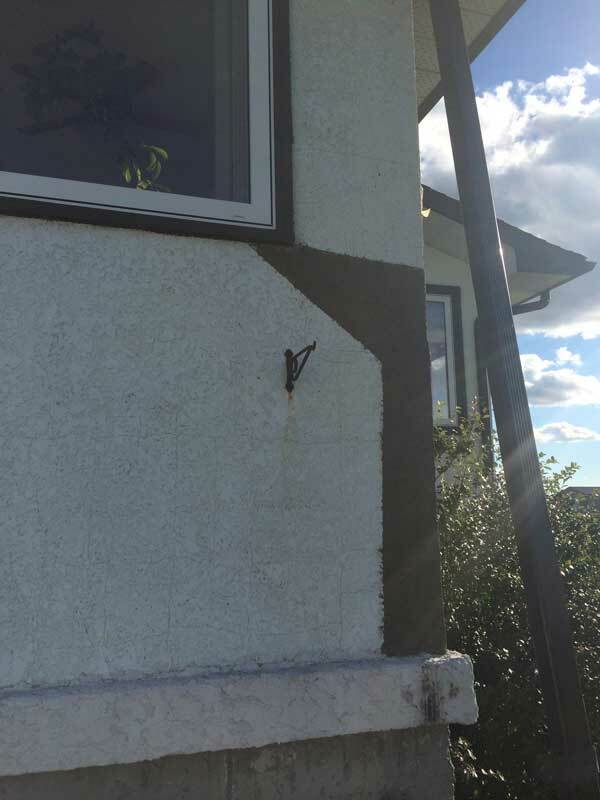 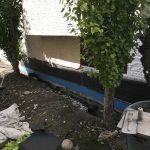 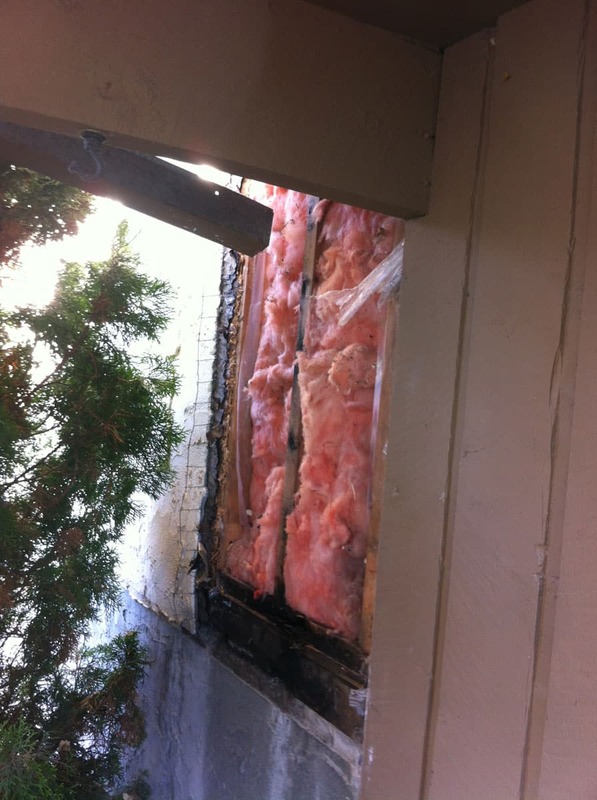 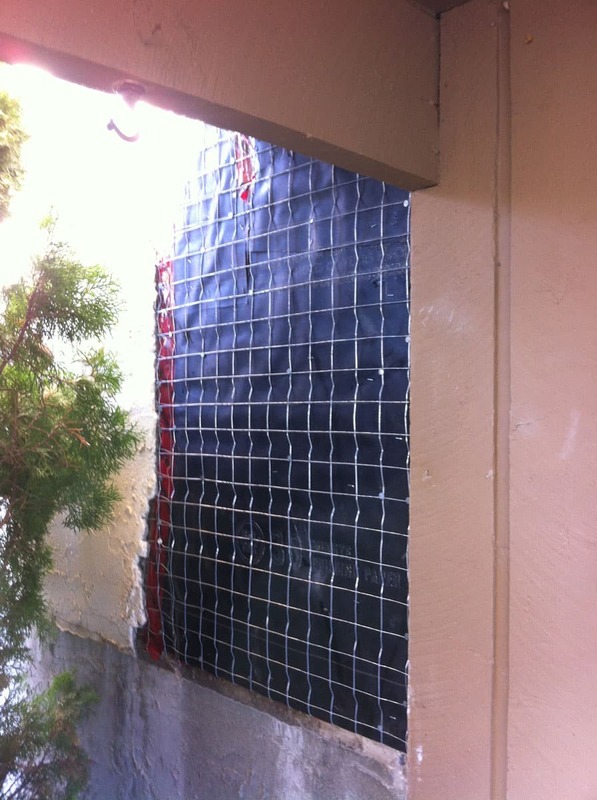 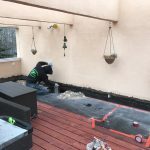 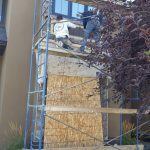 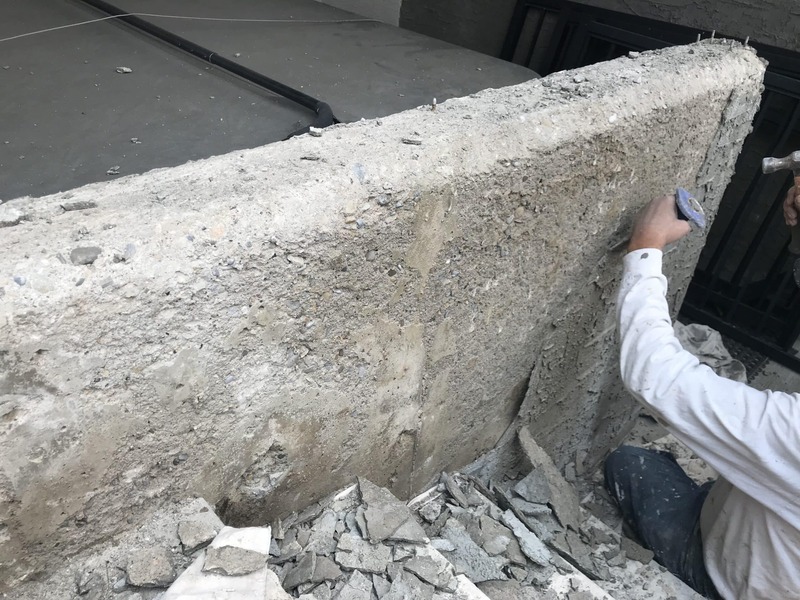 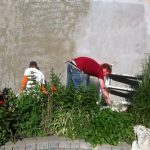 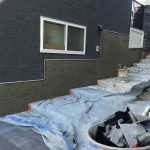 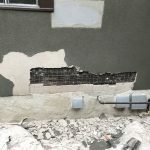 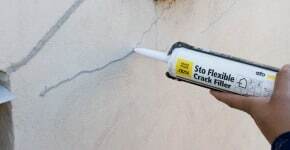 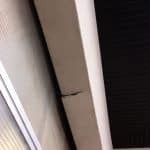 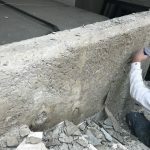 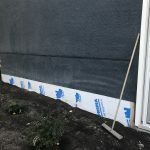 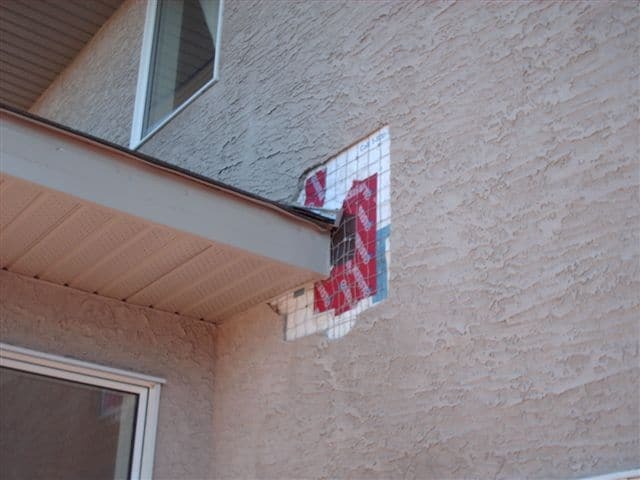 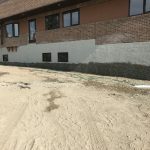 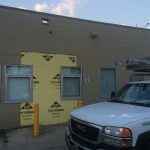 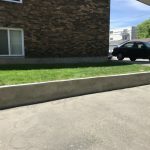 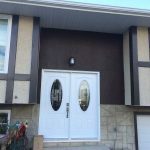 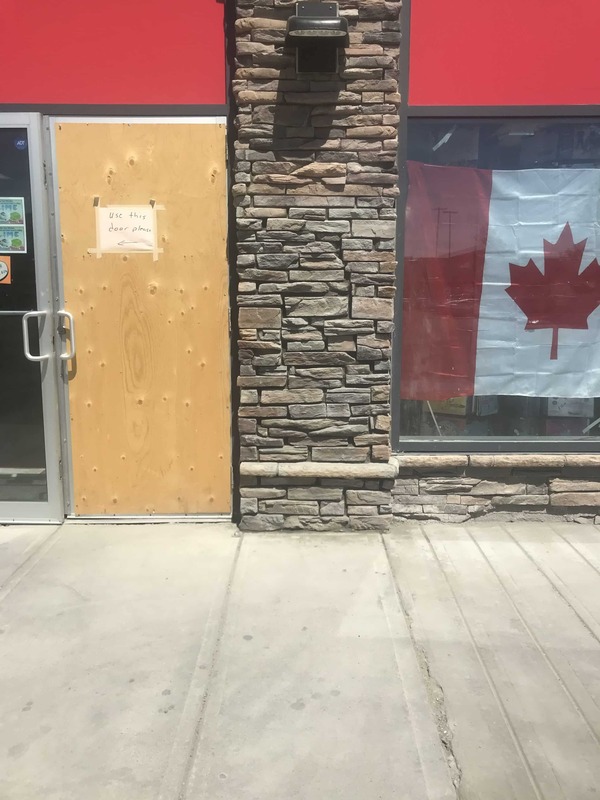 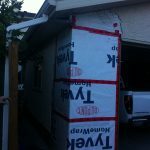 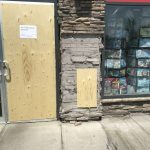 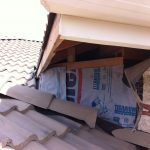 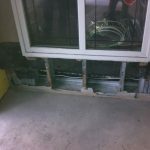 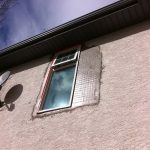 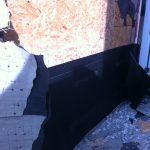 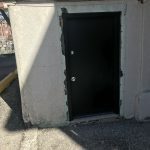 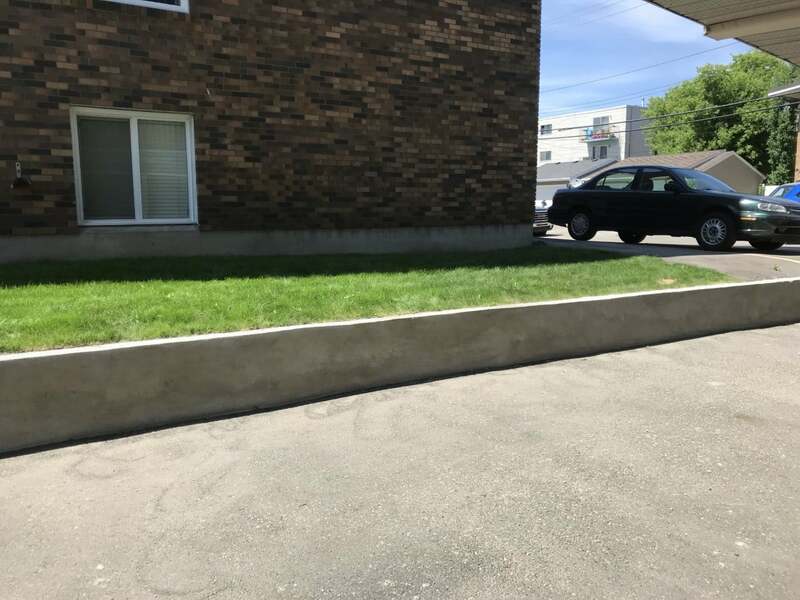 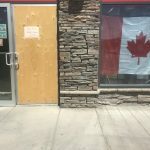 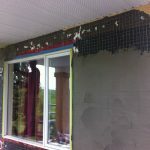 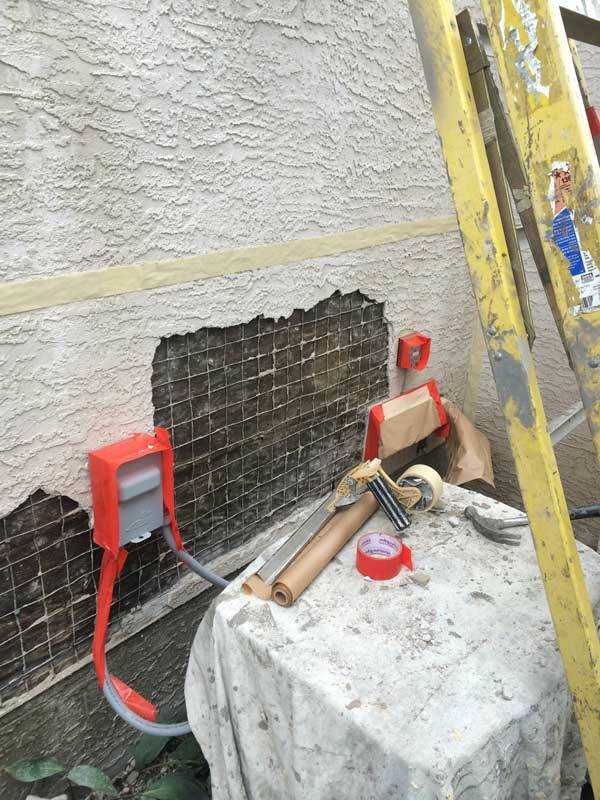 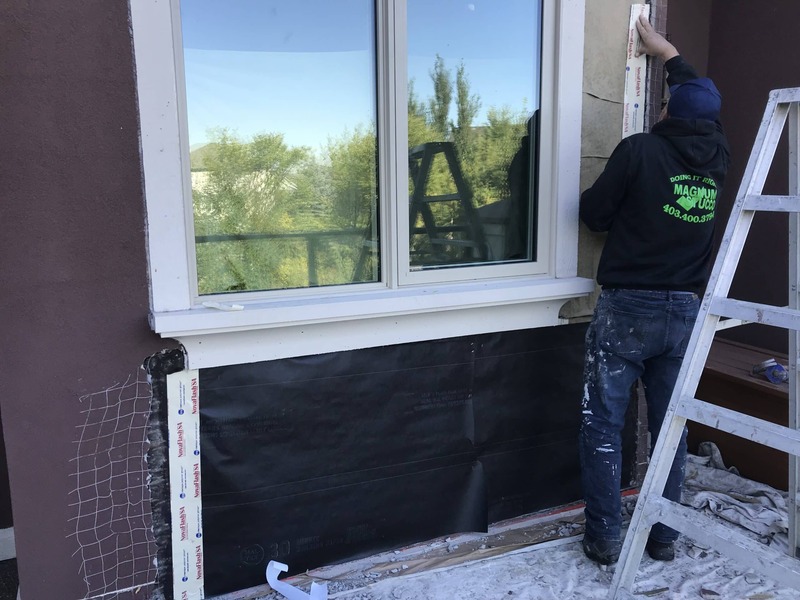 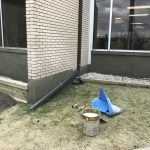 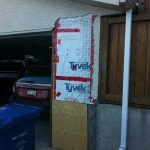 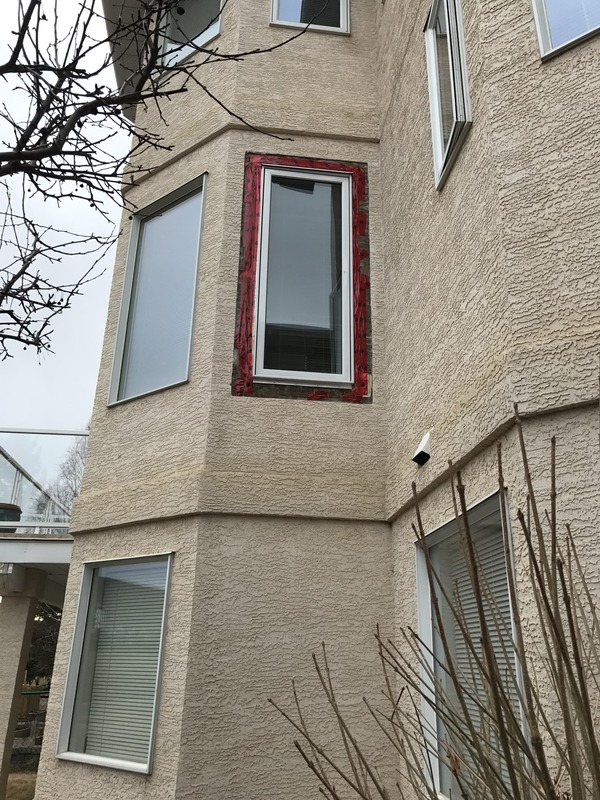 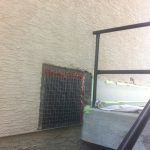 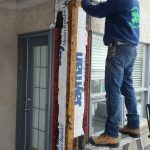 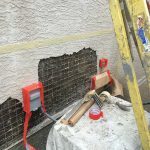 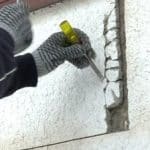 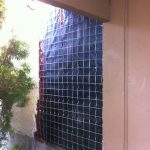 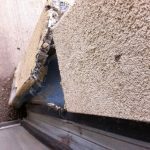 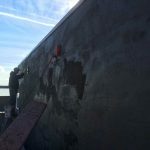 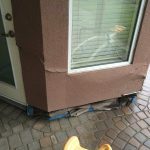 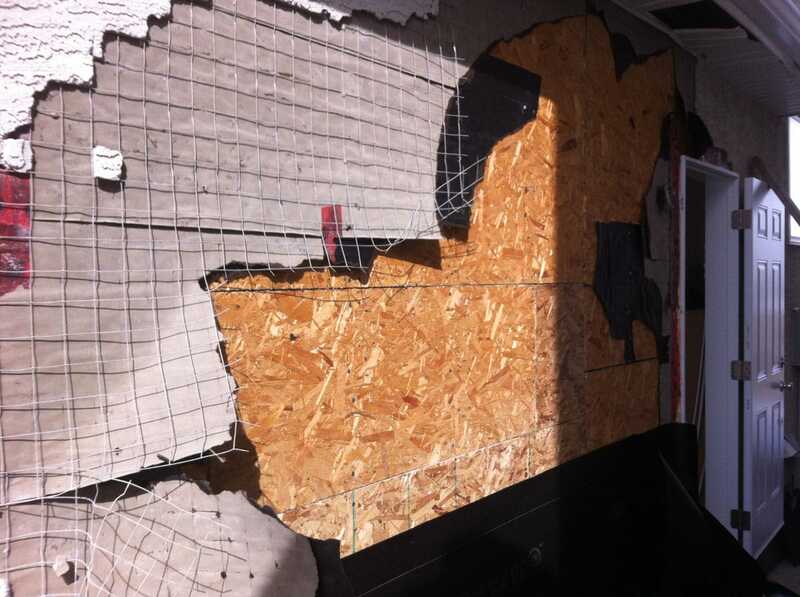 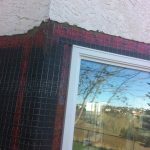 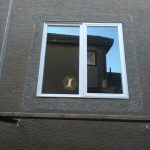 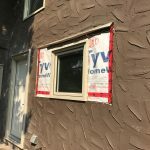 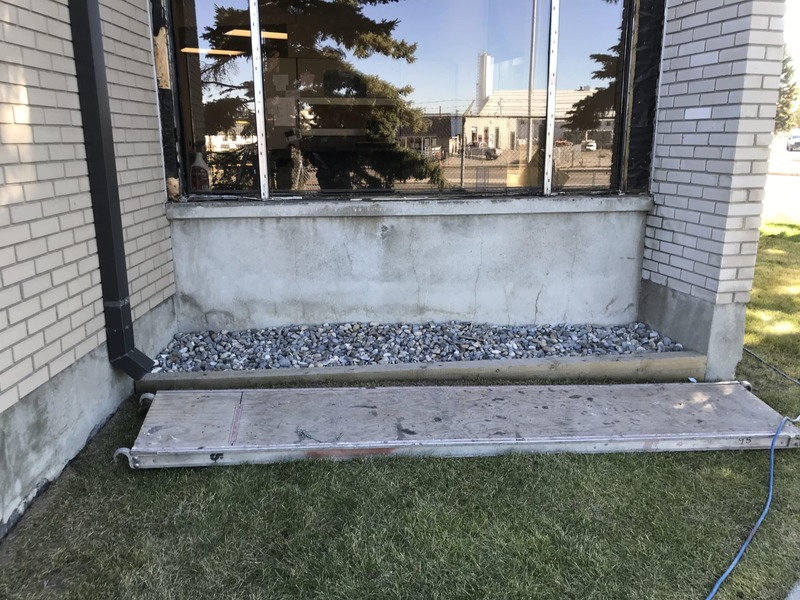 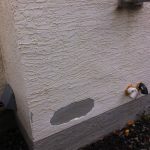 There could possibly be damage on the paper and wire beneath the stucco which should be replaced as soon as possible to prevent further and harsher damage. 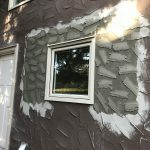 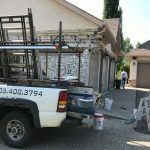 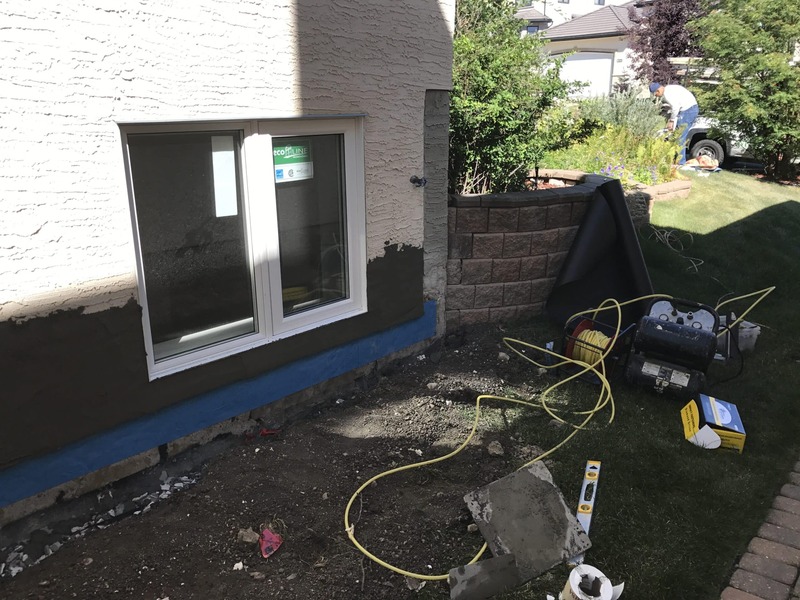 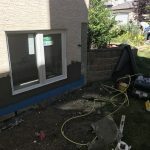 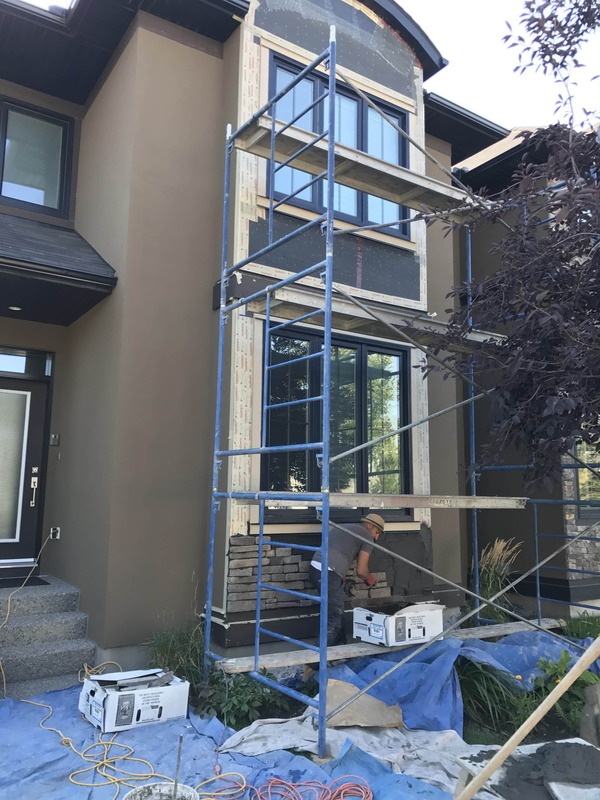 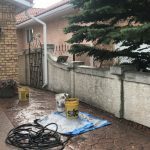 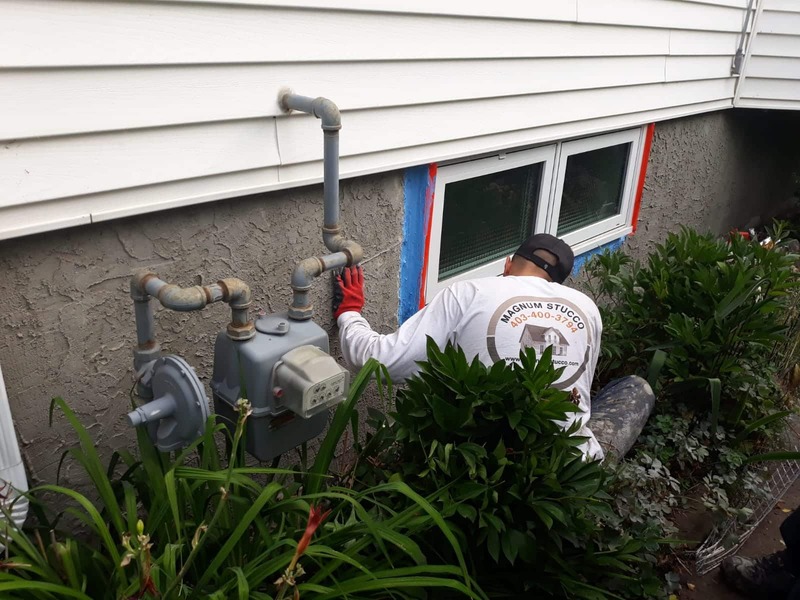 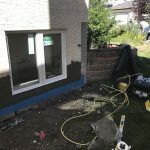 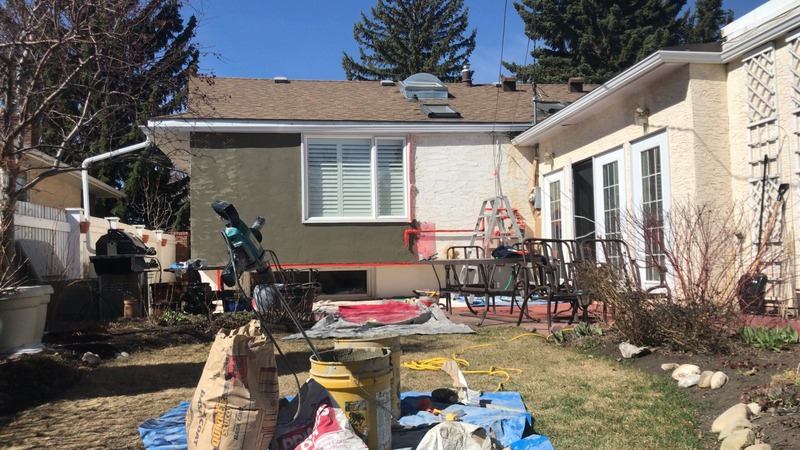 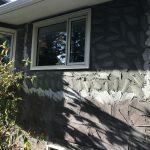 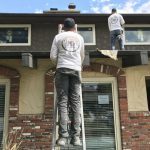 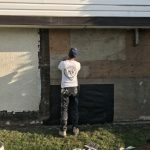 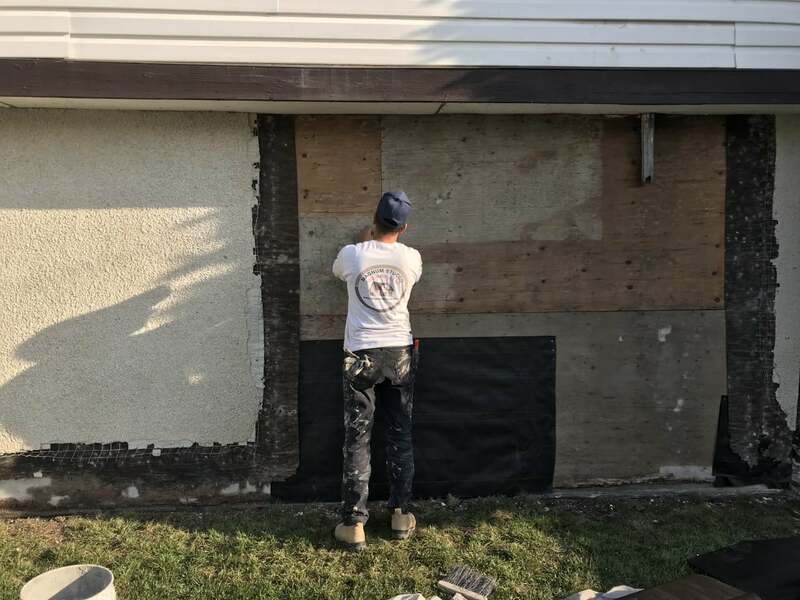 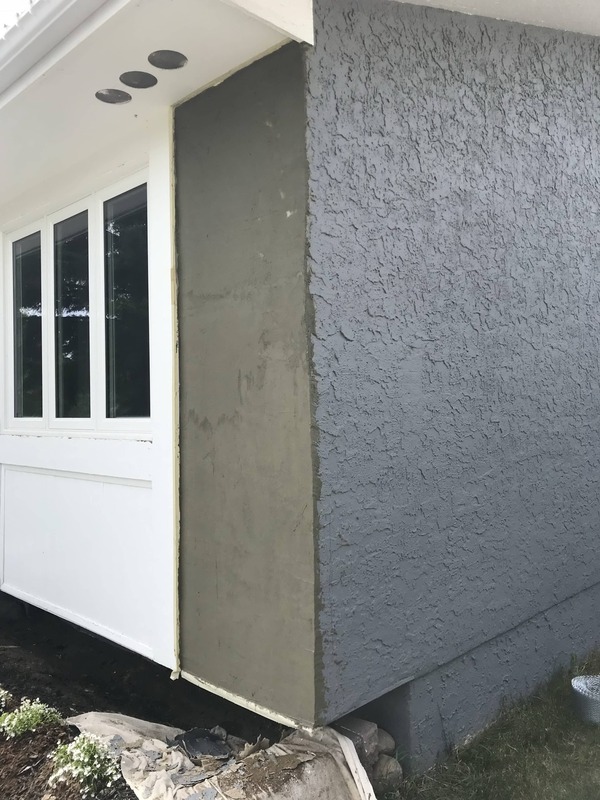 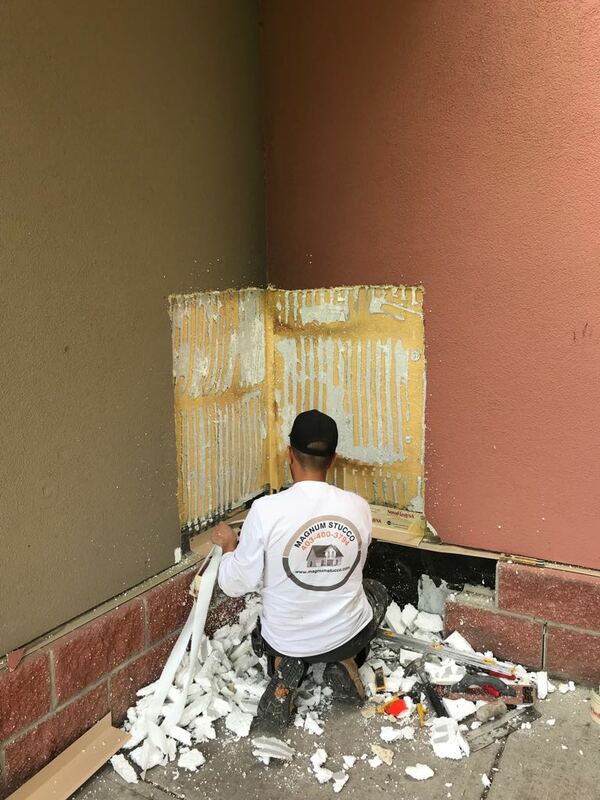 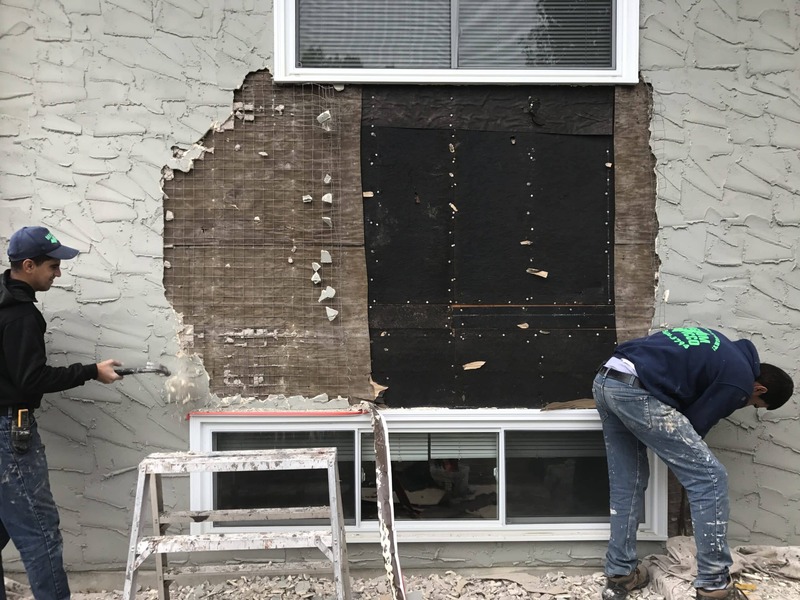 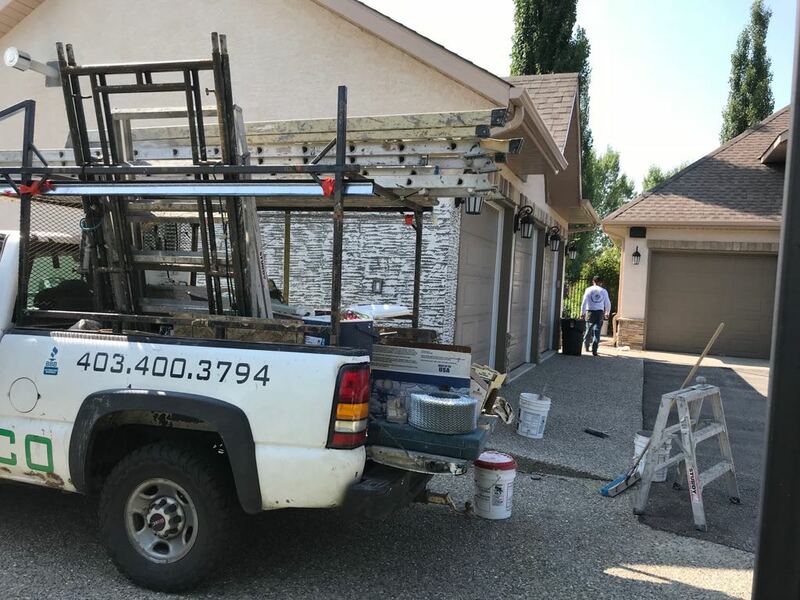 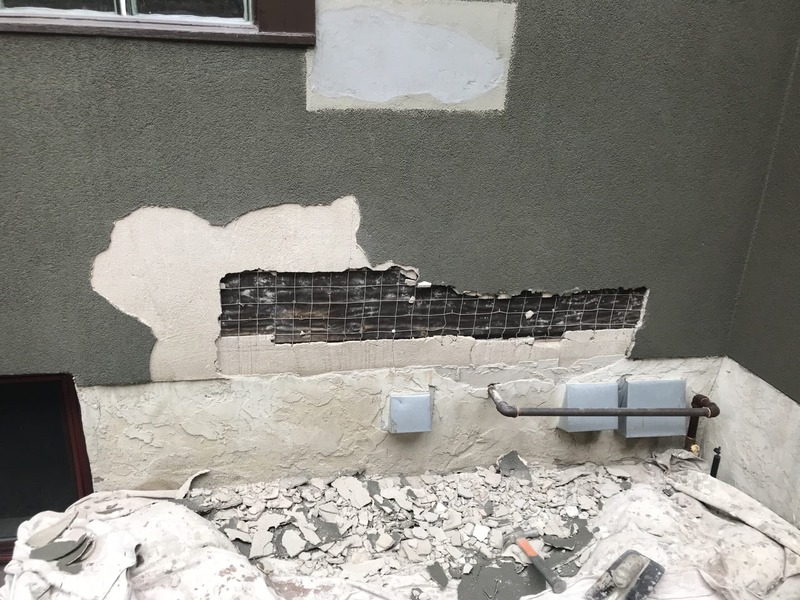 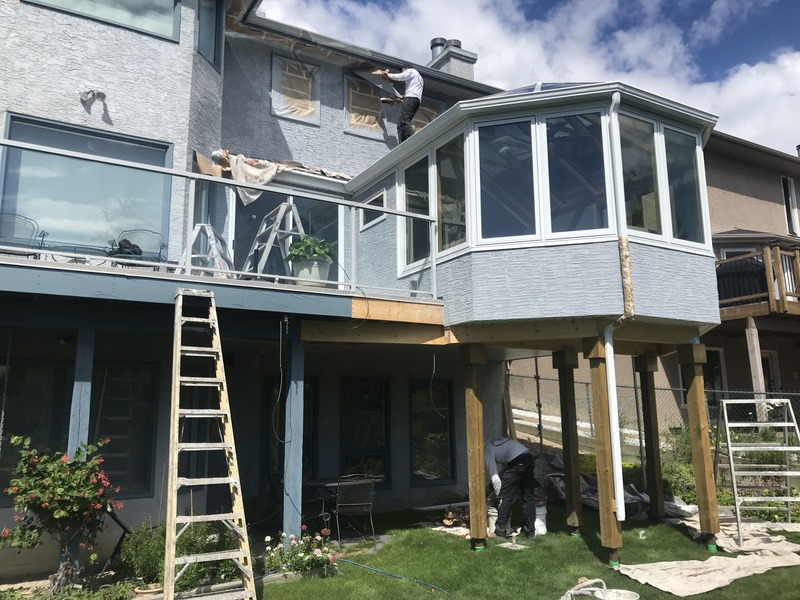 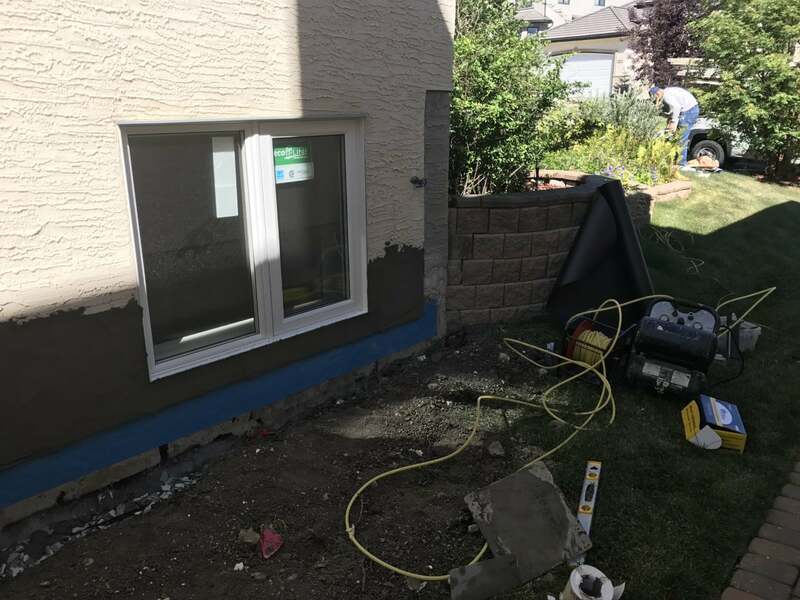 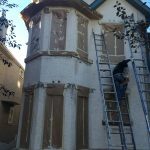 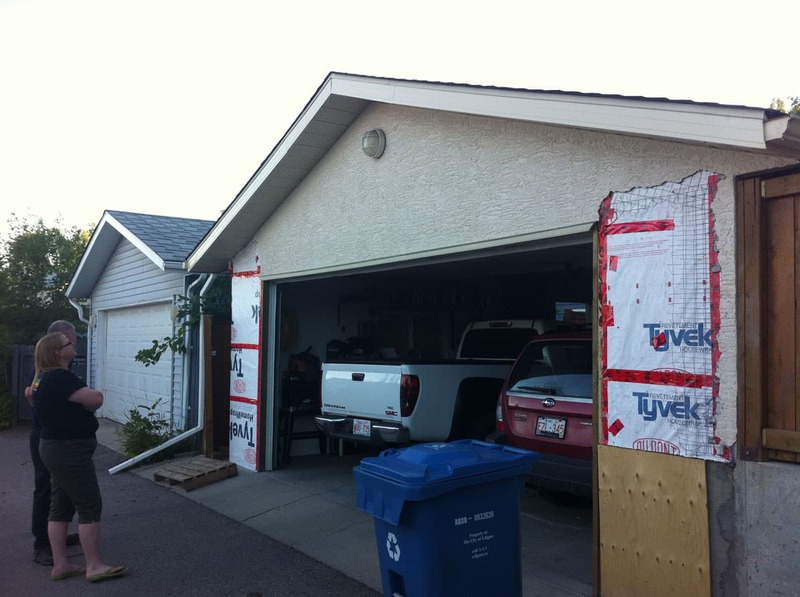 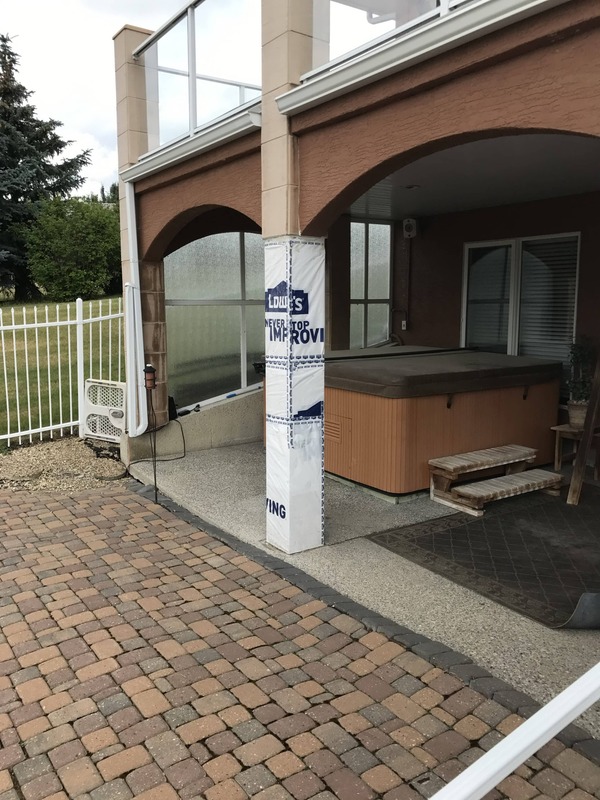 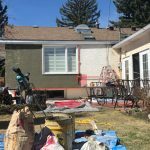 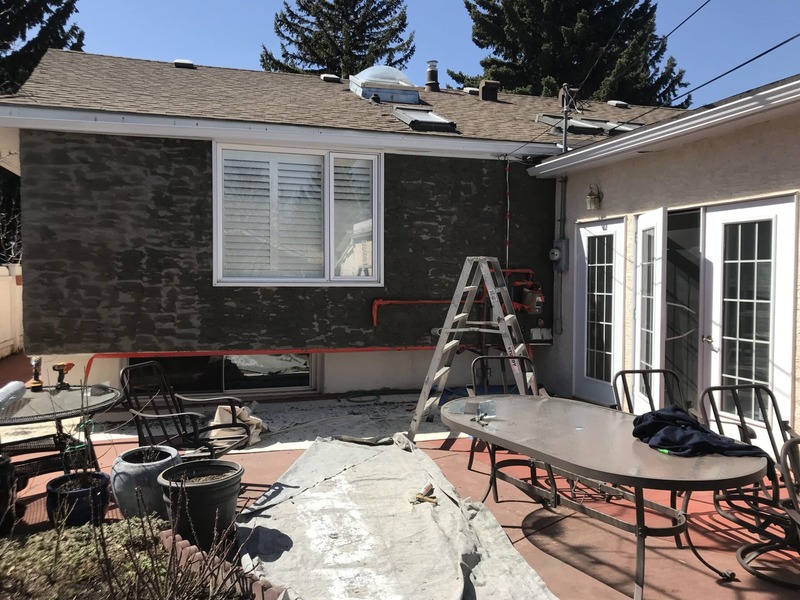 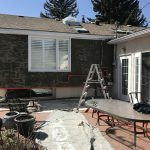 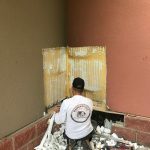 In the process of repairing stucco we will determine the extent of the damage and the areas it is in, after we will tear down the damaged stucco and replace the paper and wire underneath and apply a new coating, 99% of the time we can match the repaired stucco areas to the rest of the house. 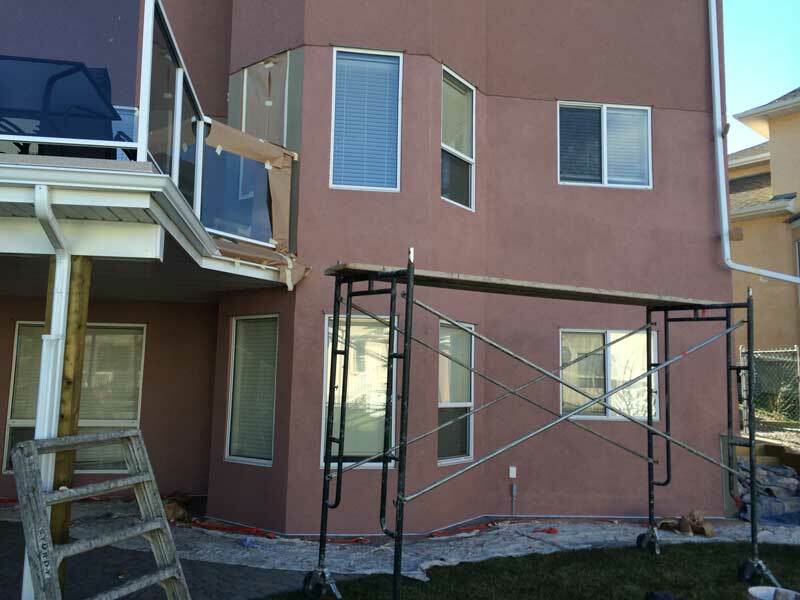 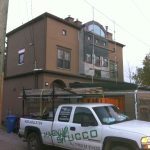 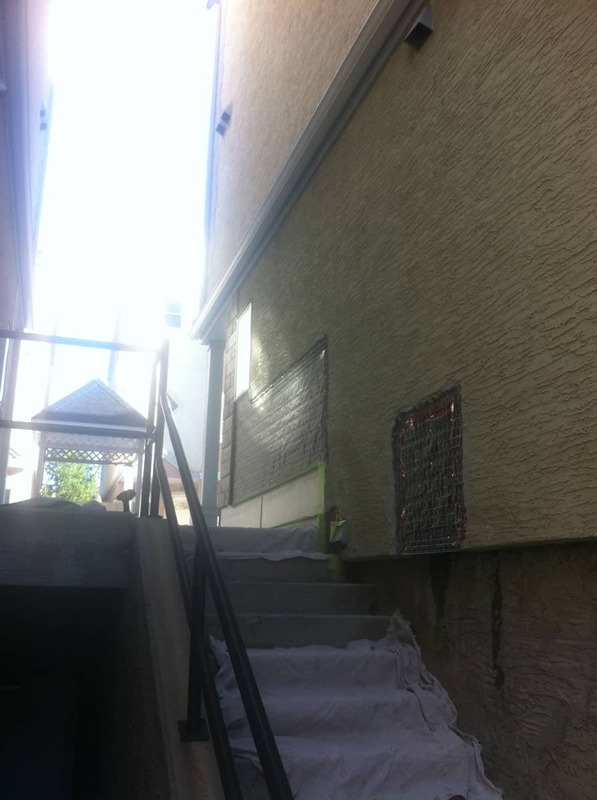 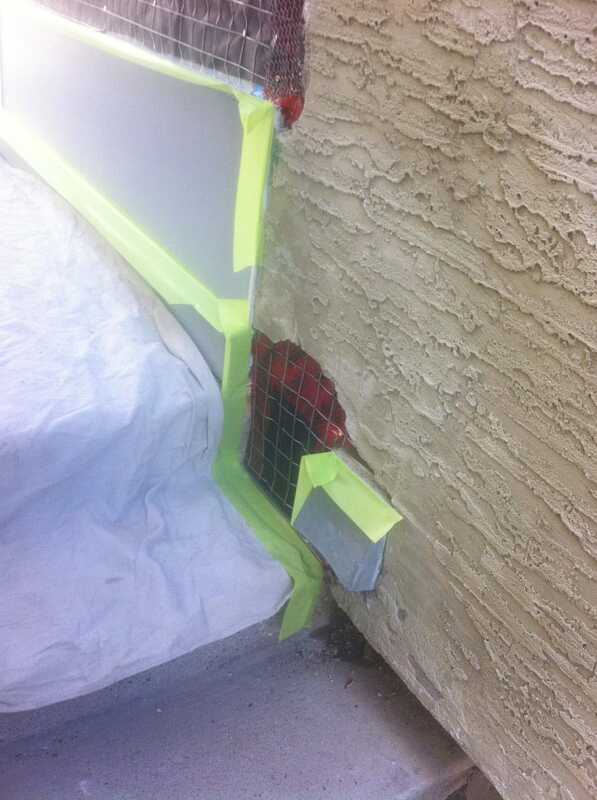 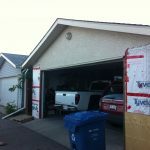 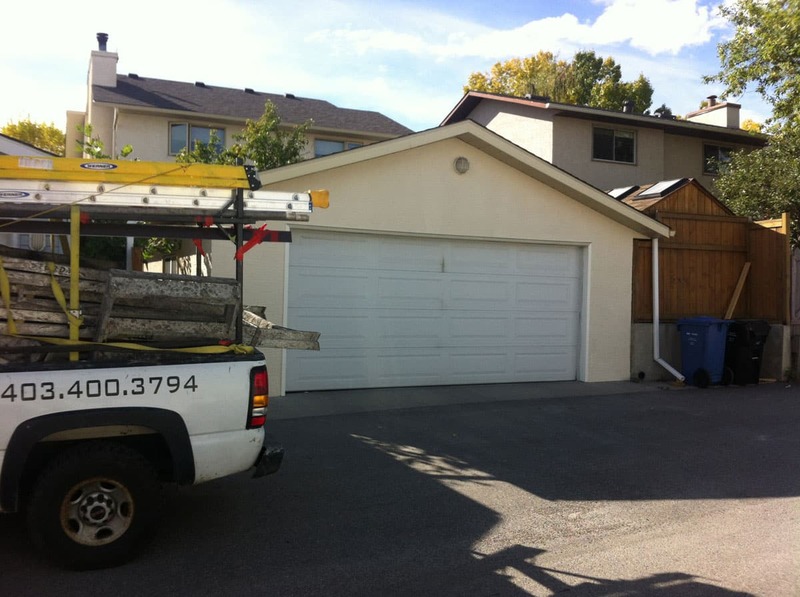 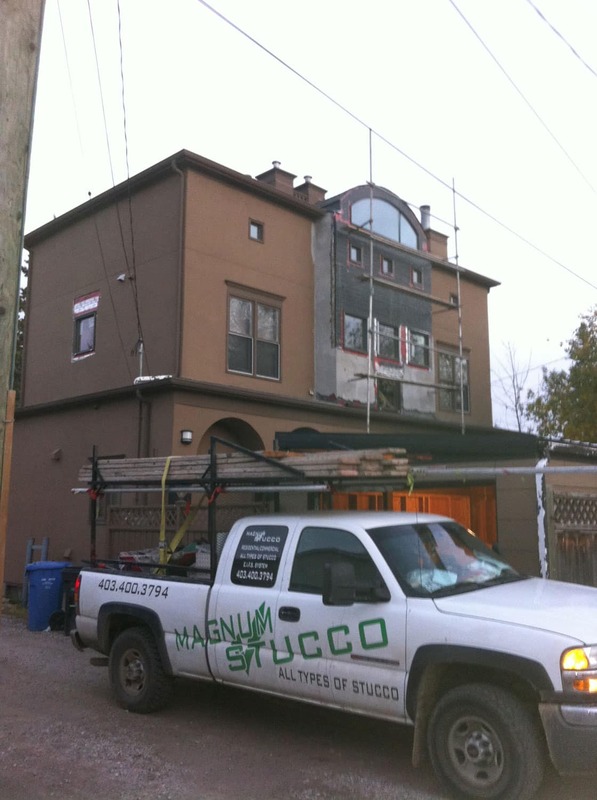 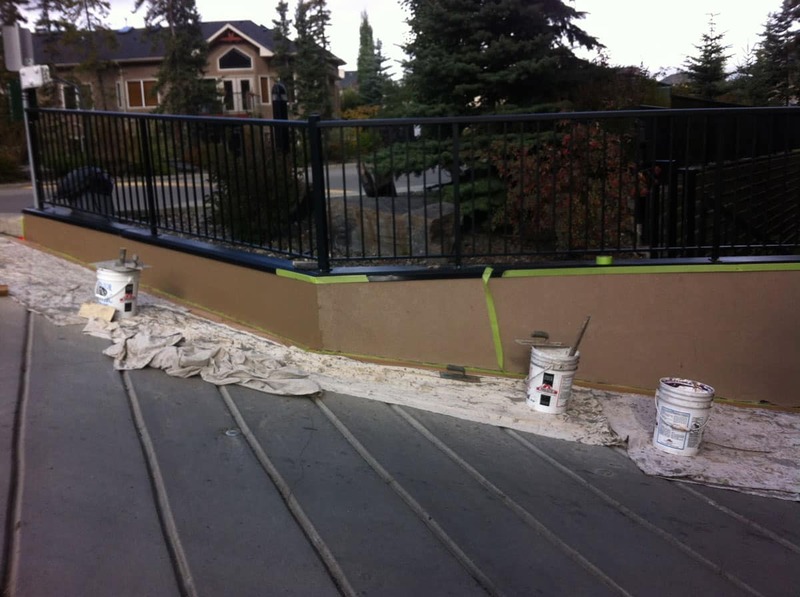 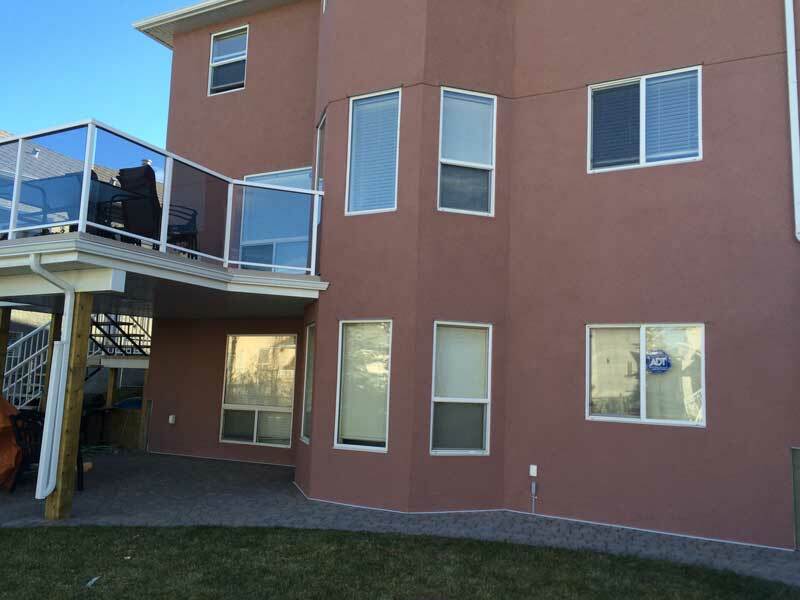 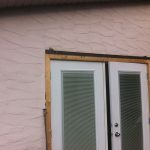 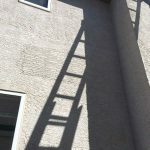 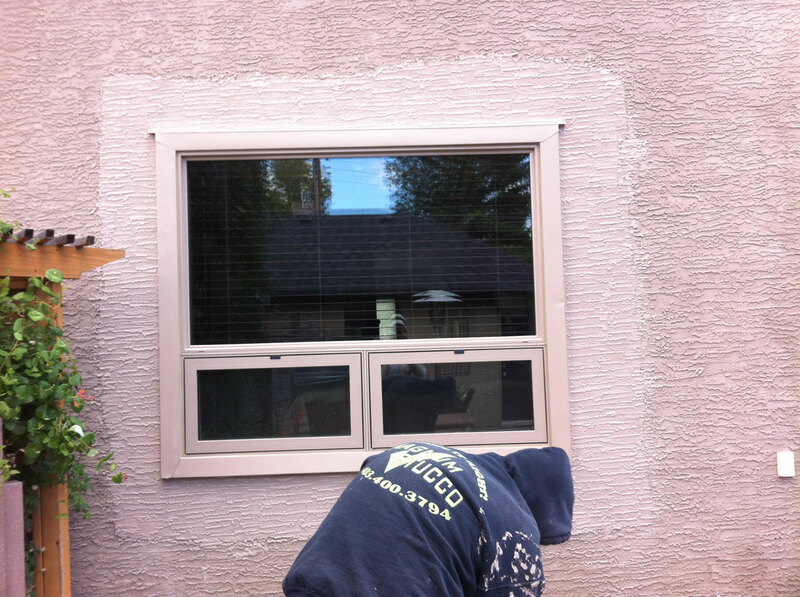 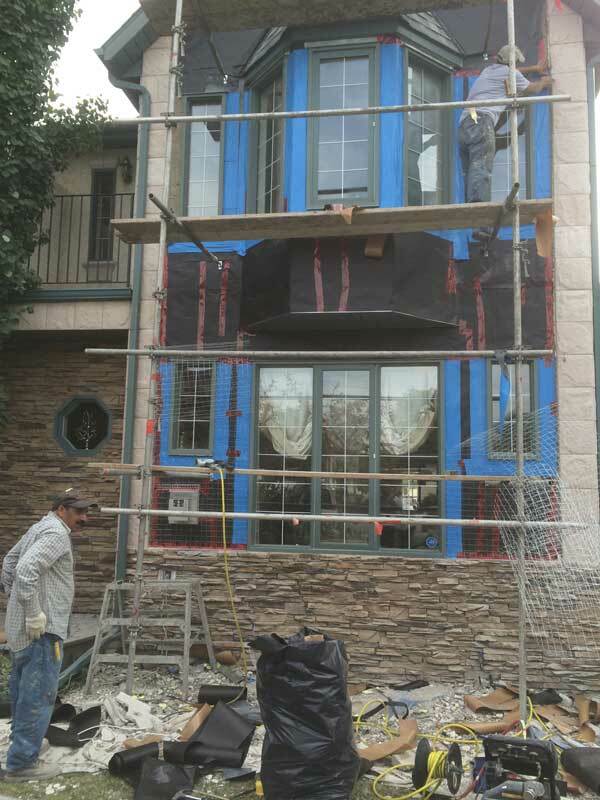 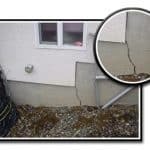 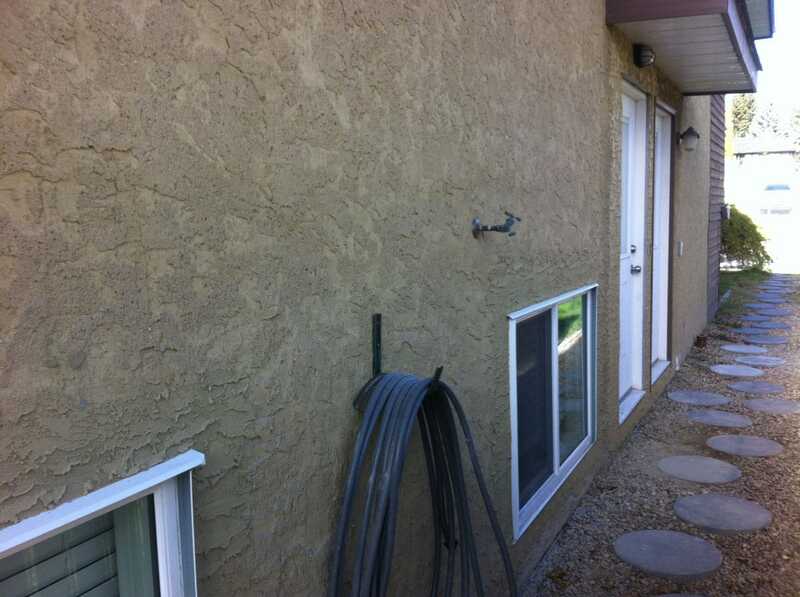 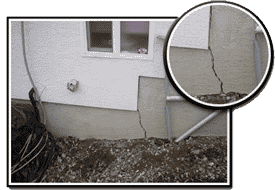 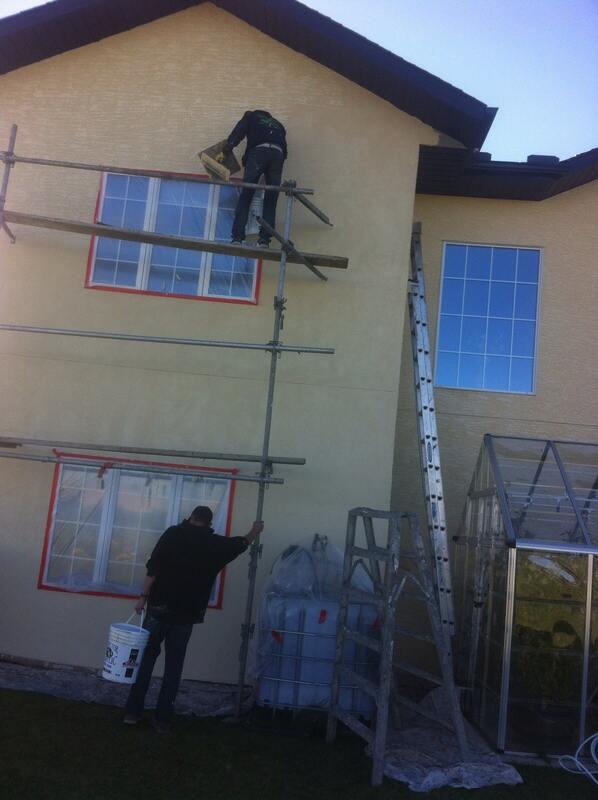 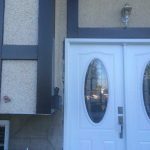 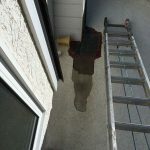 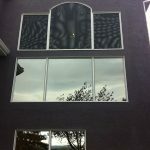 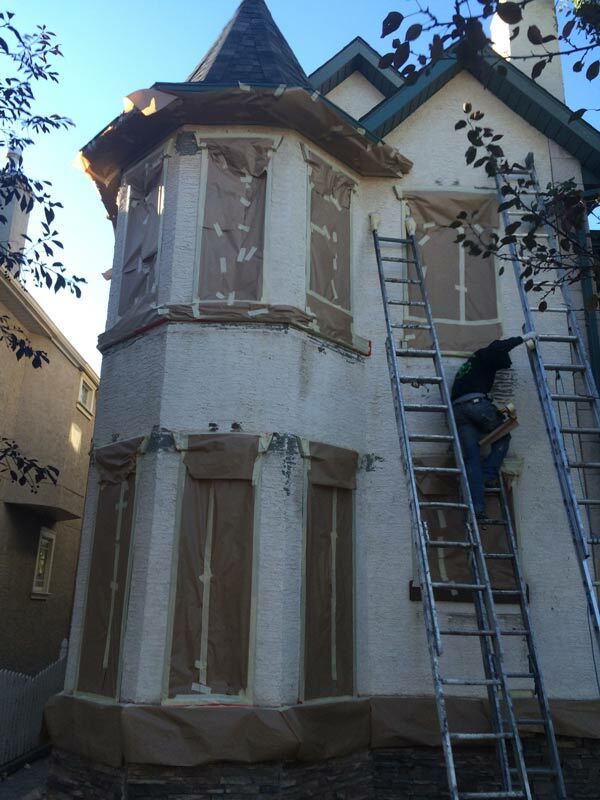 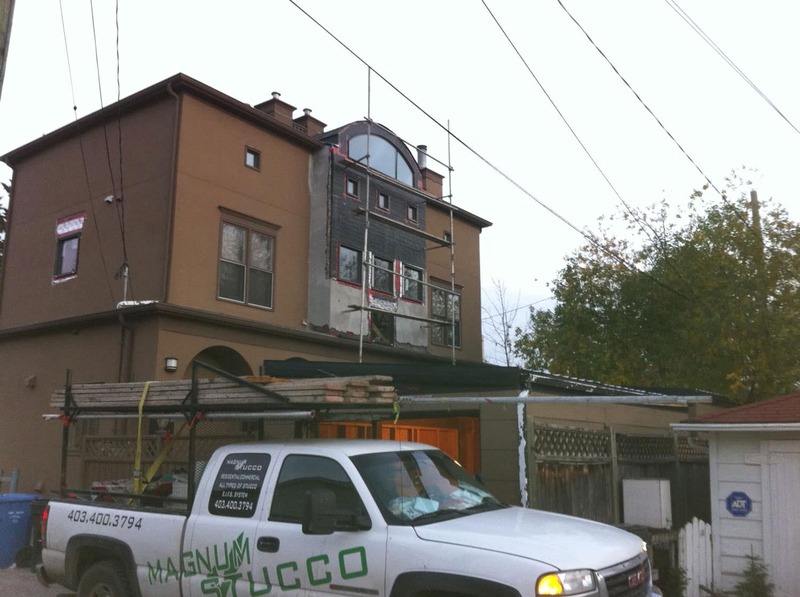 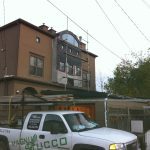 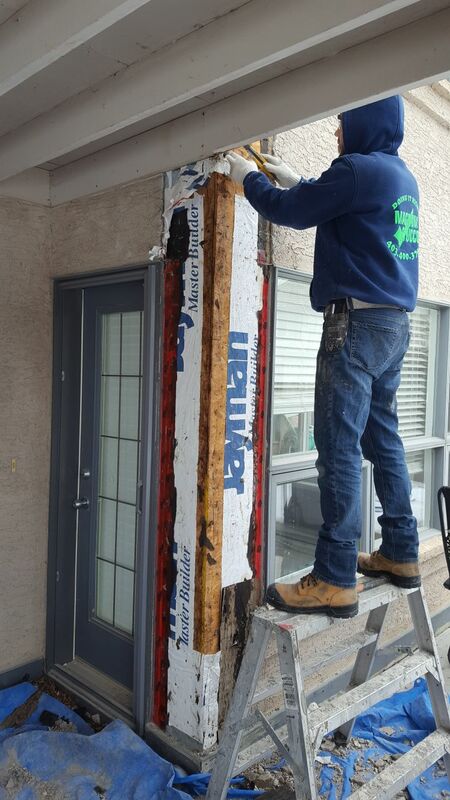 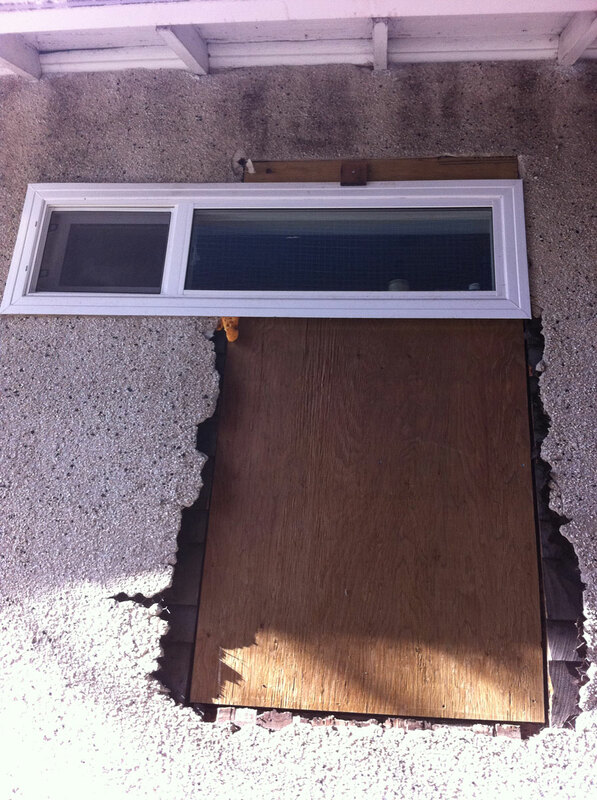 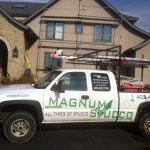 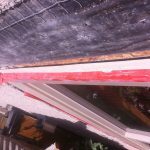 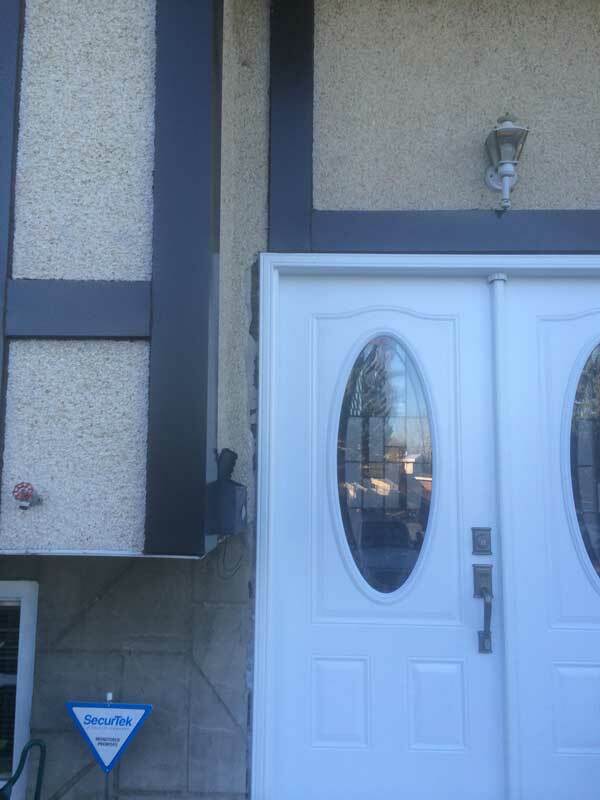 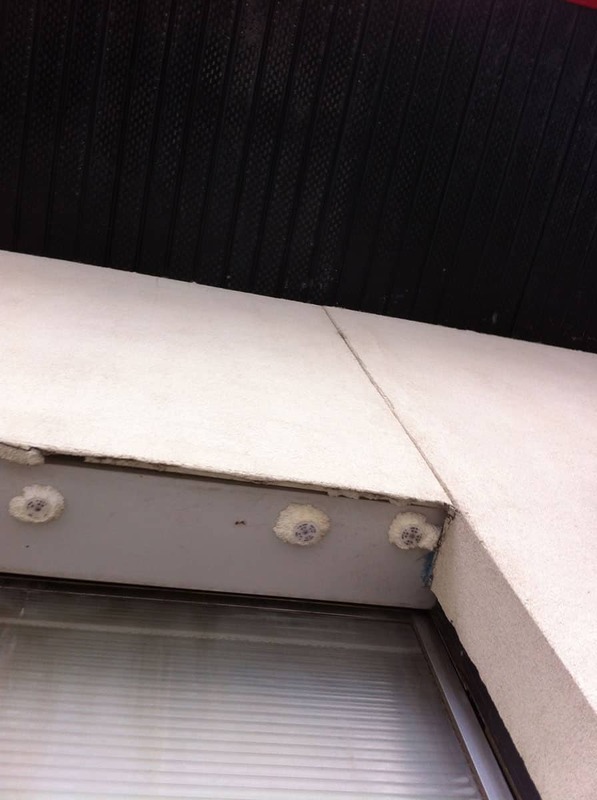 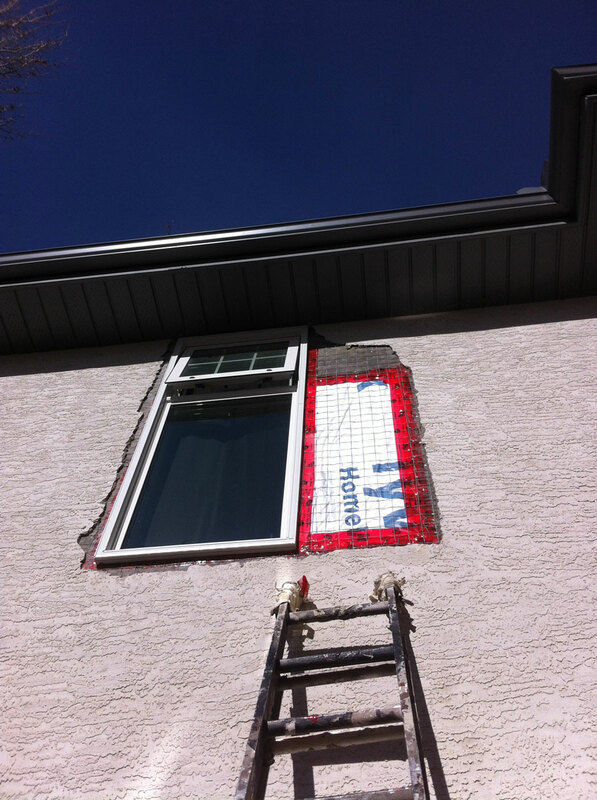 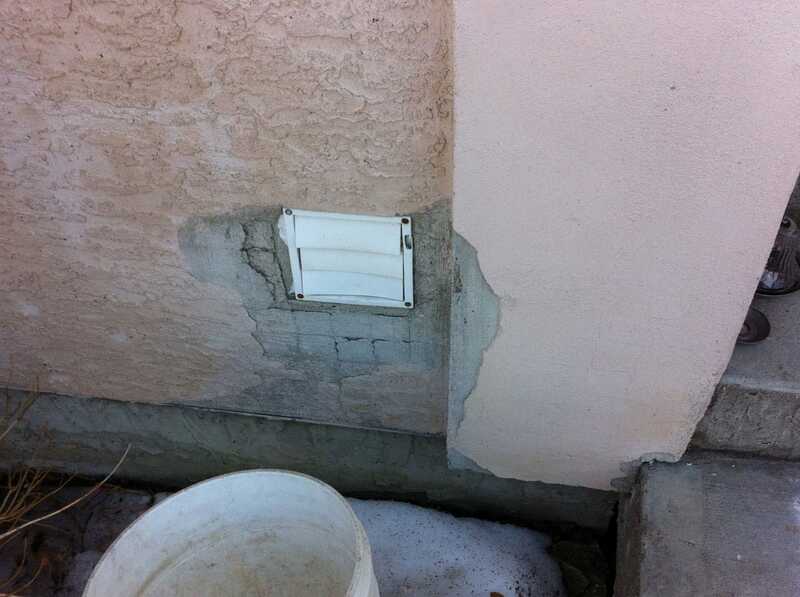 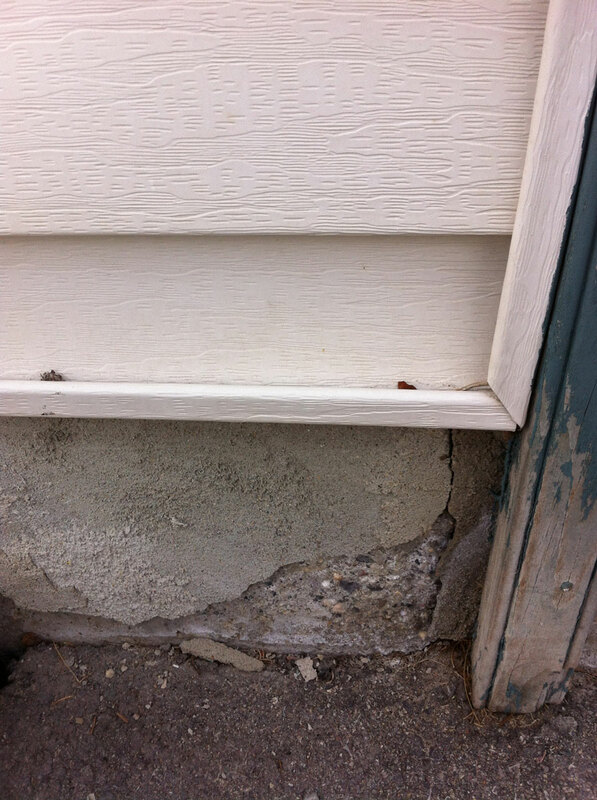 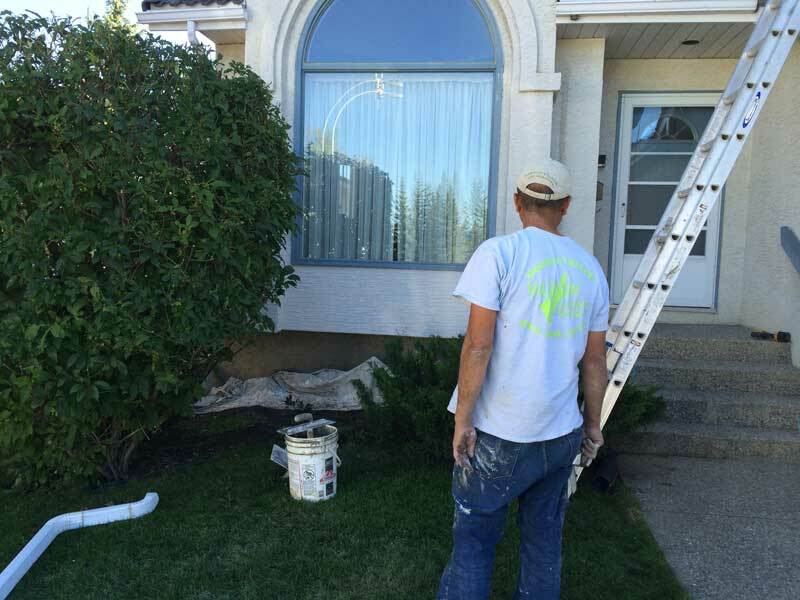 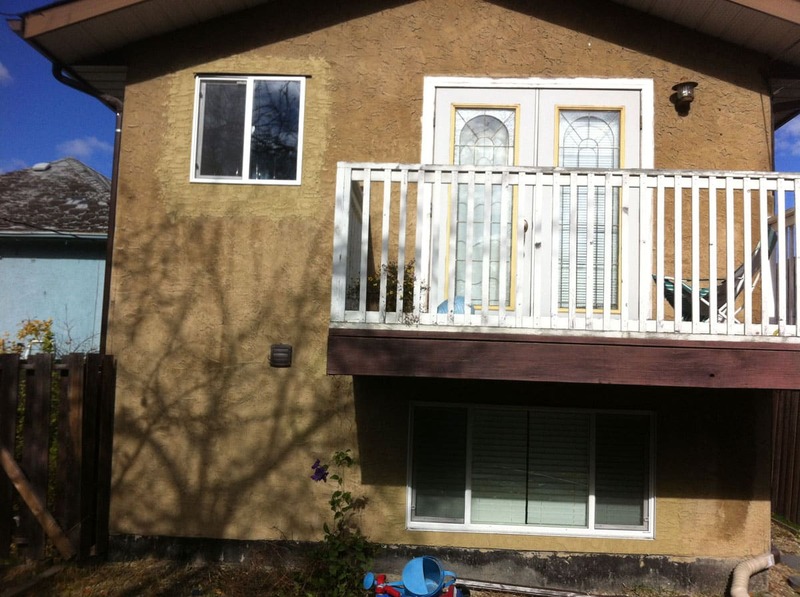 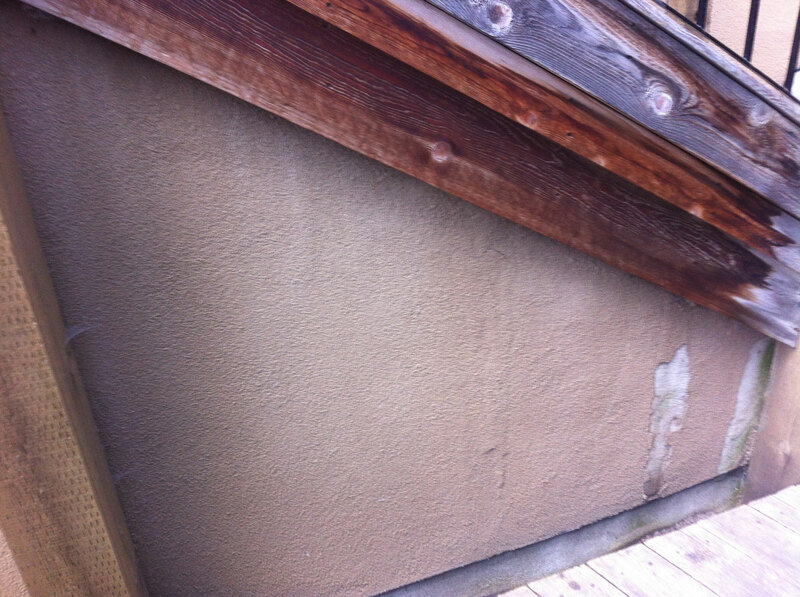 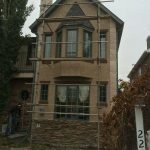 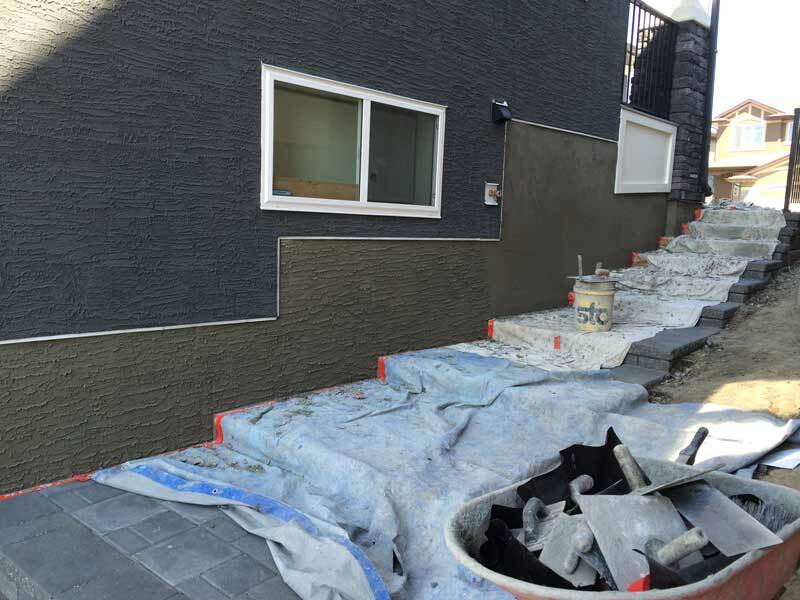 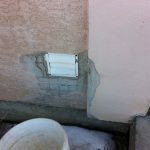 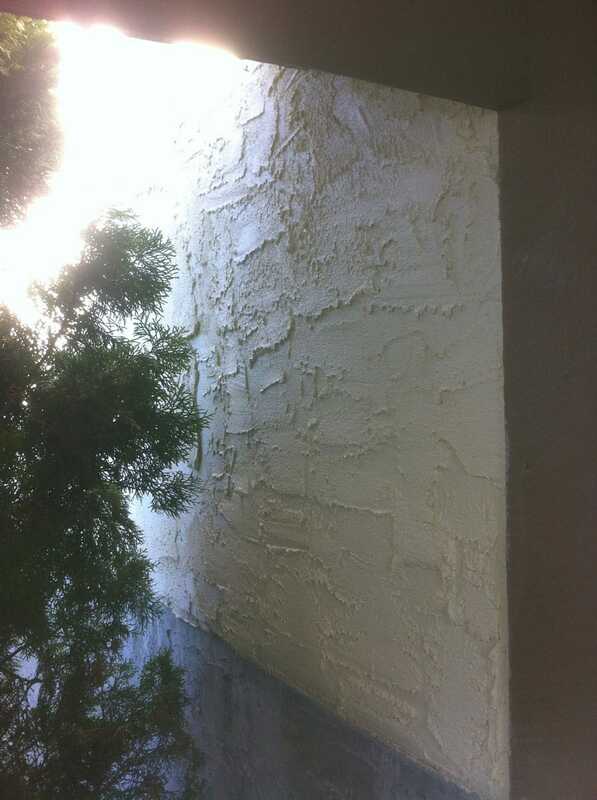 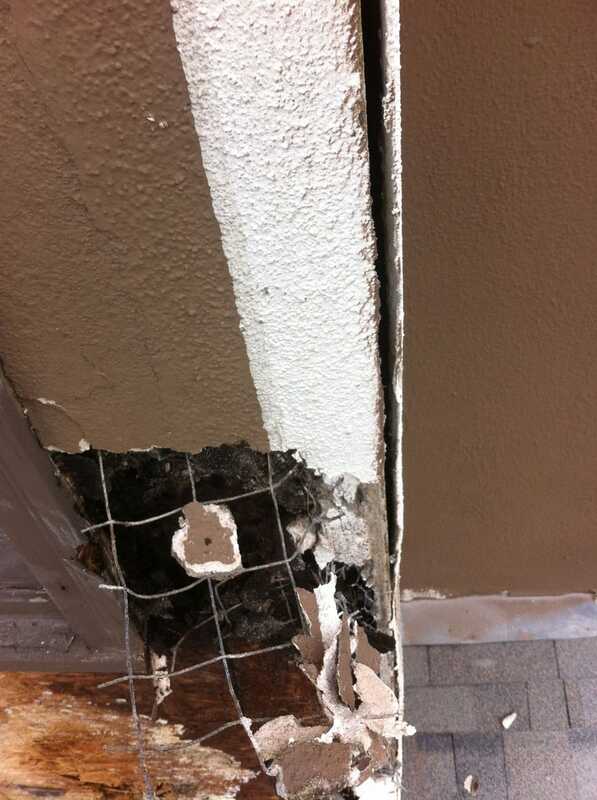 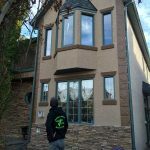 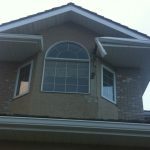 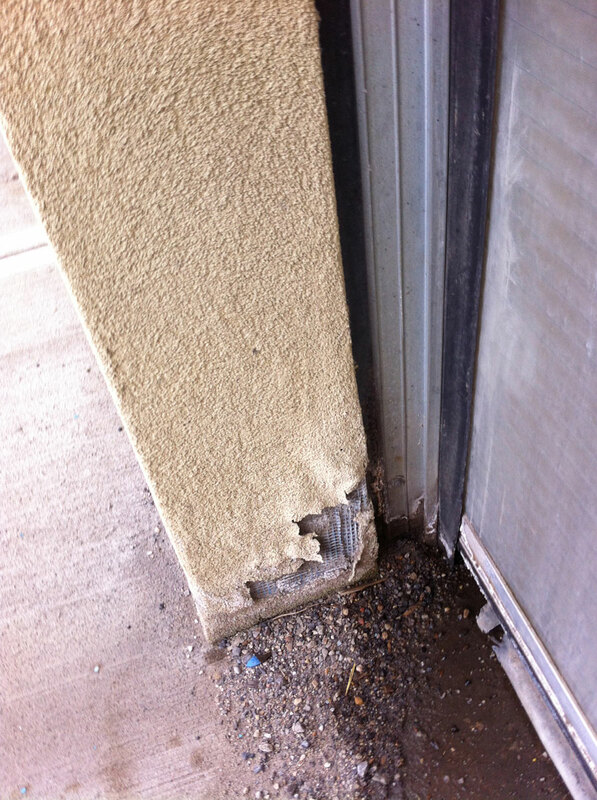 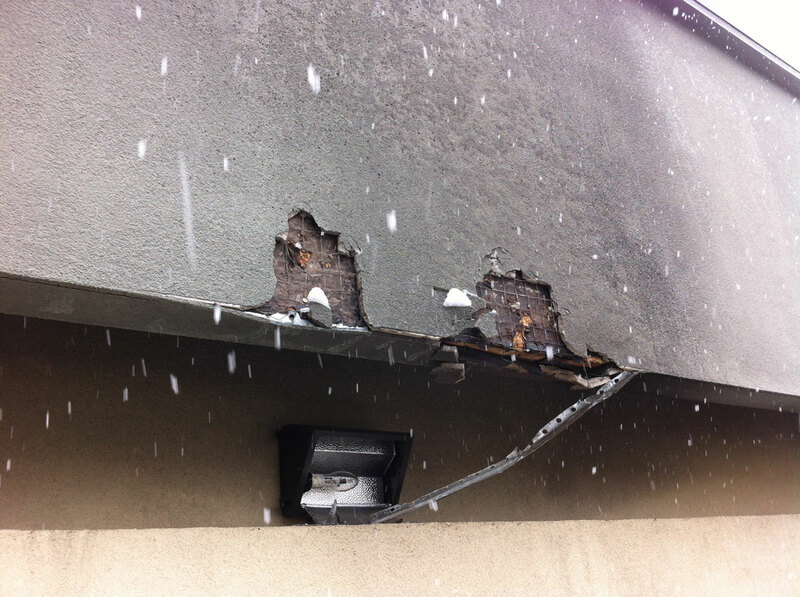 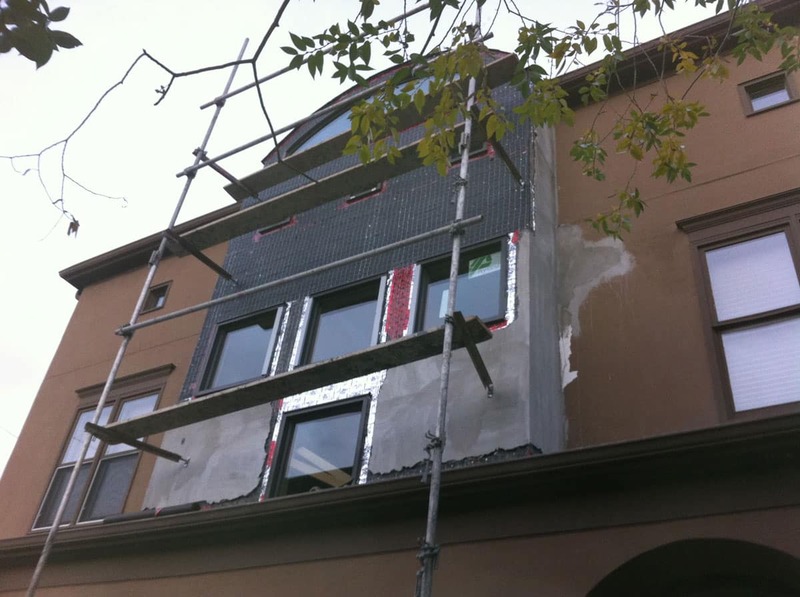 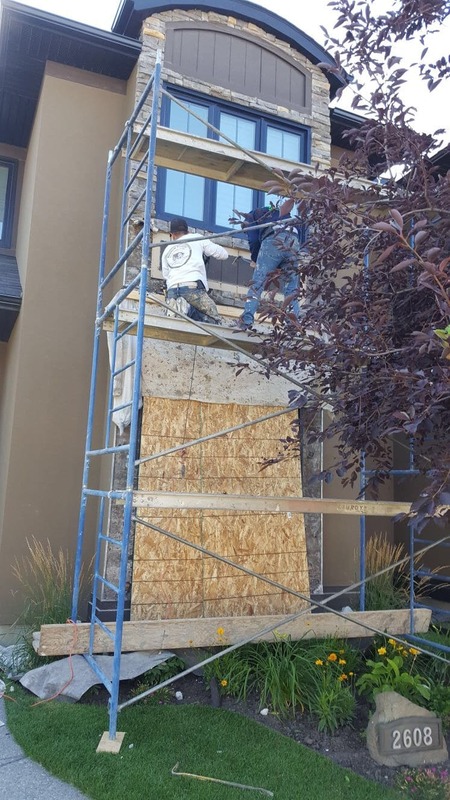 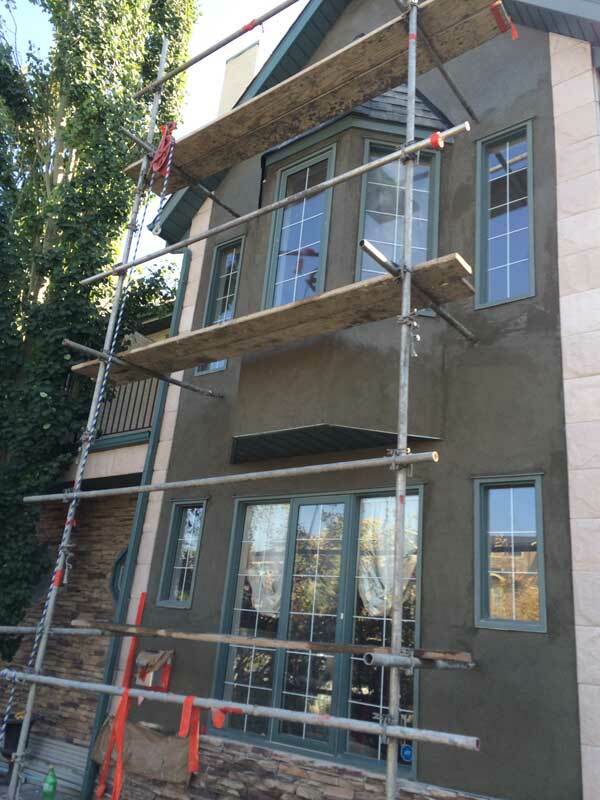 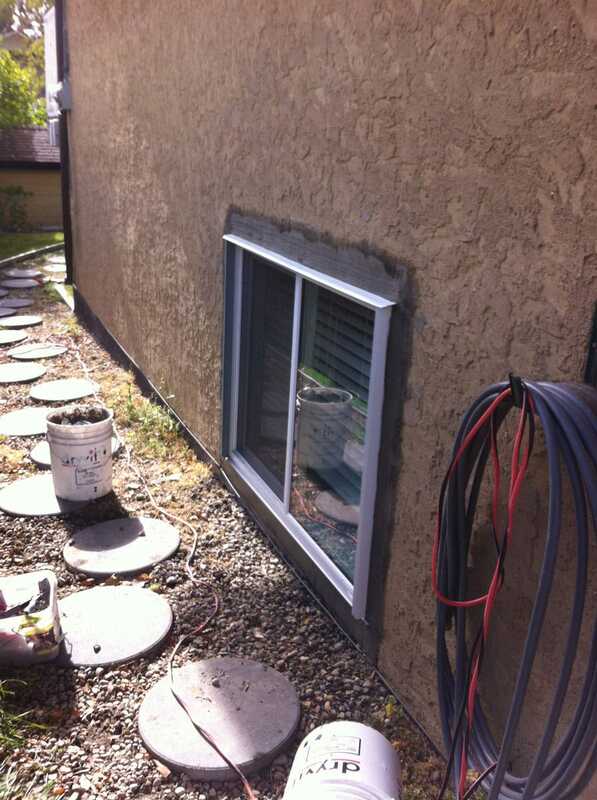 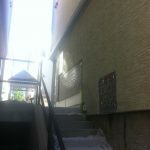 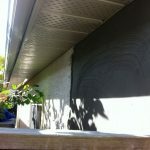 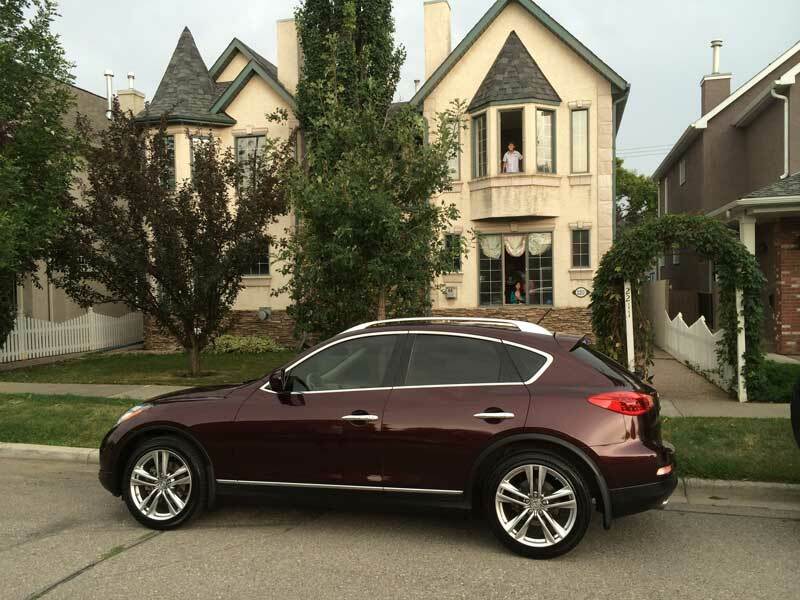 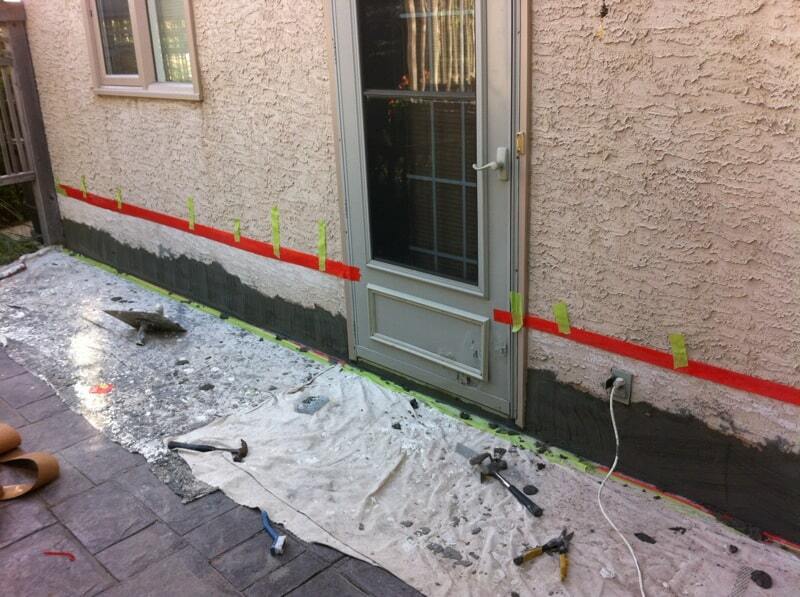 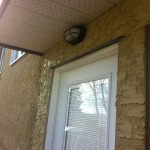 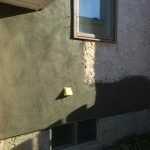 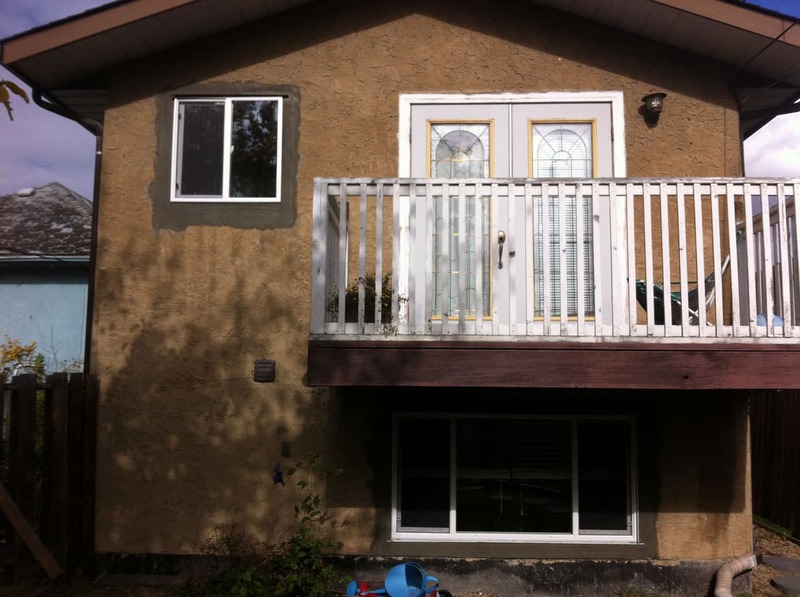 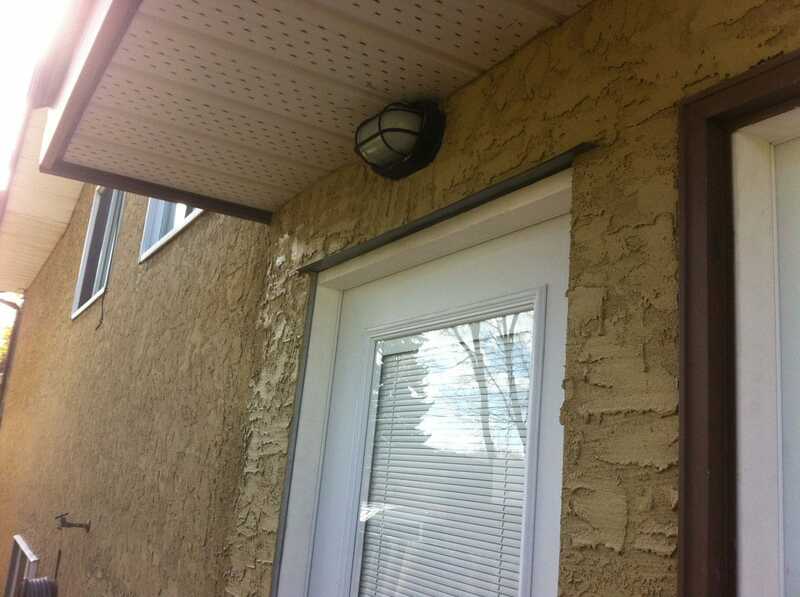 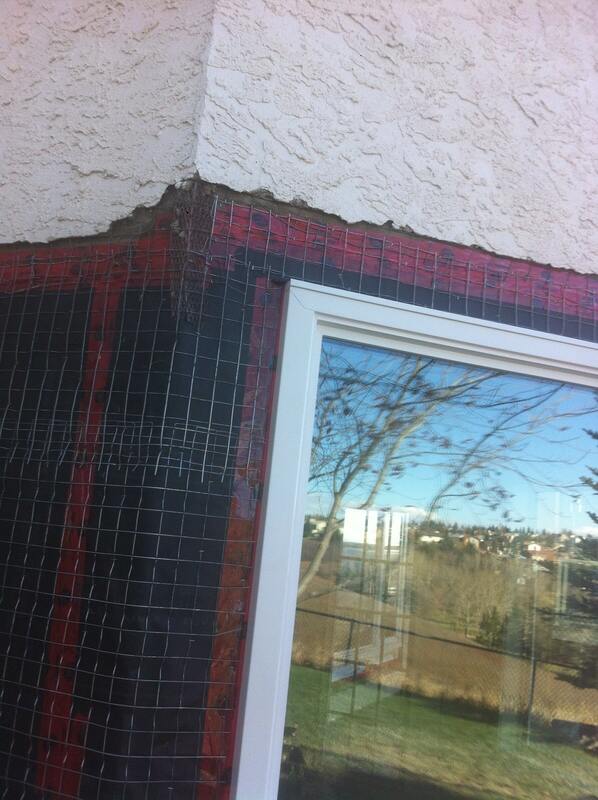 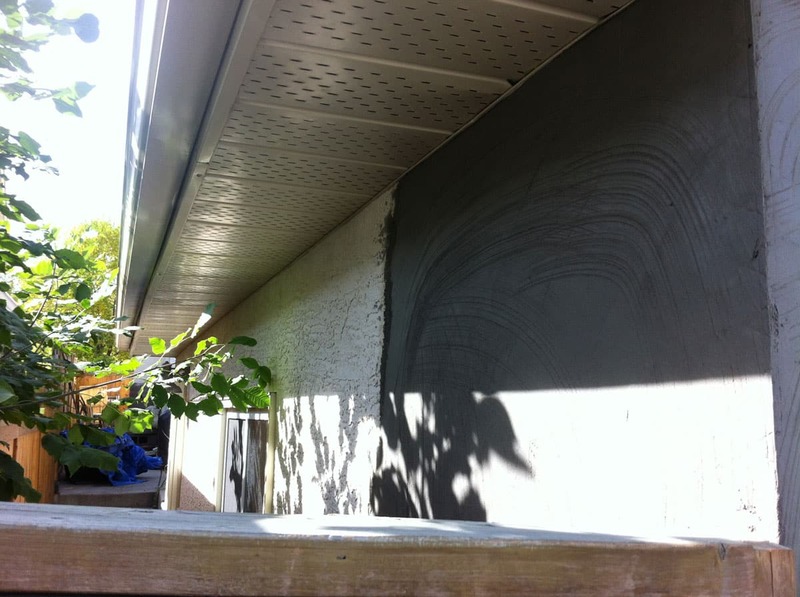 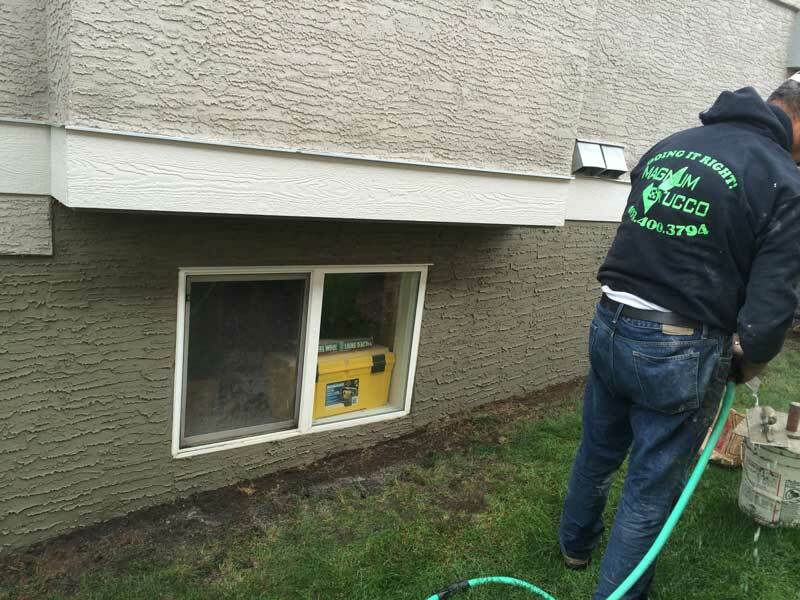 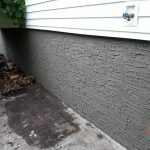 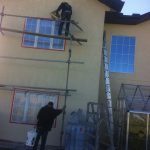 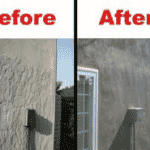 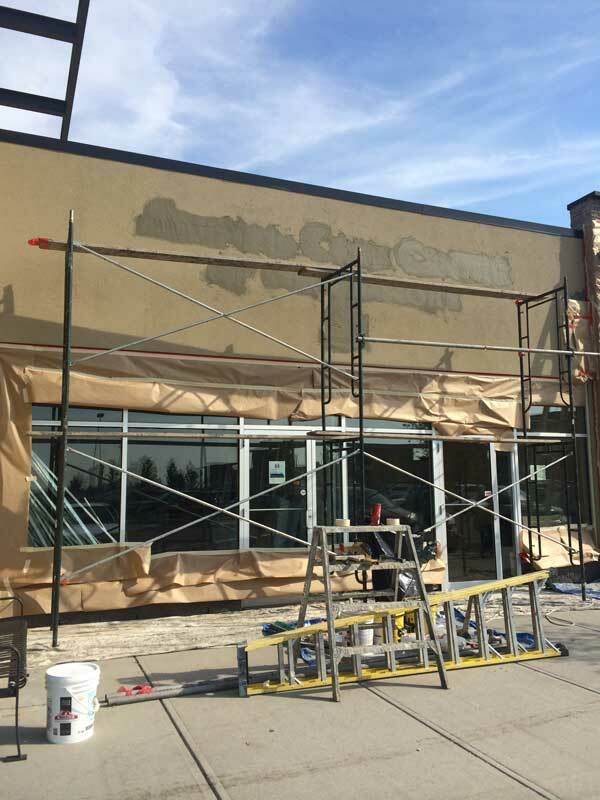 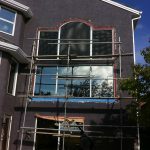 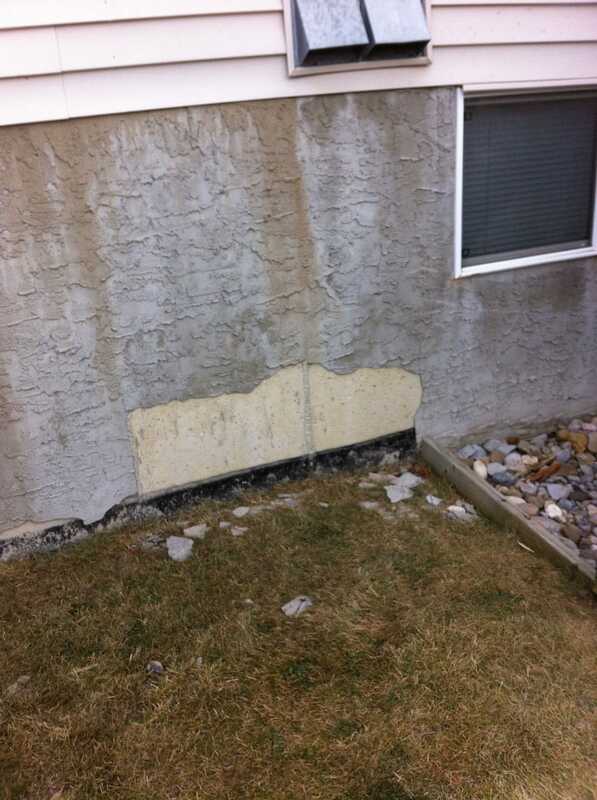 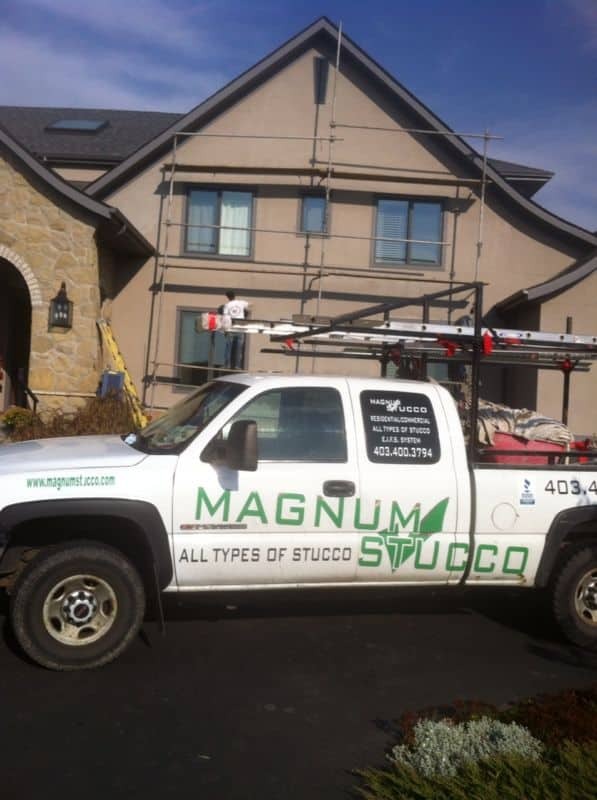 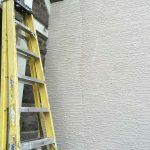 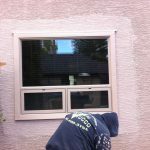 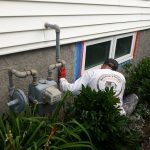 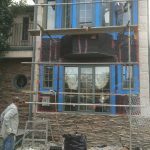 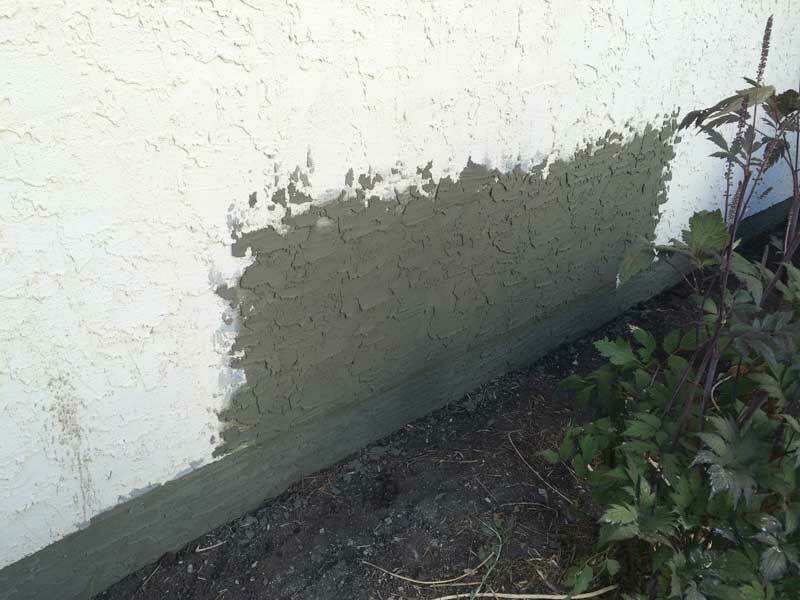 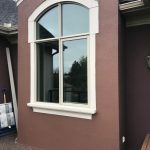 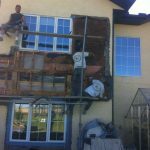 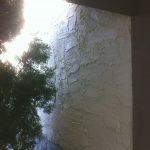 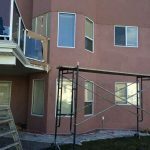 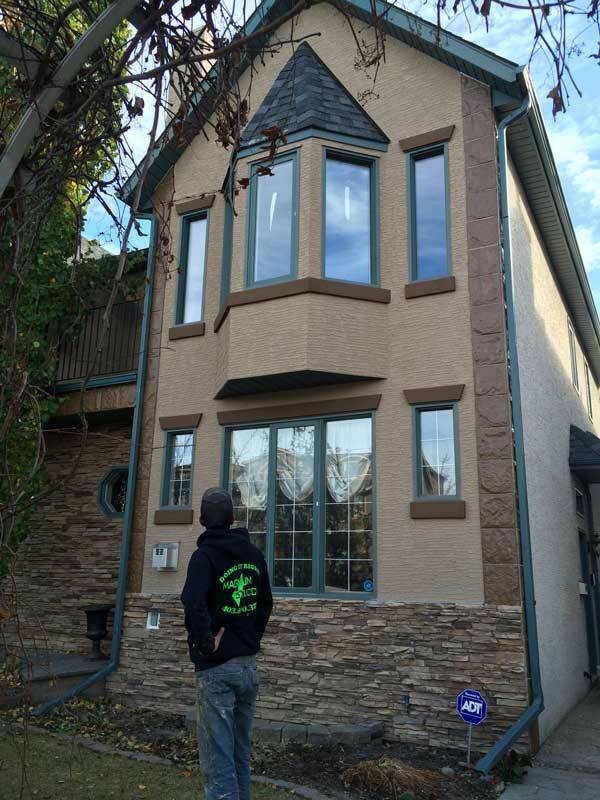 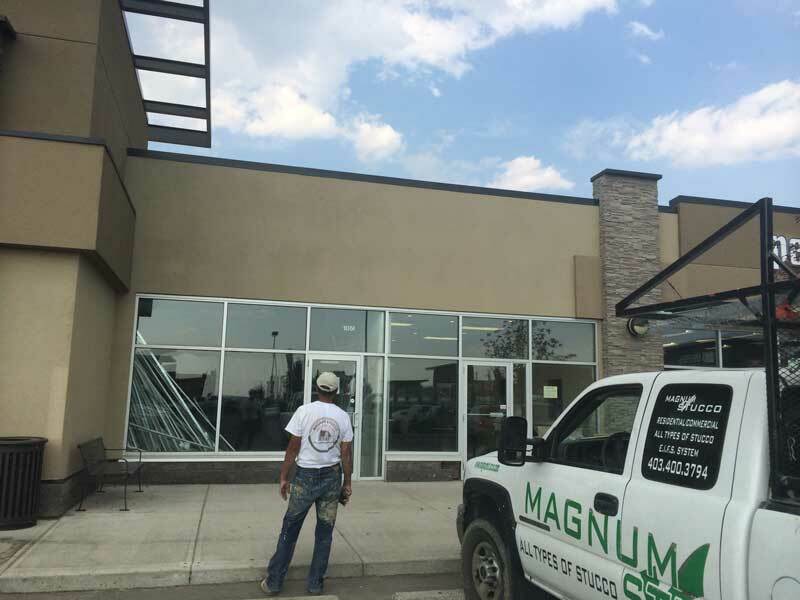 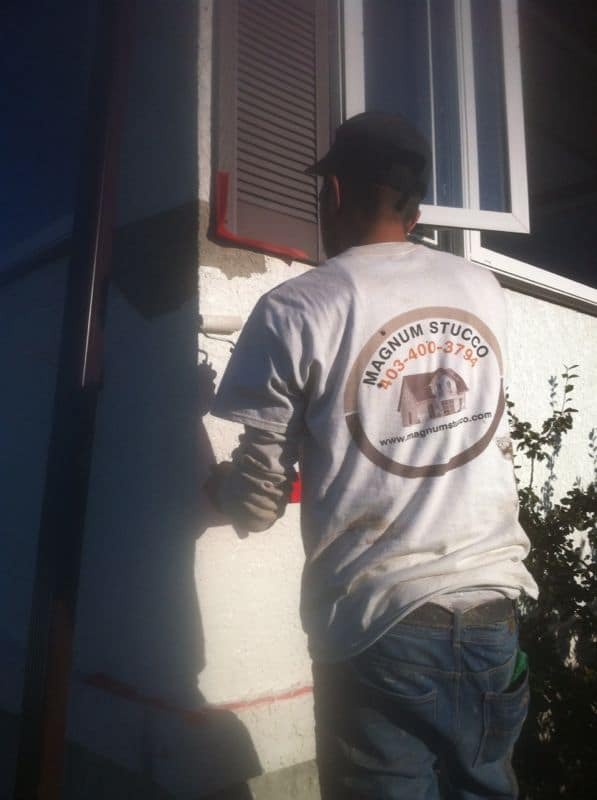 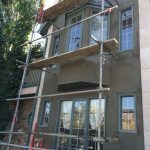 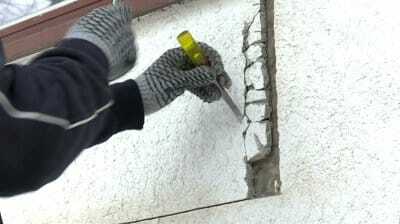 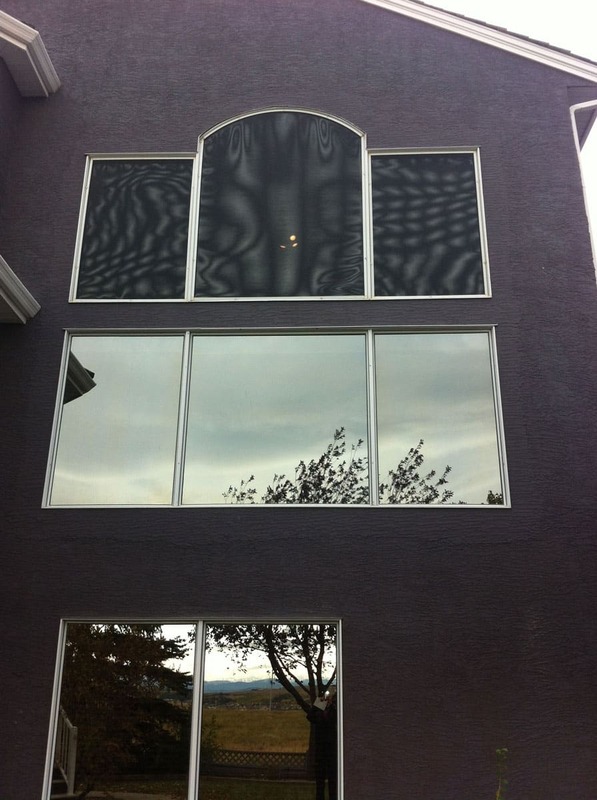 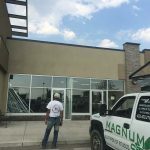 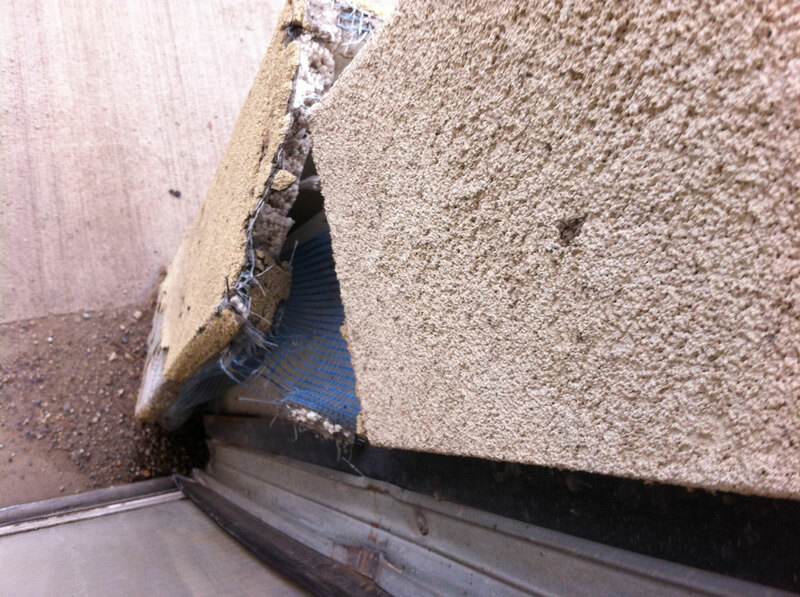 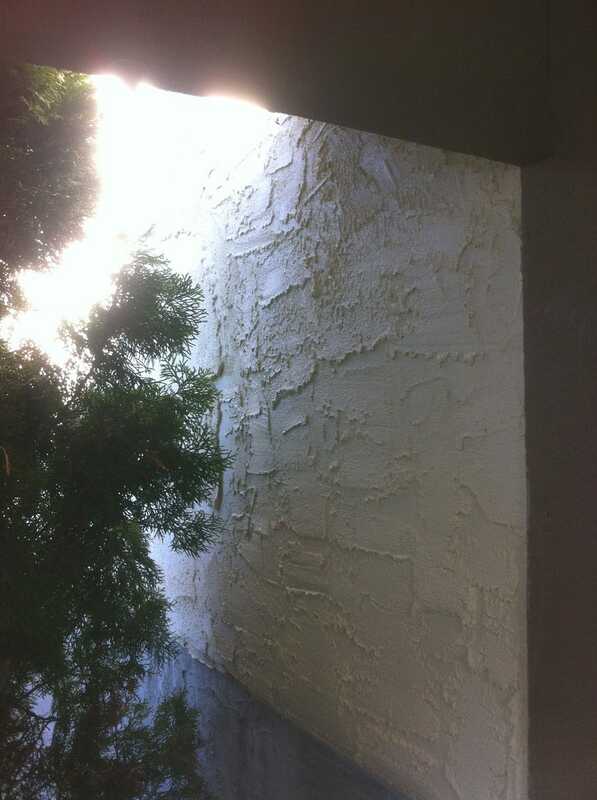 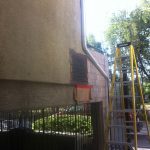 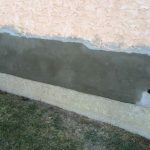 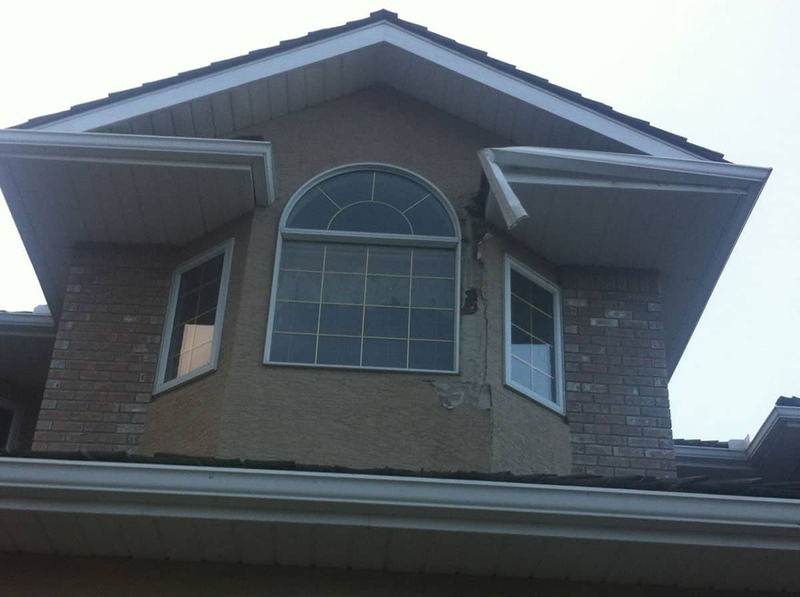 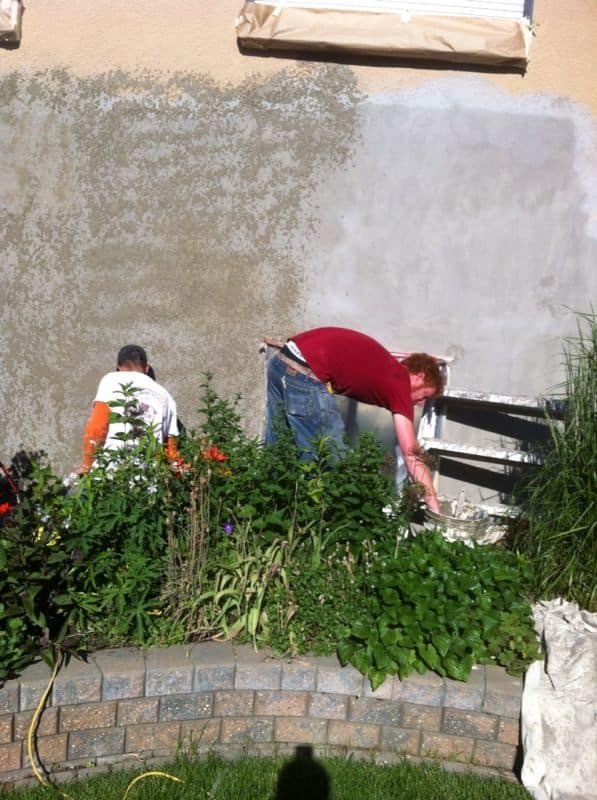 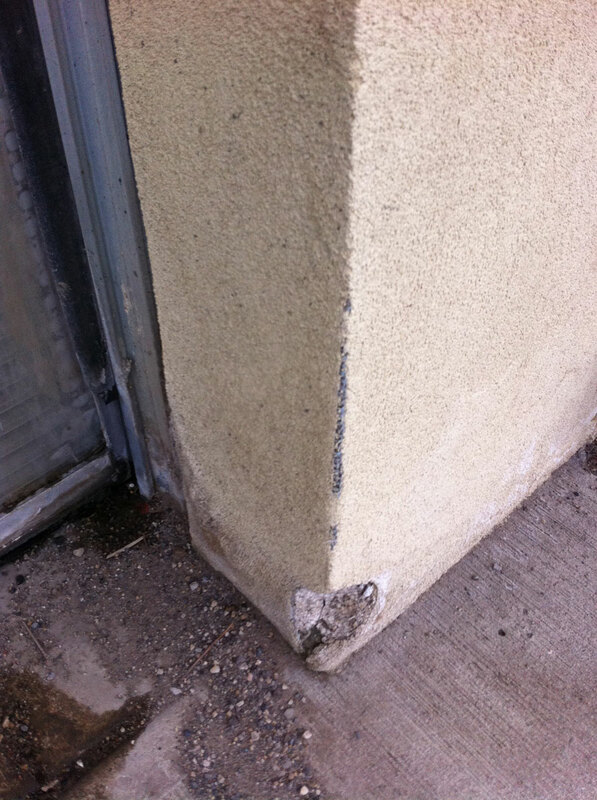 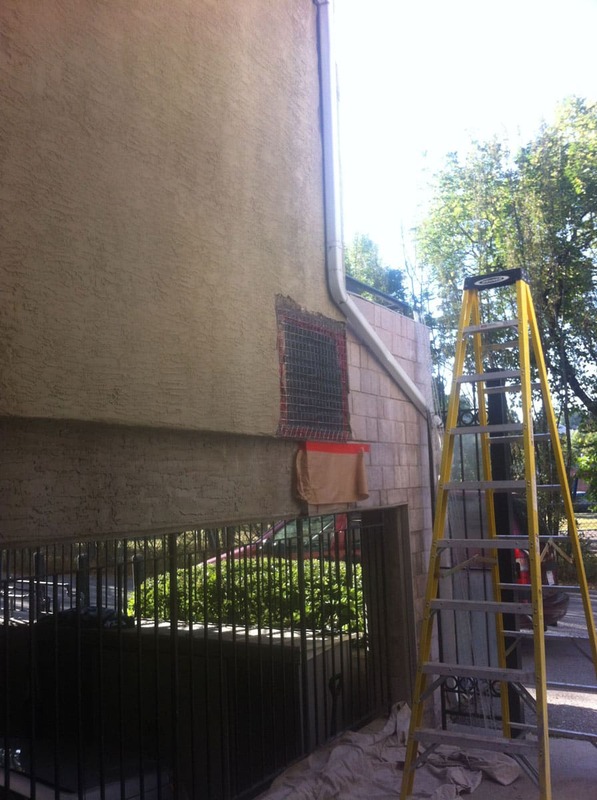 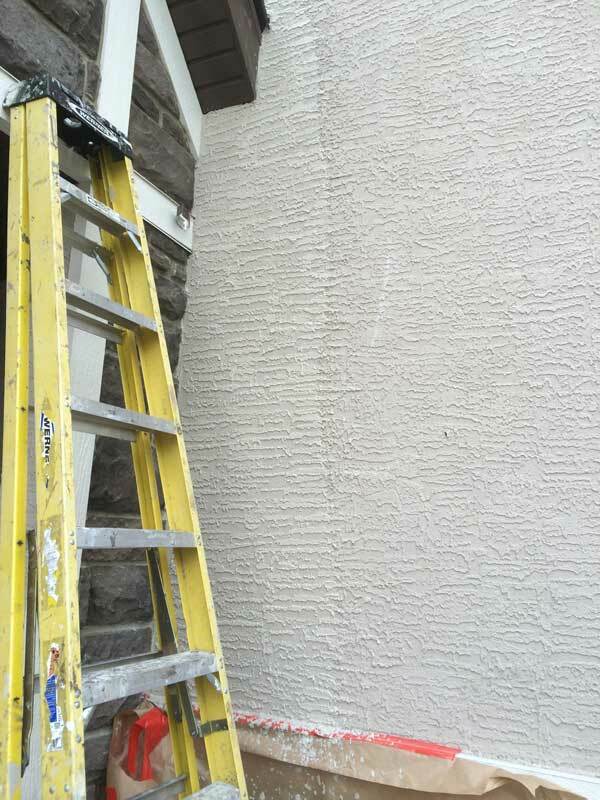 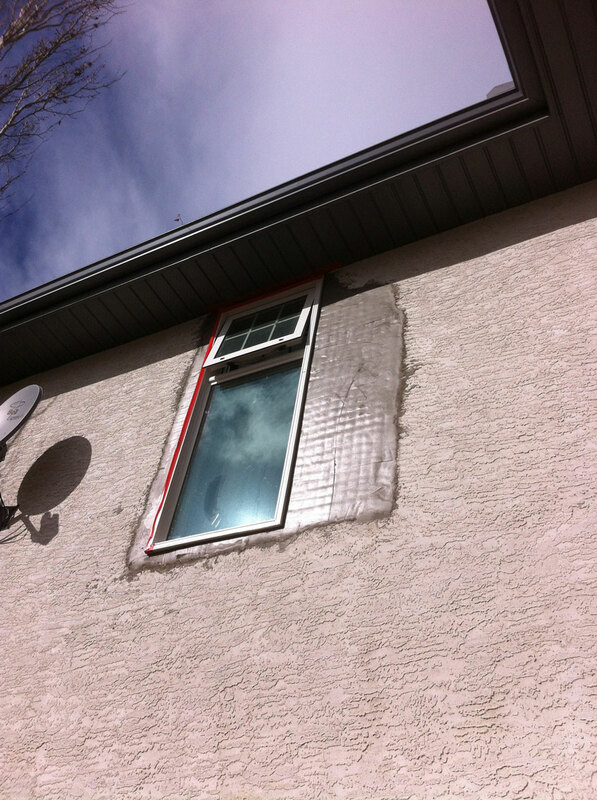 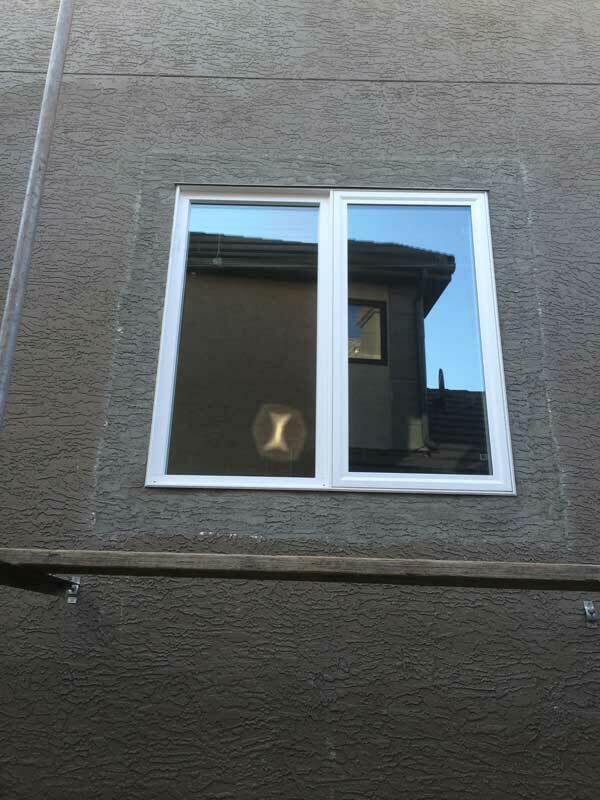 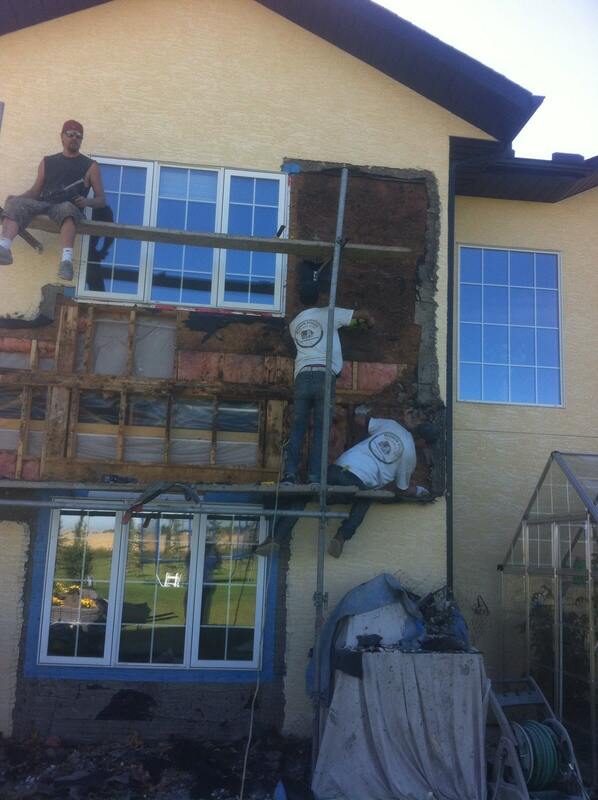 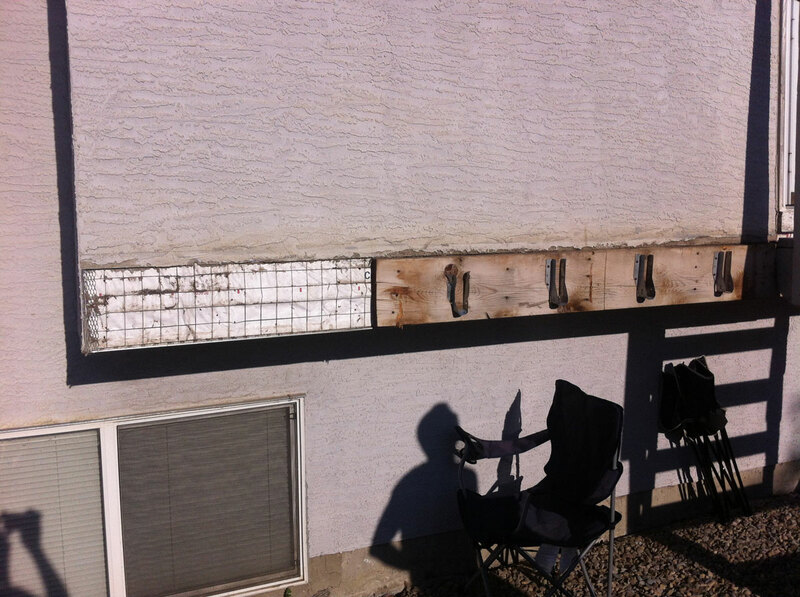 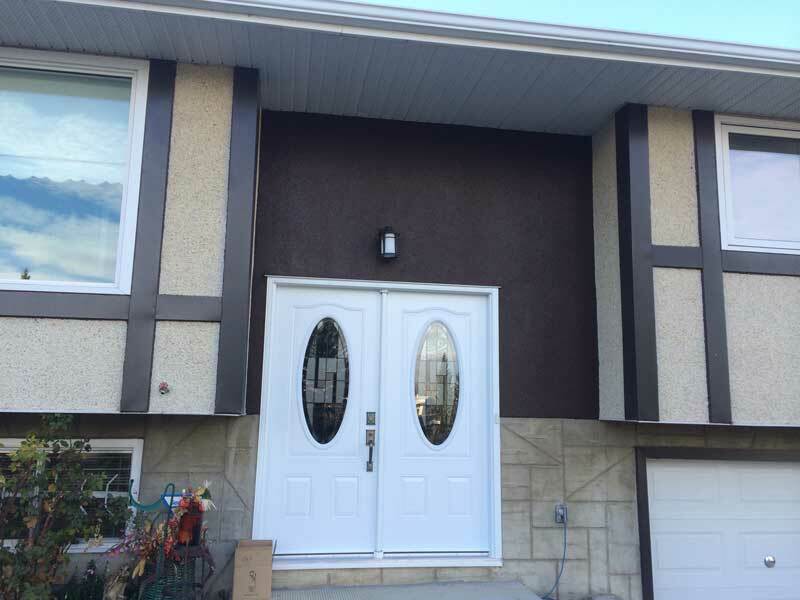 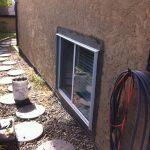 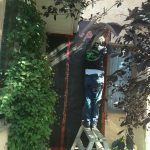 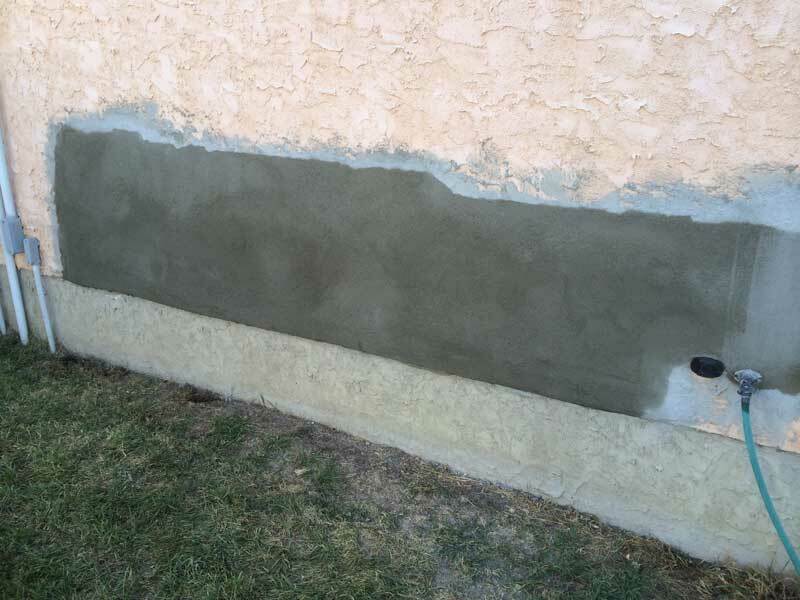 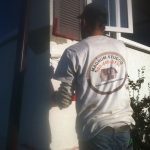 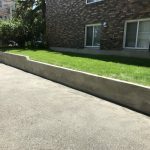 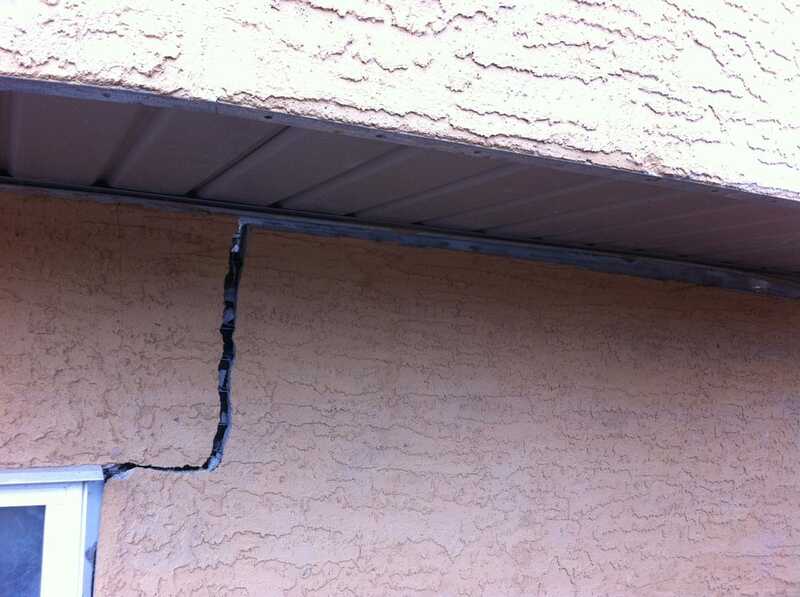 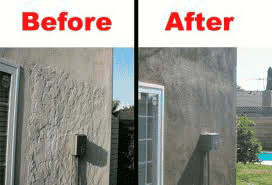 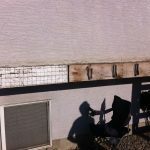 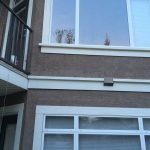 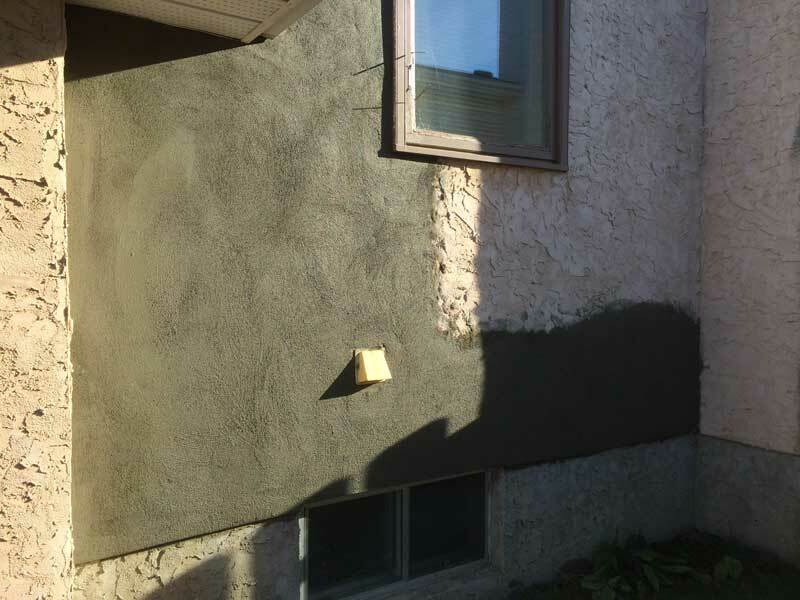 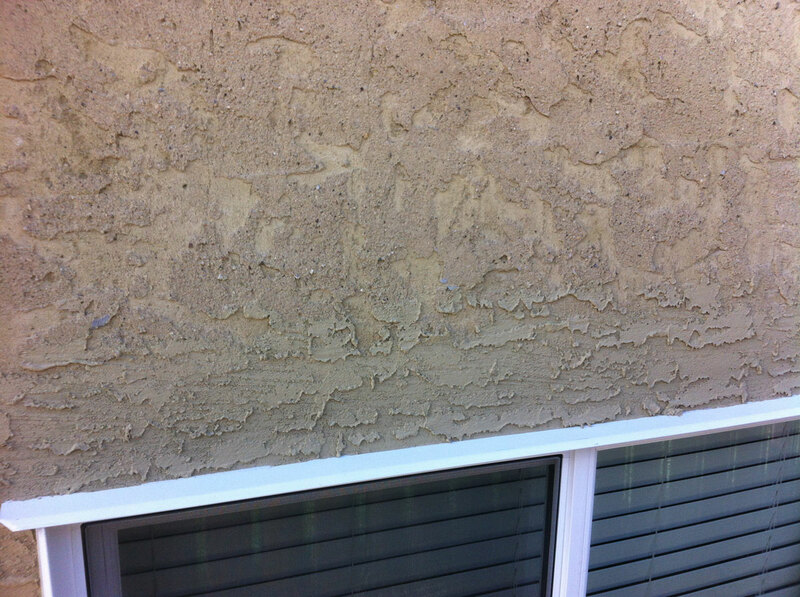 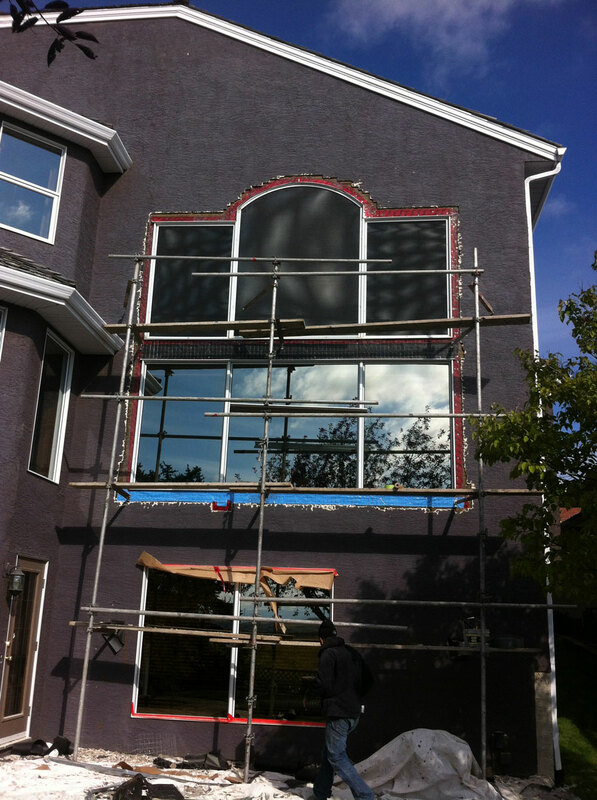 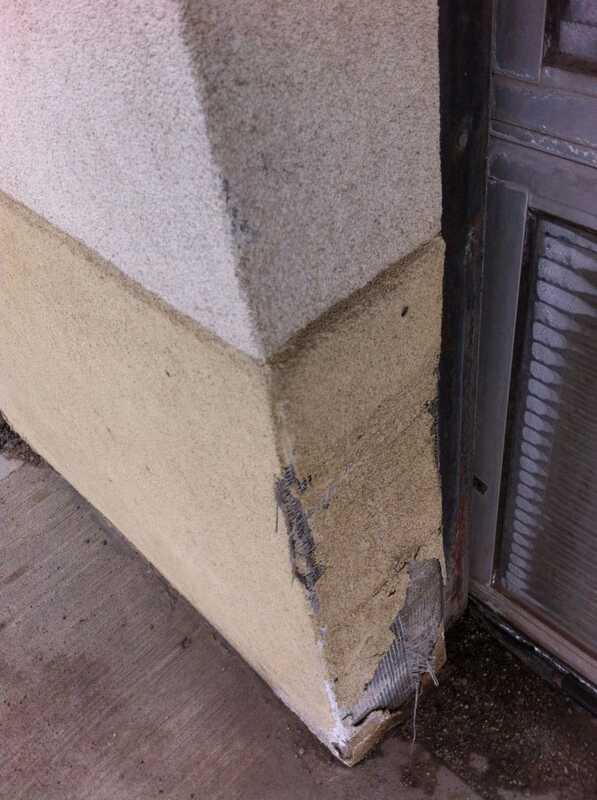 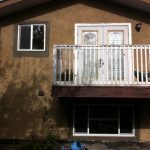 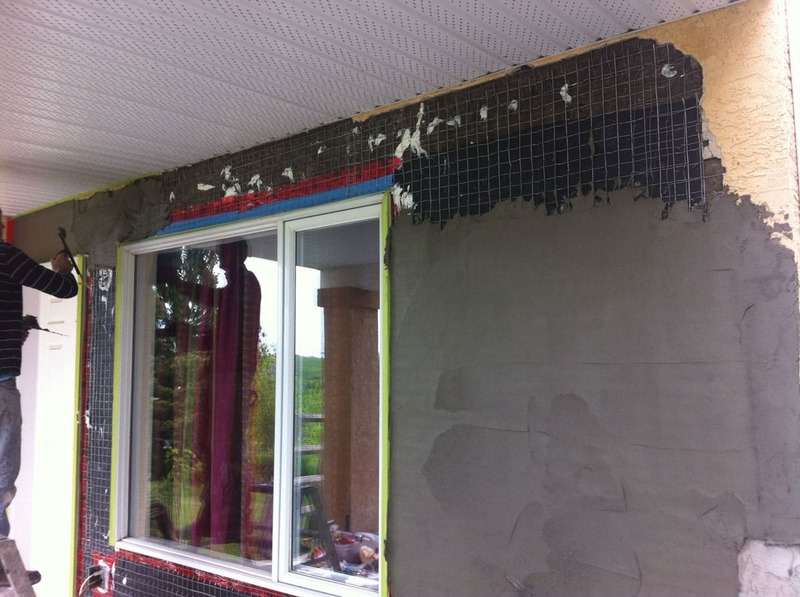 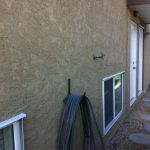 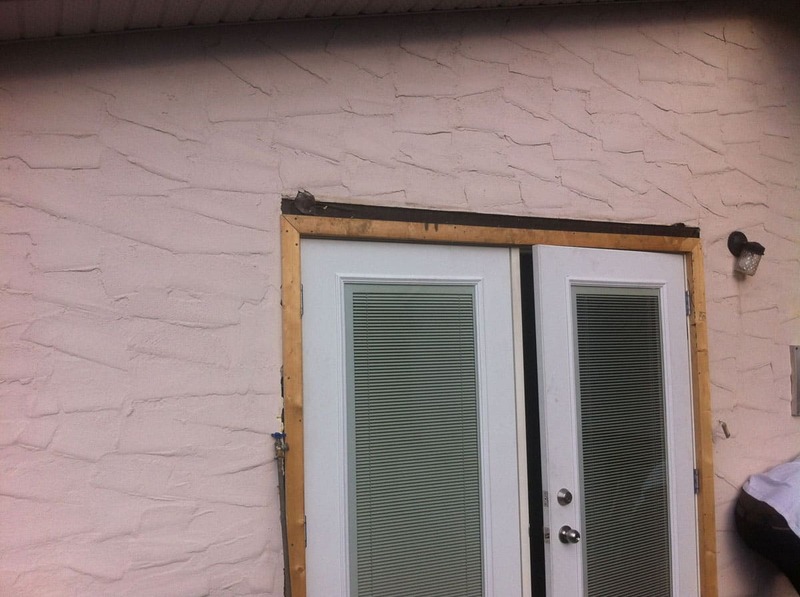 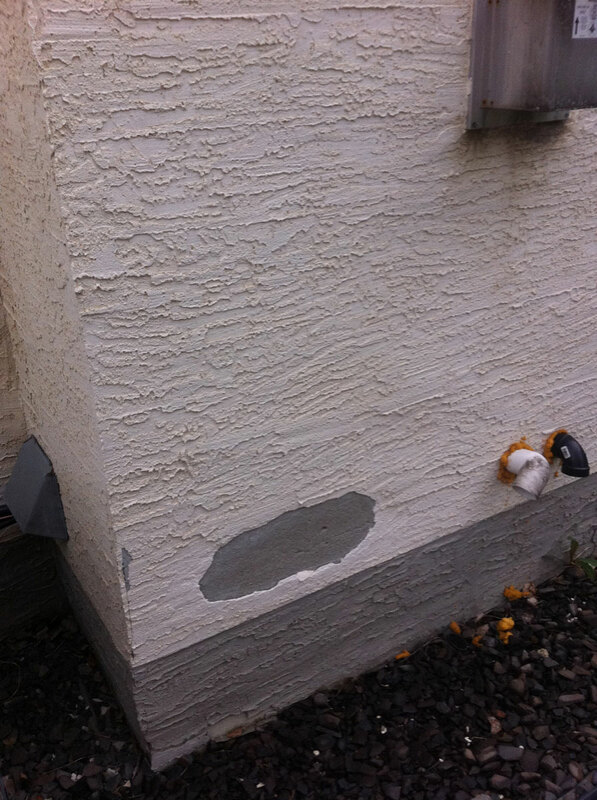 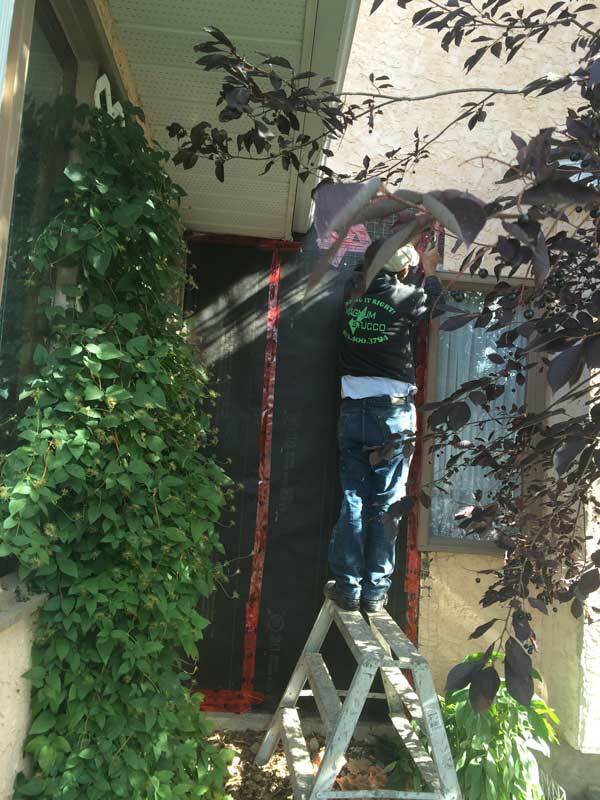 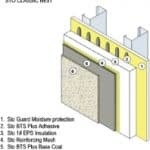 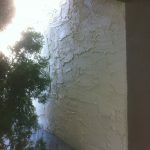 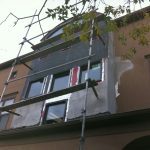 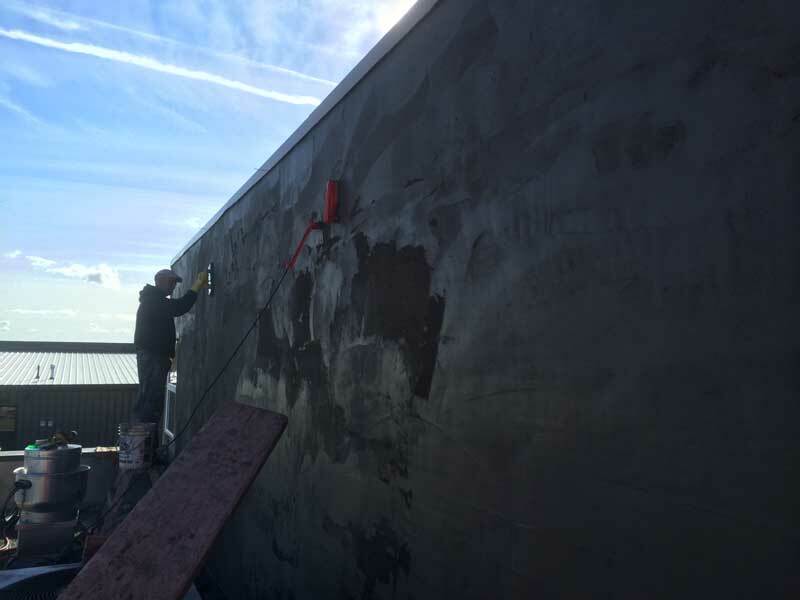 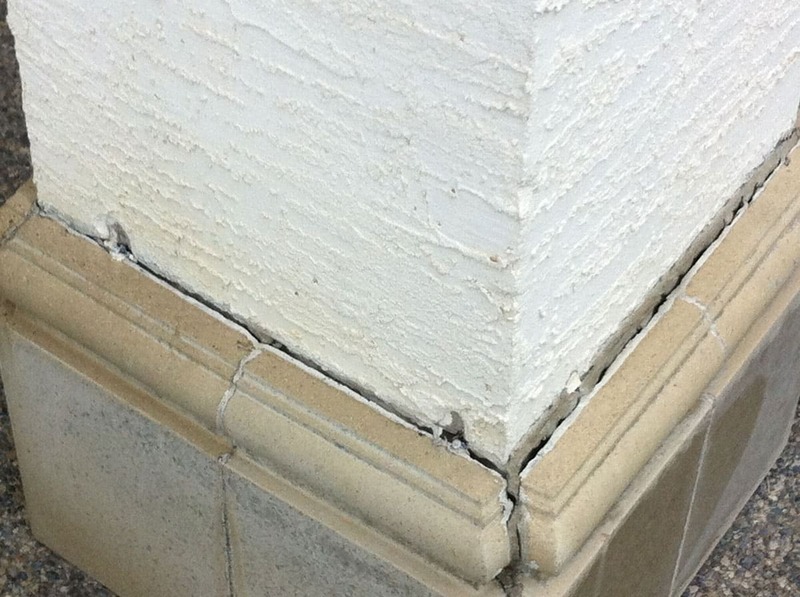 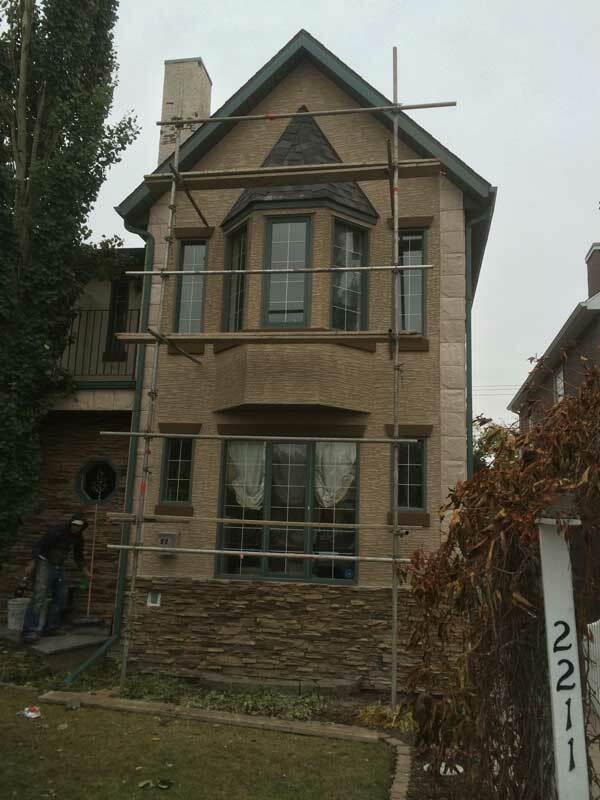 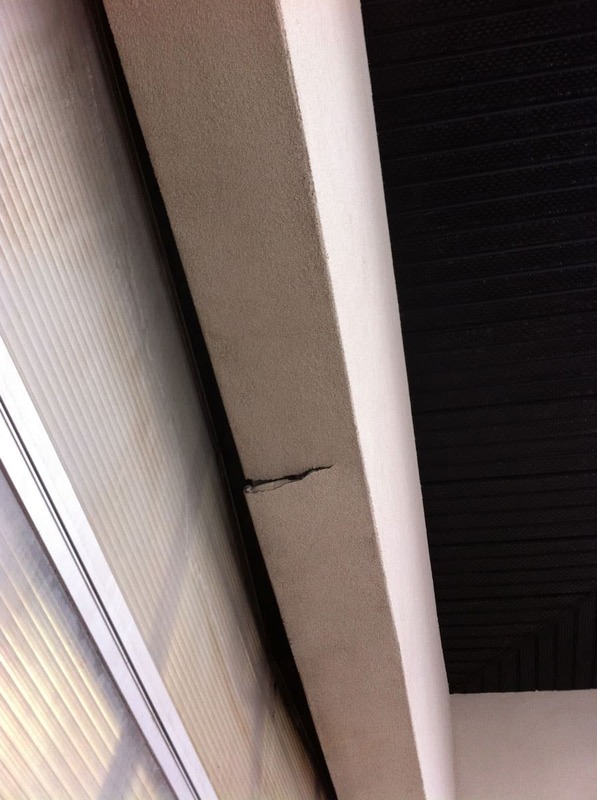 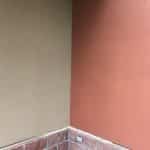 For more questions of stucco repair contact us for a free estimate. 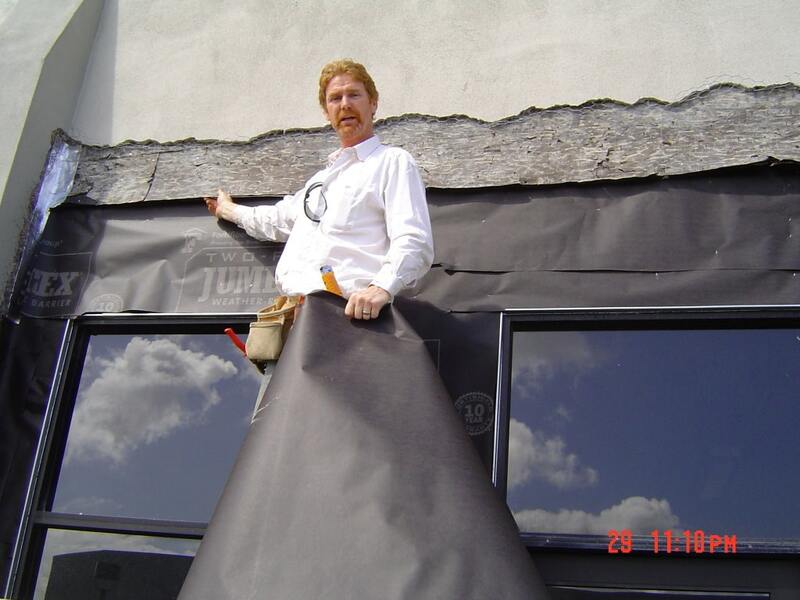 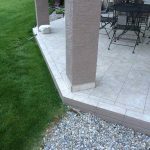 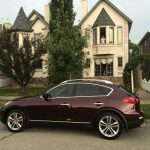 We offer 10 year warranty and promise the highest satisfaction guaranteed! 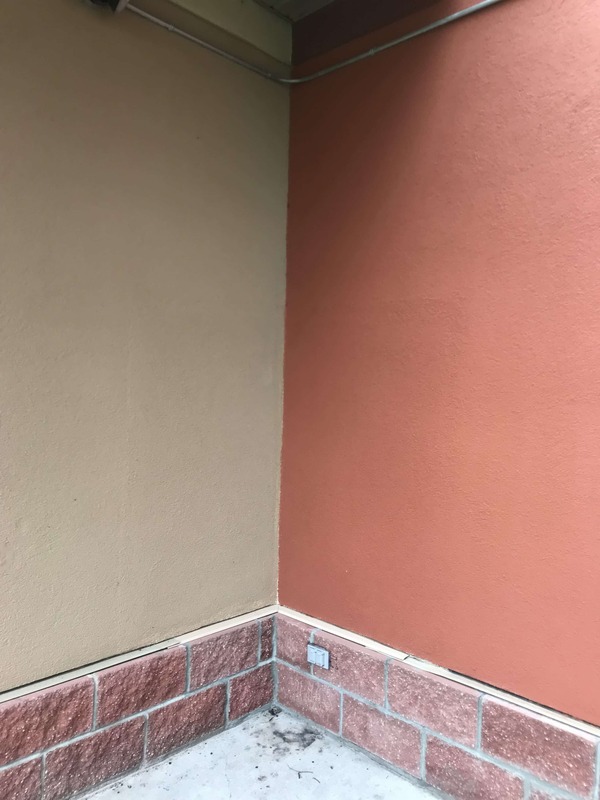 Copyright 2002-2018 © All rights reserved.